As the final day of the month of January, today marks the last day of Howard Permut’s tenure as president of Metro-North Railroad. 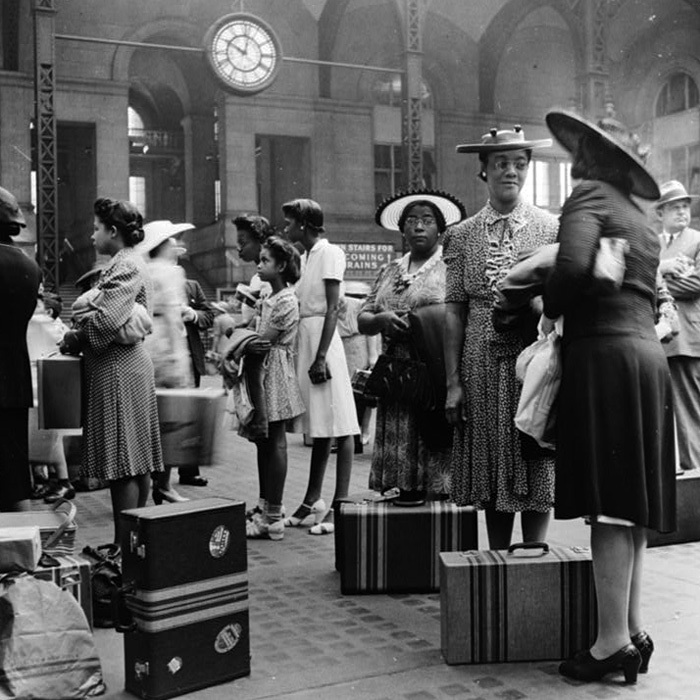 While 2013 was set to be a celebrated year – with Metro-North’s 30th anniversary, and the centennial of Grand Central Terminal – instead the year was tainted with mishaps and tragedies. 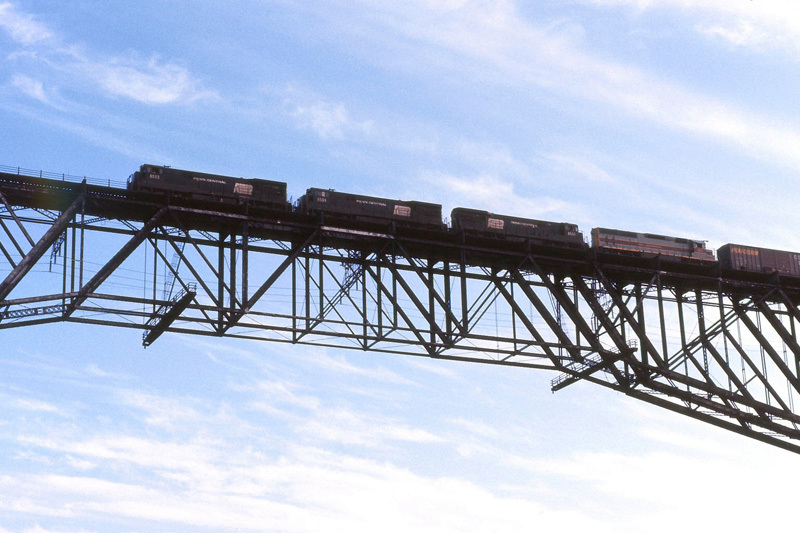 You can say what you wish about Mr. Permut’s years as president, but it remains fact that he was a member of the team that formed the railroad 31 years ago. 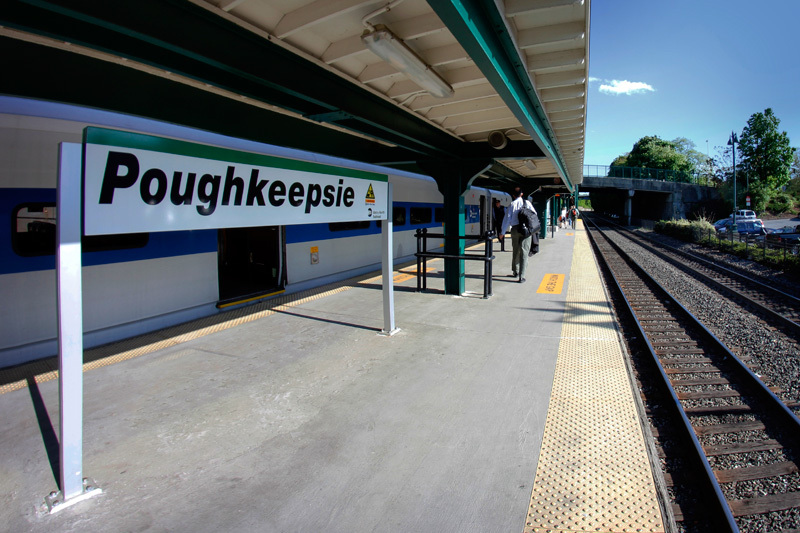 His insider’s perspective on Metro-North, and how it evolved over the years, made an interesting interview. In a time where countless commuters wish to revolt, some going as far as to say Metro-North is the “worst railroad” ever or like a “horror movie,” I come with an idea many will outright refuse to accept. 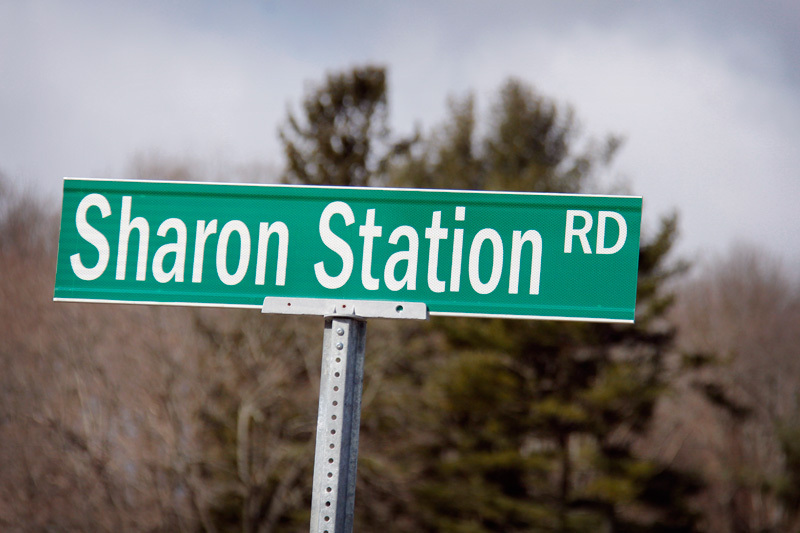 It is, however, the truth. 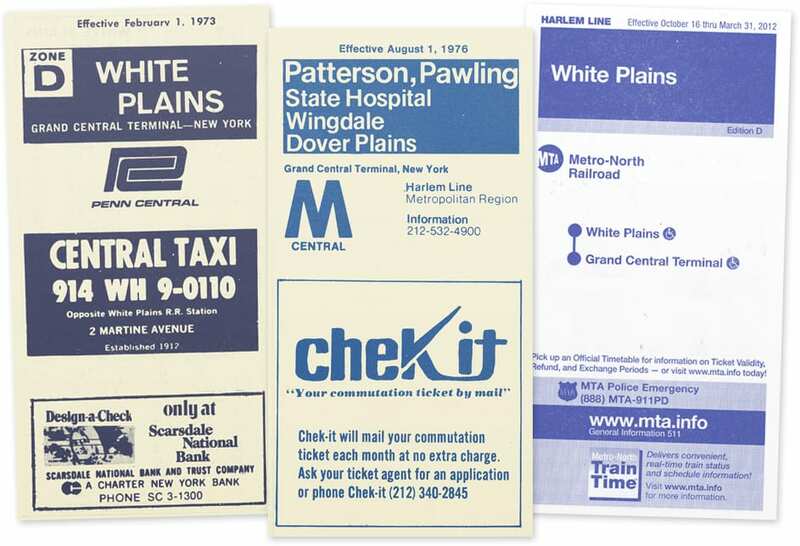 Metro-North has in fact evolved over the past 31 years. 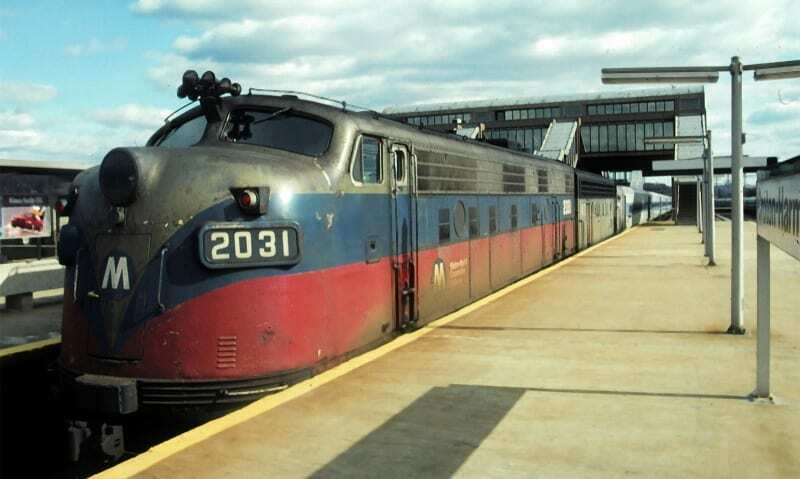 I hardly believe it is deserving of the “worst railroad ever” superlative that some are attributing to it, but such a description may be apt for one of Metro-North’s predecessors. 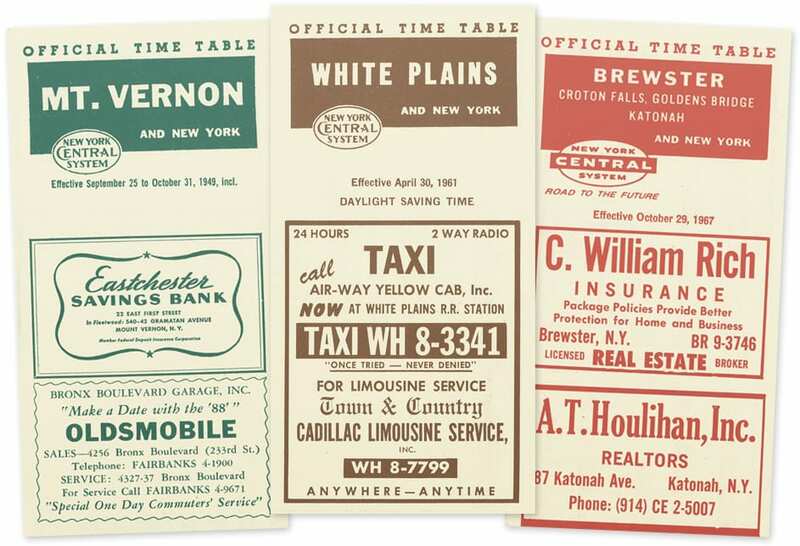 I’m a firm believer in the adage that those who do not remember the past are doomed to repeat it. 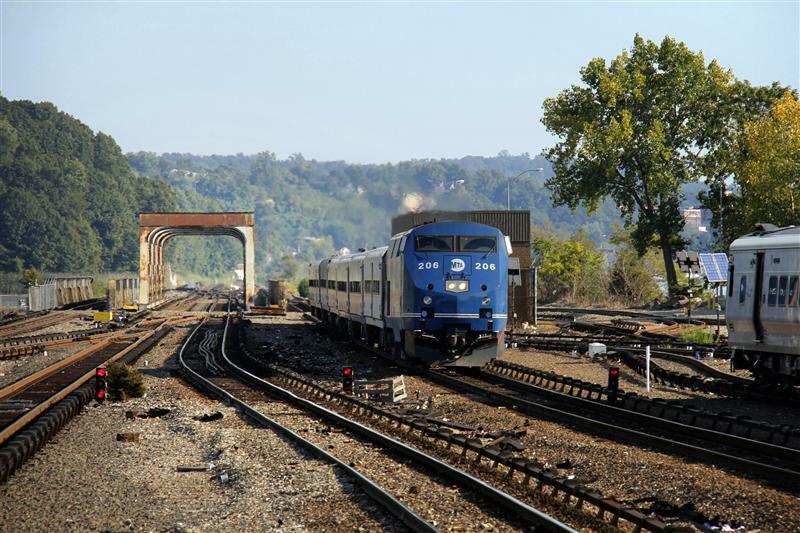 History is incredibly important, and it has been painfully obvious recently that many are deficient in that area – especially when it comes to trains. 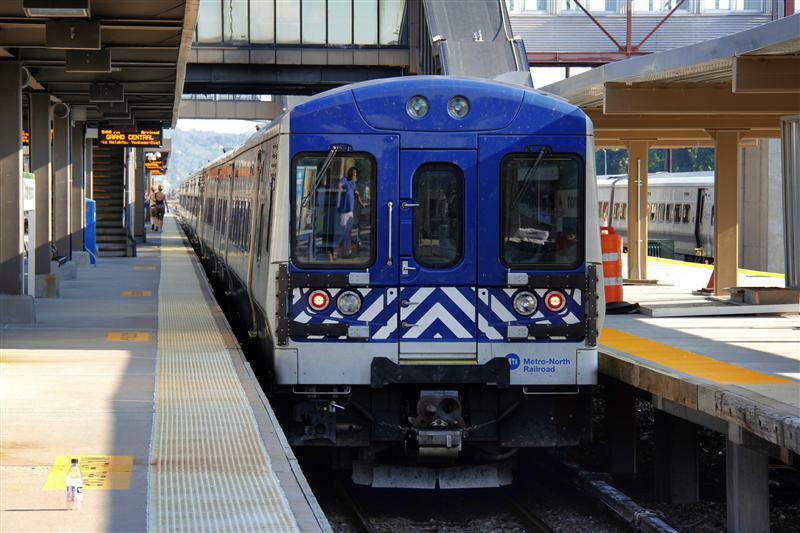 It is undeniable that Metro-North has had some major issues within the past twelve months, and there are many lessons the railroad must learn. 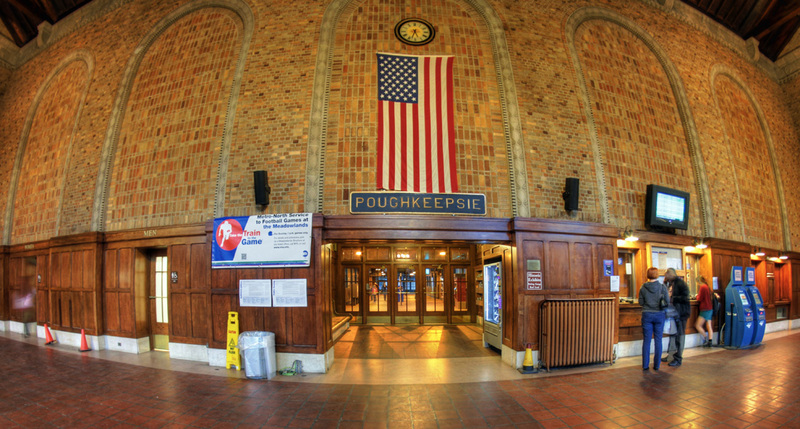 But we must know the past to adequately move into the future – thus if one wishes to truly understand Metro-North, a little visit to the past is required. 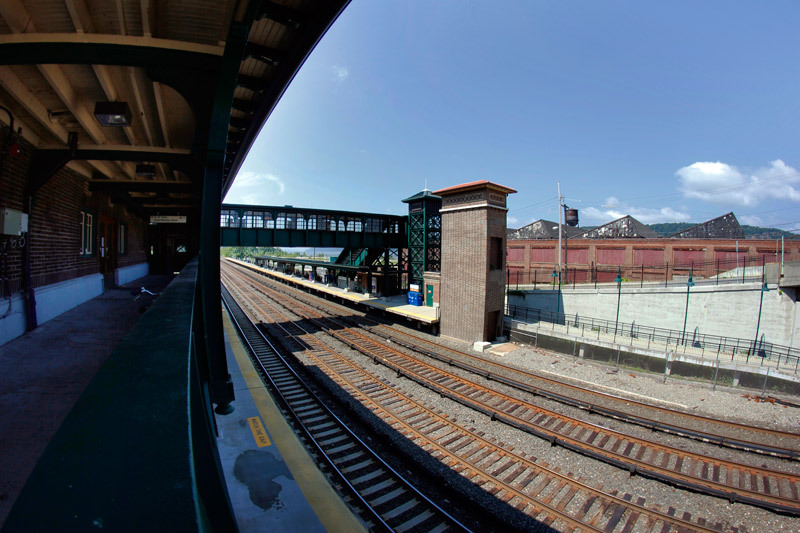 Although frolicking in a grassy meadow may be fun, for the Upper Harlem it displays neglect. 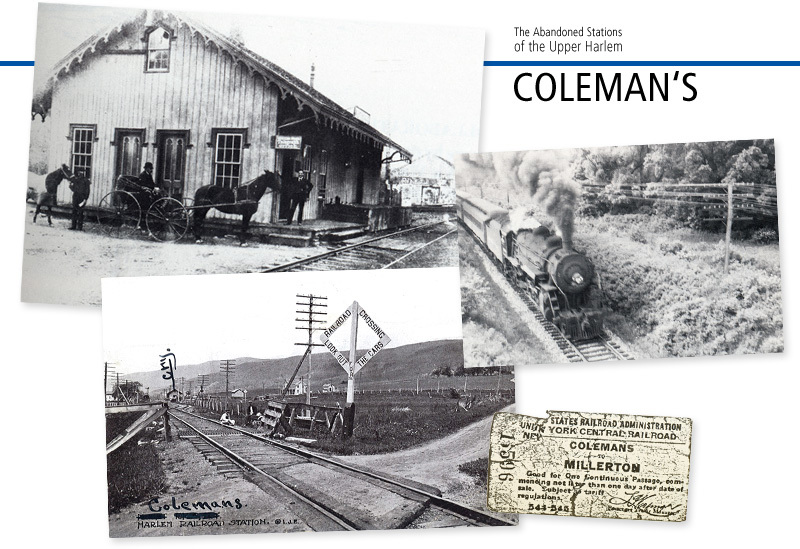 Less than a decade from when this photo was taken in 1966, Millerton and the rest of the Upper Harlem was abandoned for passenger service. 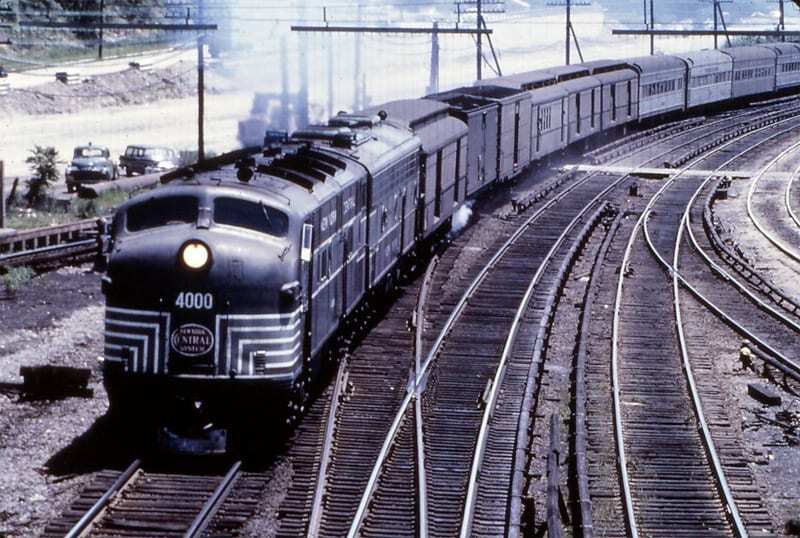 We rewind the clock back to 1968 – the year of the ill-fated merger between the Pennsylvania Railroad and the New York Central (the New York, New Haven and Hartford was added to the merger in 1969). 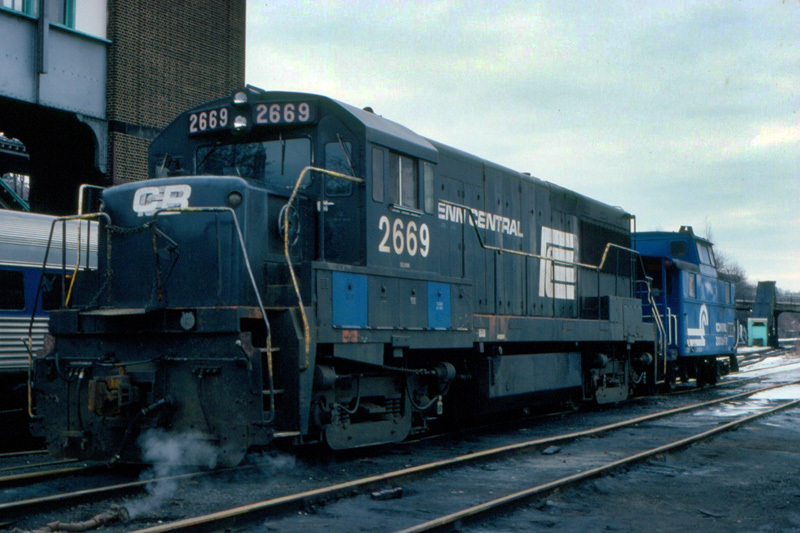 Within a scant two years the Penn Central was bankrupt – the railroad was the country’s sixth largest corporation, and at the time its bankruptcy was the largest this nation had ever seen. 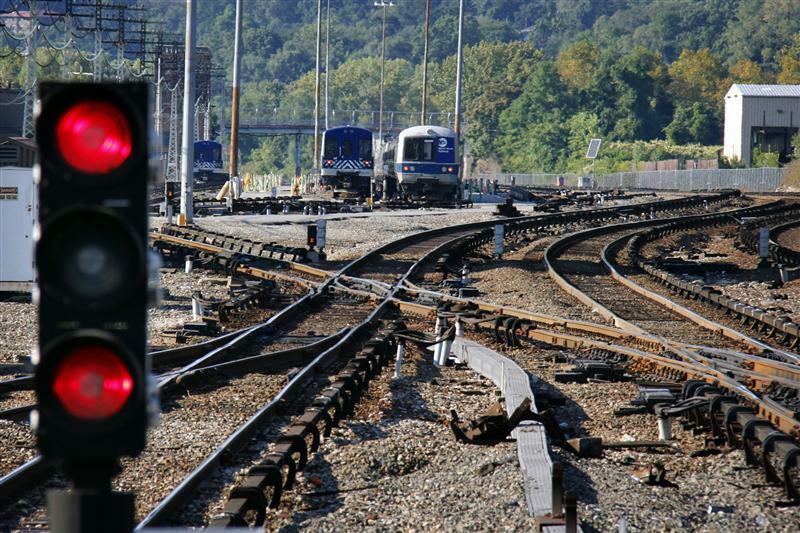 If you want to think of a horrible American railroad, this is where you should start – besides incompatible computer systems and clashing employees, deteriorating infrastructure led to slow and late trains, and entire freight trains went missing – crops destined for the market rotted, and with 25% on-time performance for some deliveries, companies left to find other methods to ship goods. 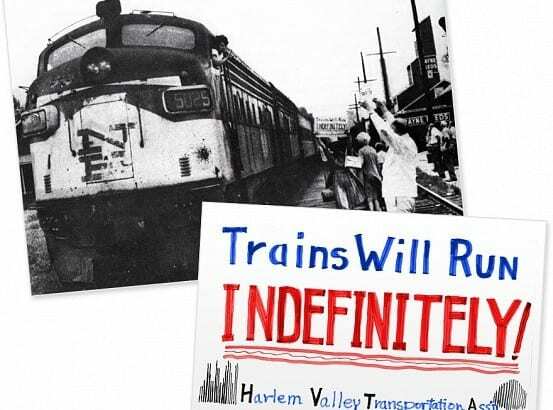 One of the reasons this site even exists is because of my interest in Penn Central’s abandonment of the Upper Harlem Division. On a cold March morning in 1972 the 6:55 train from Chatham to Grand Central operated as normal. However, by midday the Penn Central legally won the right to terminate the line, and fifty miles of the Upper Harlem Division were abandoned for passenger service. 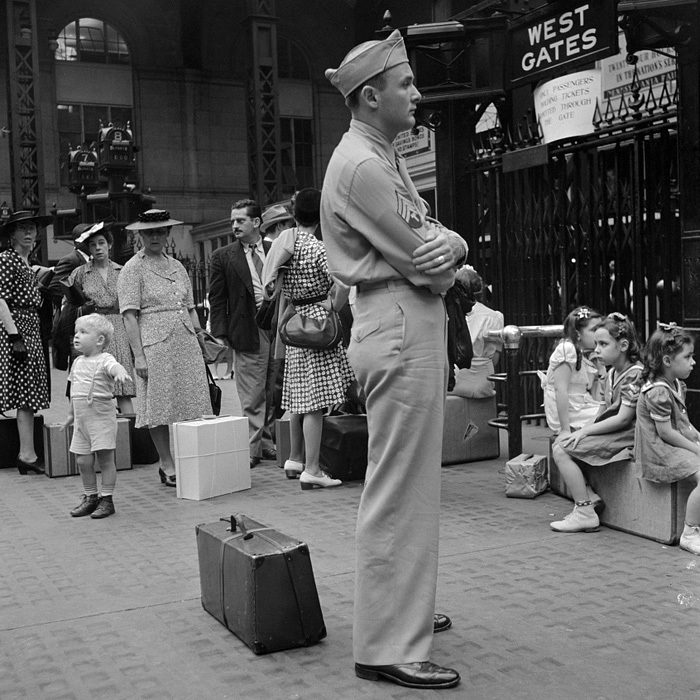 Anyone that came down on that morning train had no ride home – they had to find their own way. 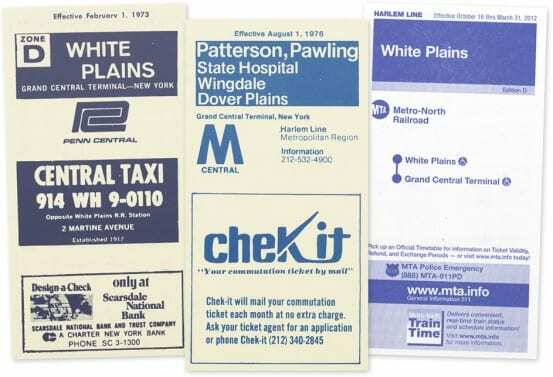 Imagine how angry people would be if Metro-North tried to pull the same stunt today! 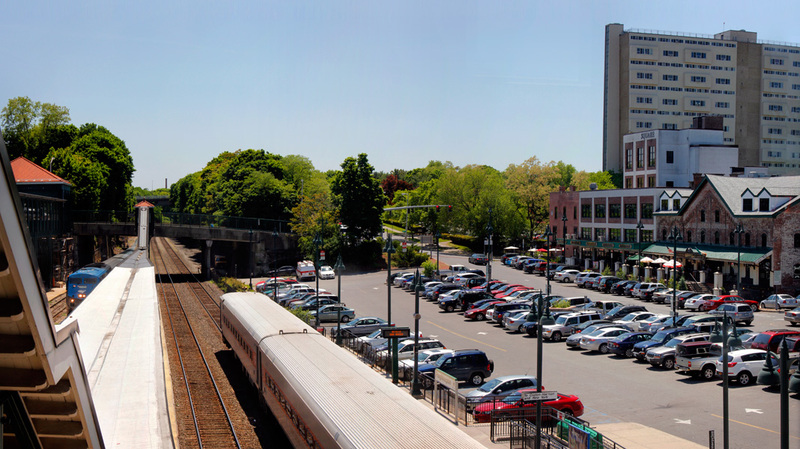 Sorry, New Haven commuters, our last stop today, and forevermore is Port Chester, and we don’t care how you get home. Besides the obvious update of rolling stock (and you Connecticut folks can go pin your miseries in that department on disgraced former Governor John Rowland – perhaps if he cared for commuters as much as he did his weekend home you’d be a bit less miserable), Metro-North has significantly upgraded its shops to accommodate repairs and maintenance of the new equipment. 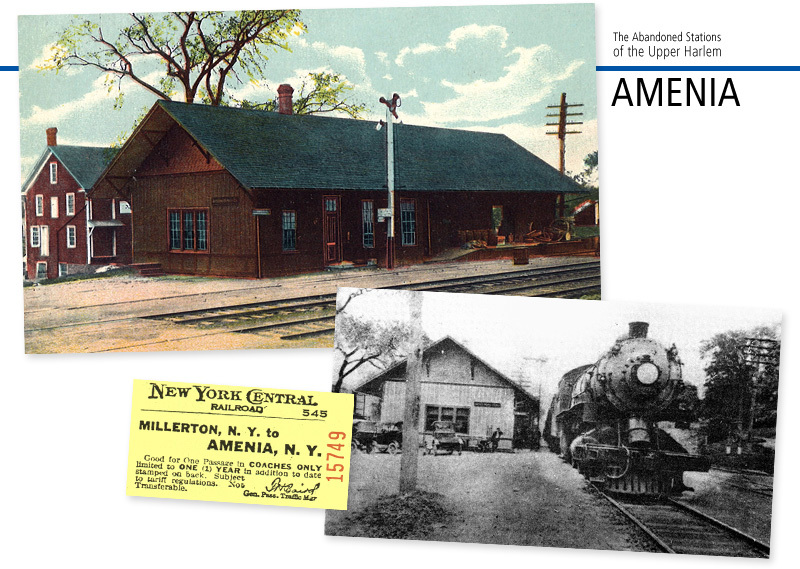 The old New York Central shops at Croton-Harmon dated back to 1909, and were restored in Metro-North’s earliest years. 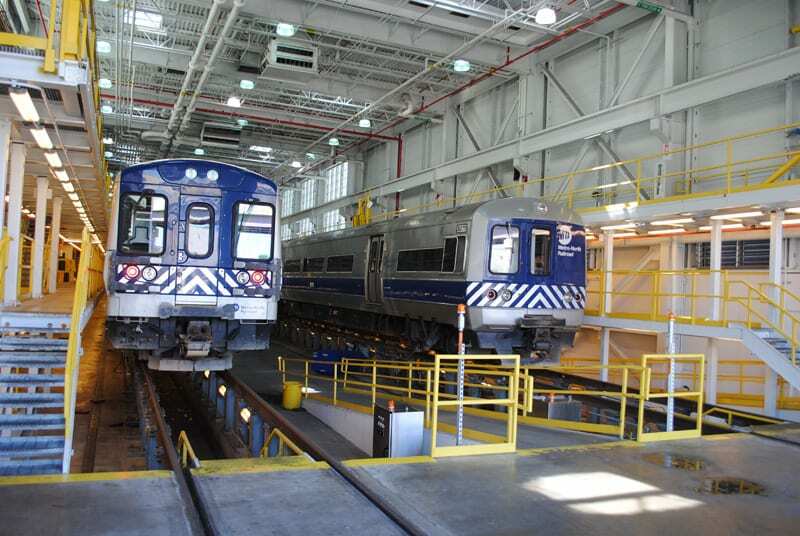 In 2010 they were reconstructed, and the new Croton-Harmon Locomotive and Coach Shop is now a modern, state-of-the-art facility. 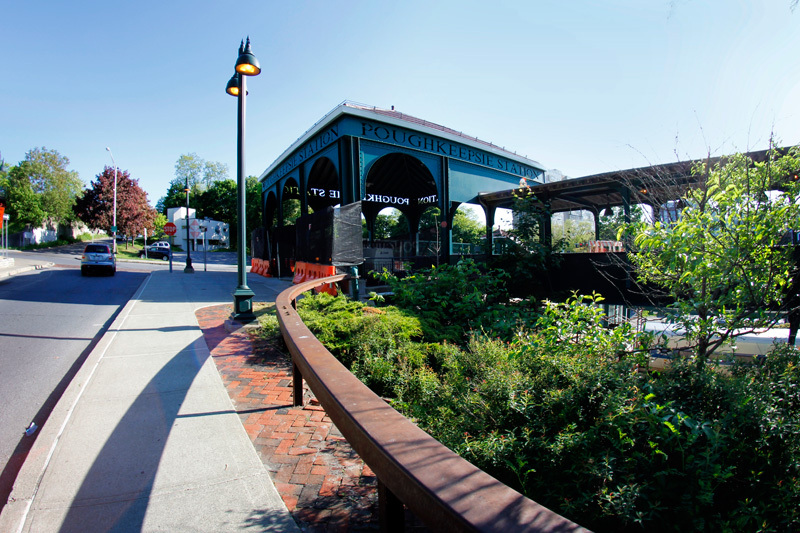 A new shop at Brewster opened in 1987, and at North White Plains in 1993. 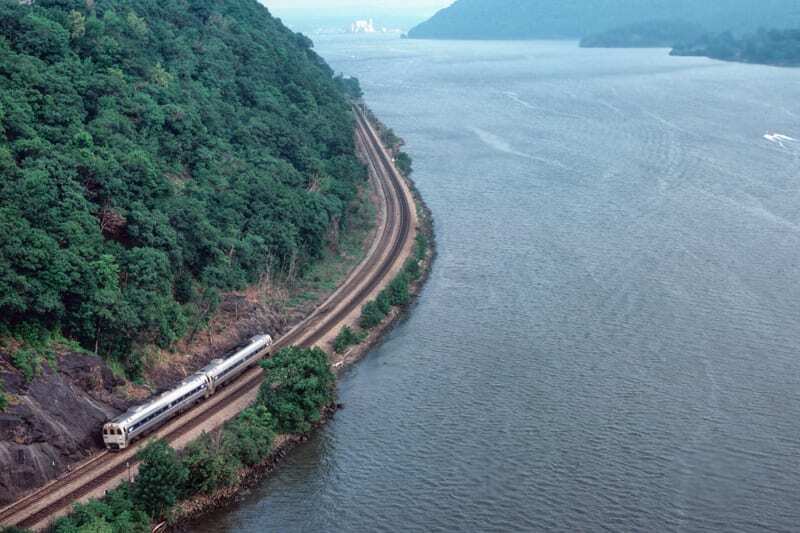 SPV2000 on the Upper Hudson Line in 1985. 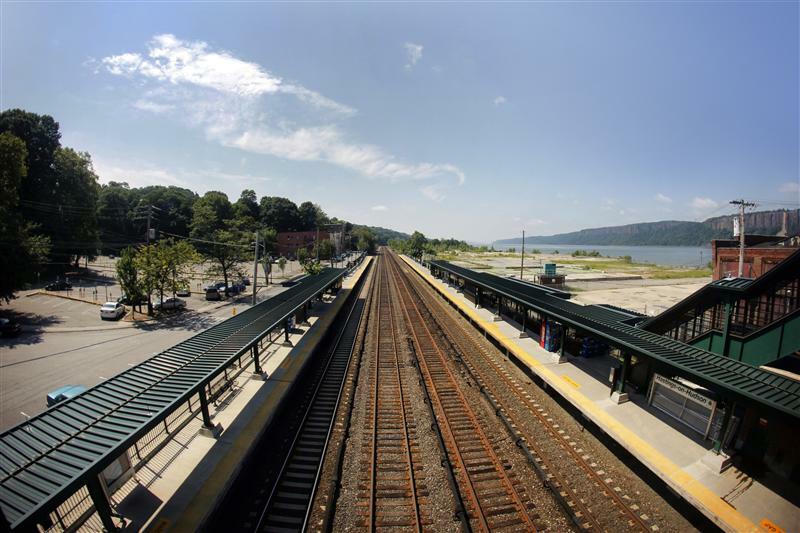 These days both the Upper Hudson Line and Upper Harlem Line get enough traffic that there are 7-car through trains a few times per day. 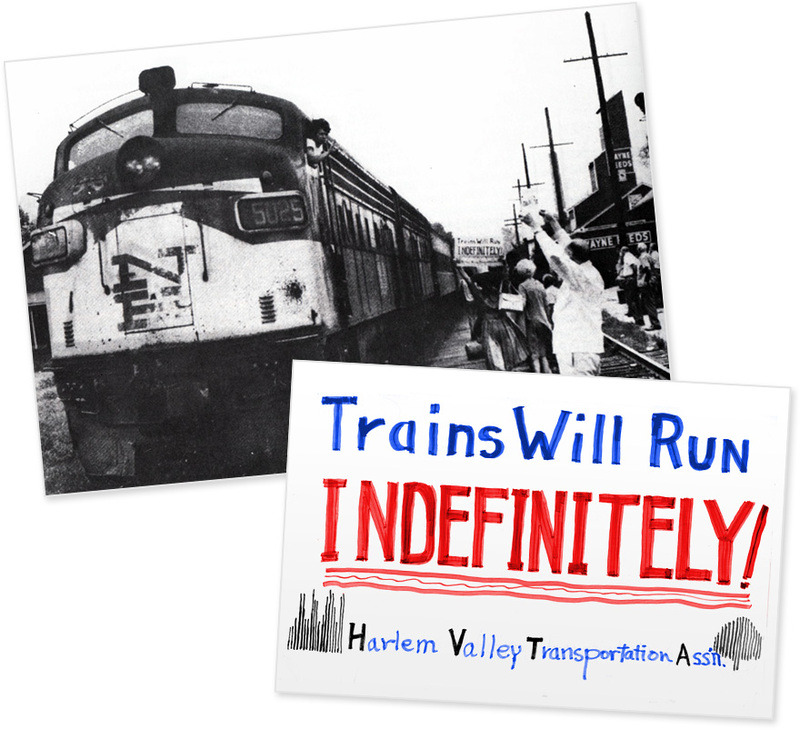 In 1983 only eight southbound trains operated on the Upper Harlem, today thirteen trains depart Wassaic every day, bound for New York City. 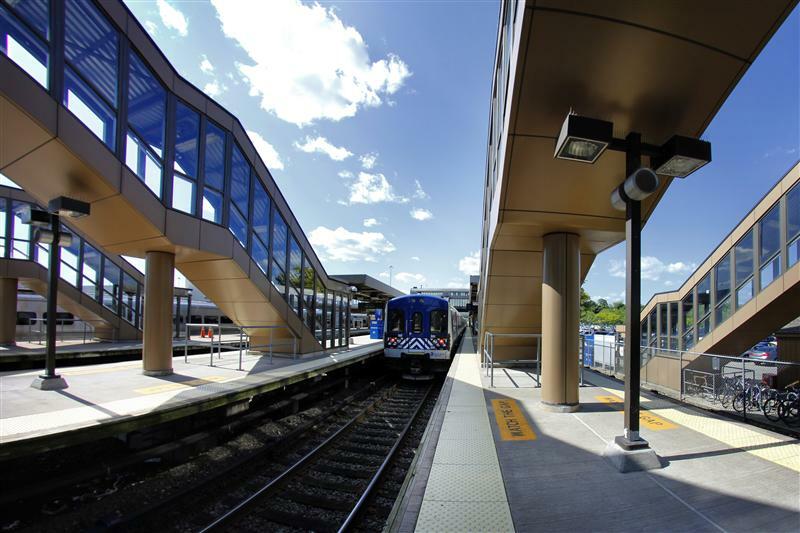 Most of Metro-North’s stations look quite different than in the past, as almost every station now has high-level platforms. 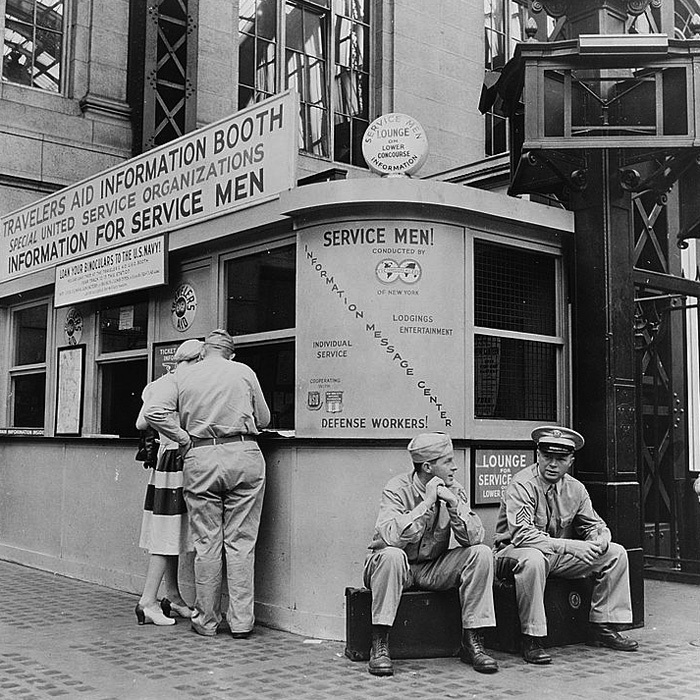 New York Central engineers working on the design of Grand Central Terminal in the early 1900s clocked patrons boarding trains and calculated that riders board 50% faster on high level platforms. 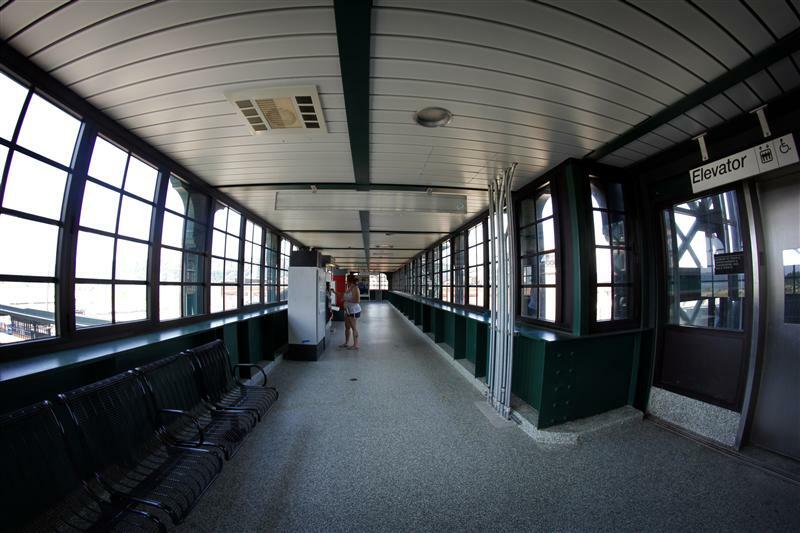 They also make it easier to accommodate those with baby carriages, and patrons in wheelchairs. 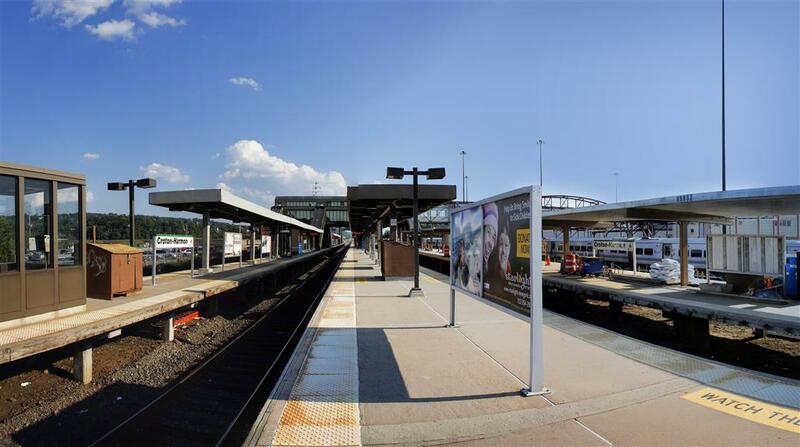 Despite the pros of high level platforms, they were not implemented system-wide until after Metro-North took over. 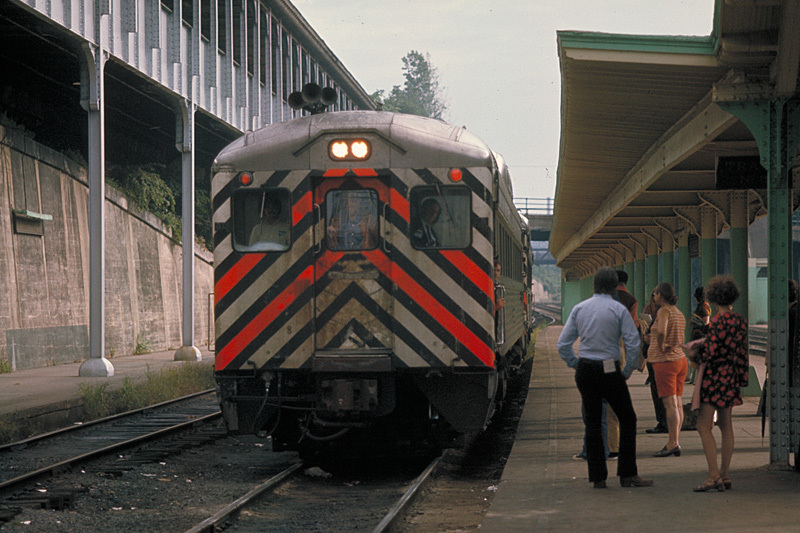 On average, the duration of a trip from Grand Central to Dover Plains in 1972 was about two hours and 20 minutes – today the trip takes about two hours, and note that the route is six miles longer and terminates at Wassaic. 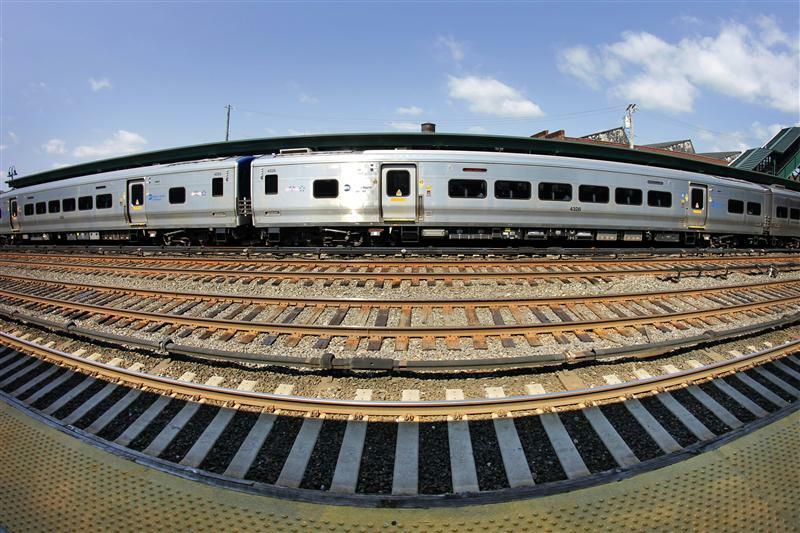 Faster boarding allows for quicker train times. 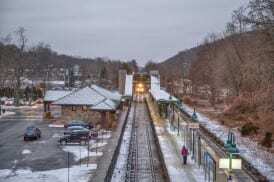 High level platforms, overpasses and elevators are just some of the changes seen here at Chappaqua. 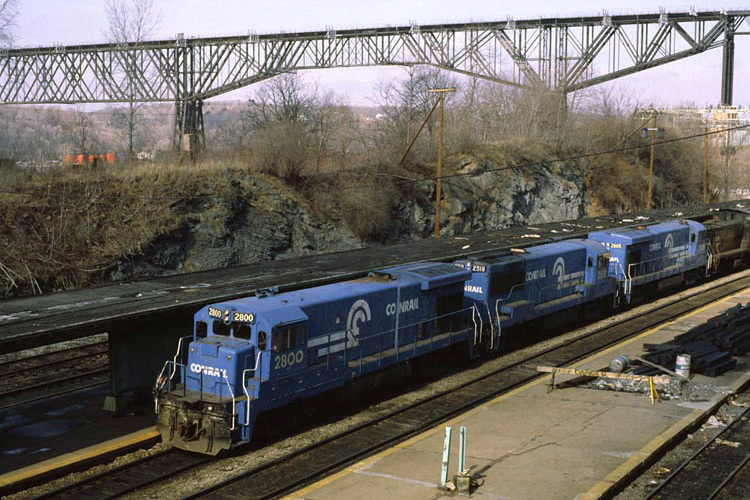 Compare 1982 to today. 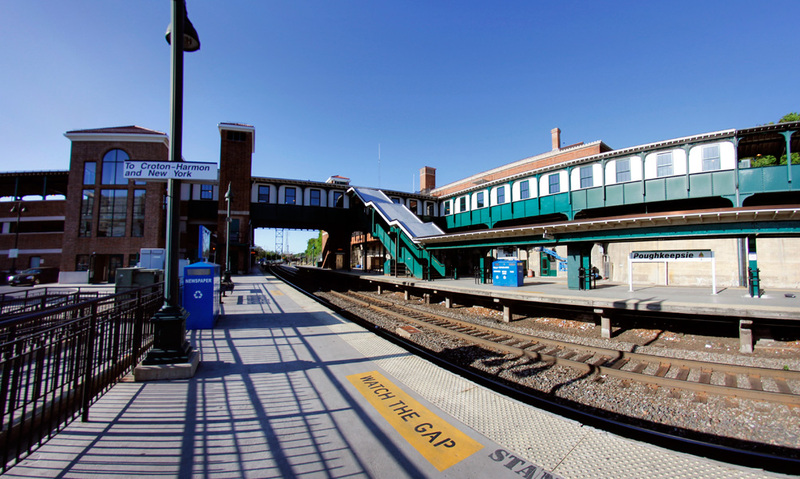 One of the most influential changes made by Metro-North was the electrification of the Harlem Line north of White Plains. 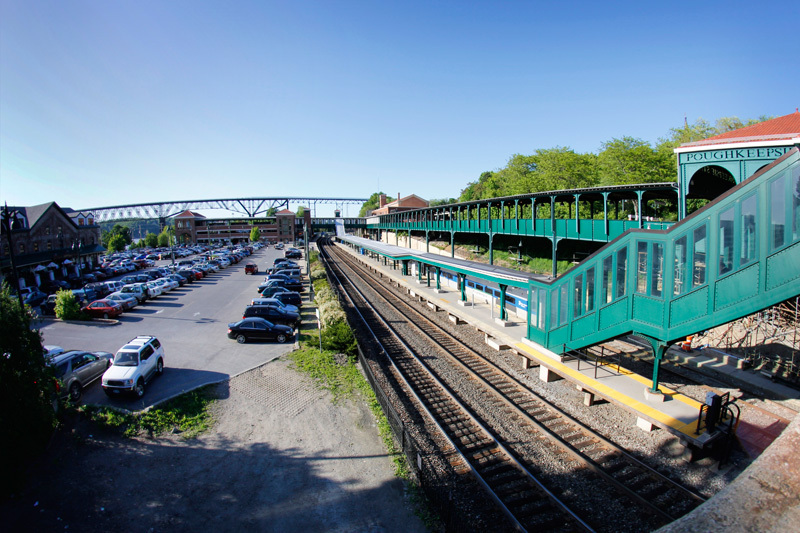 Service up to Brewster became incredibly more reliable, and led to an increase in ridership. 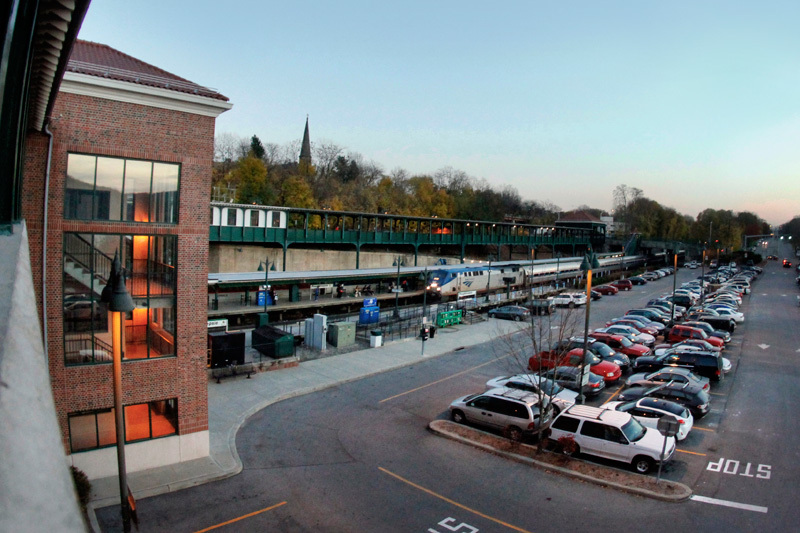 When constructed early on, Brewster North (now Southeast) was often empty – now you’ll see an immense filled parking lot with riders from both New York and Connecticut. 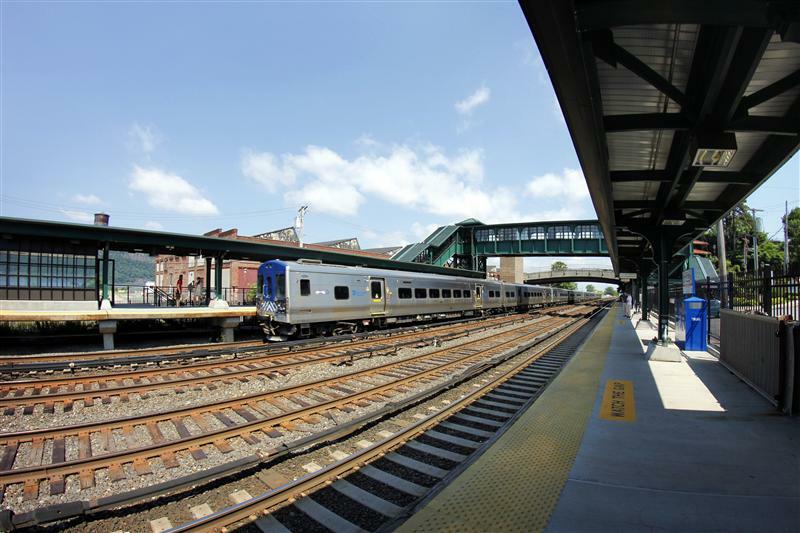 Despite out-of-touch politicians arguing that people are packing up and leaving the area because of poor train service, or at minimum opting to drive, ridership – even on the beleaguered New Haven Line – actually increased. 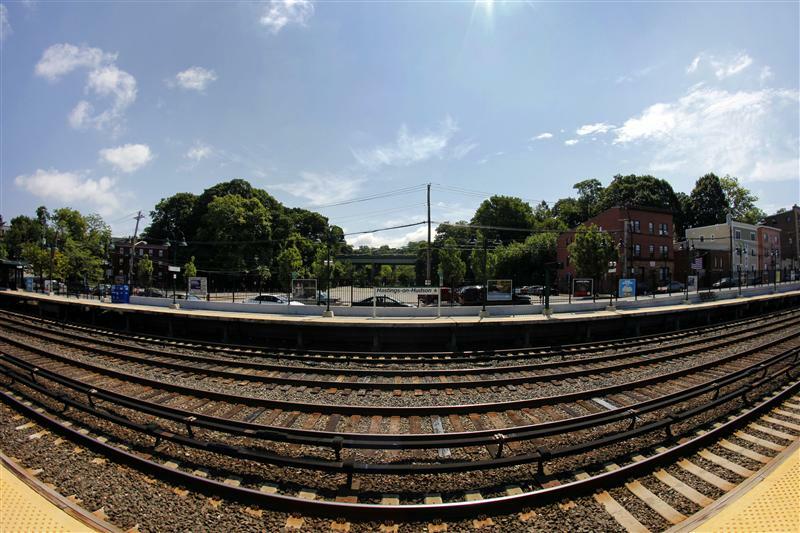 Restoration of Ossining station, on the Hudson Line, and platform upgrades at Larchmont on the New Haven Line. 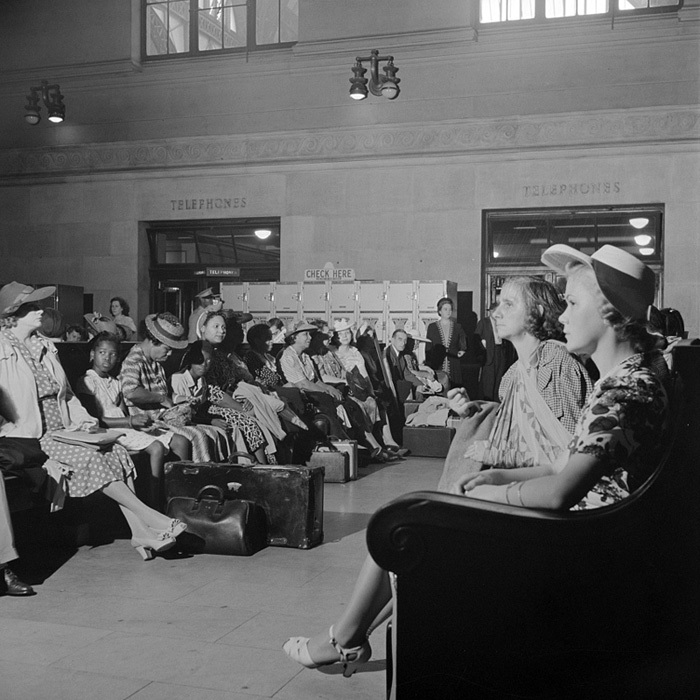 Photos from the collection of Metro-North Railroad. 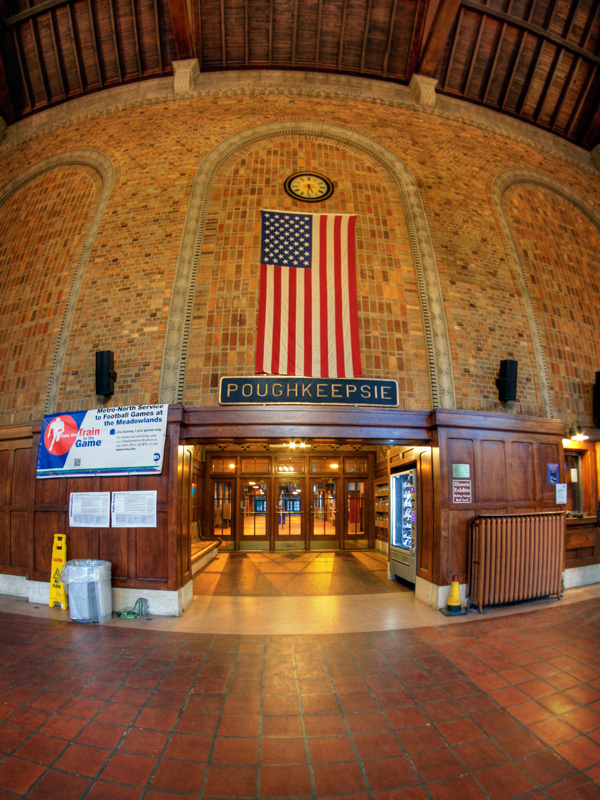 As a lover of history, the fact that many historic train depots have been restored during Metro-North’s tenure is an important point. 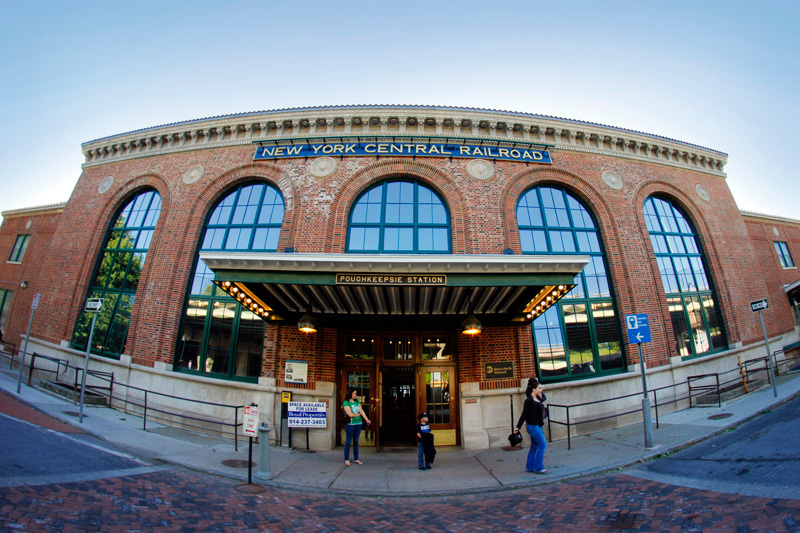 Grand Central, Harlem 125th Street, New Haven Union Station, Port Chester, Chappaqua, Hartsdale, Yonkers, Ossining… the list could go on. 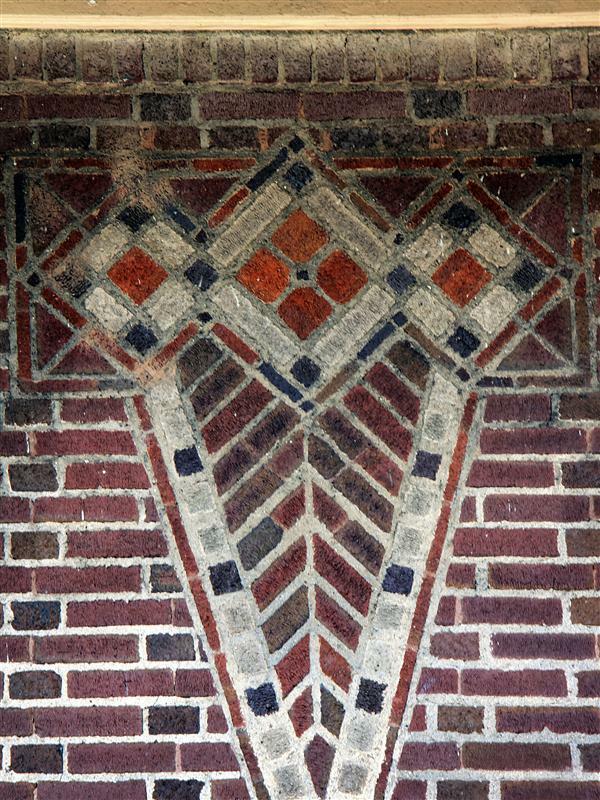 It is also worth mentioning that restoration work was also performed on the Park Avenue Tunnel. 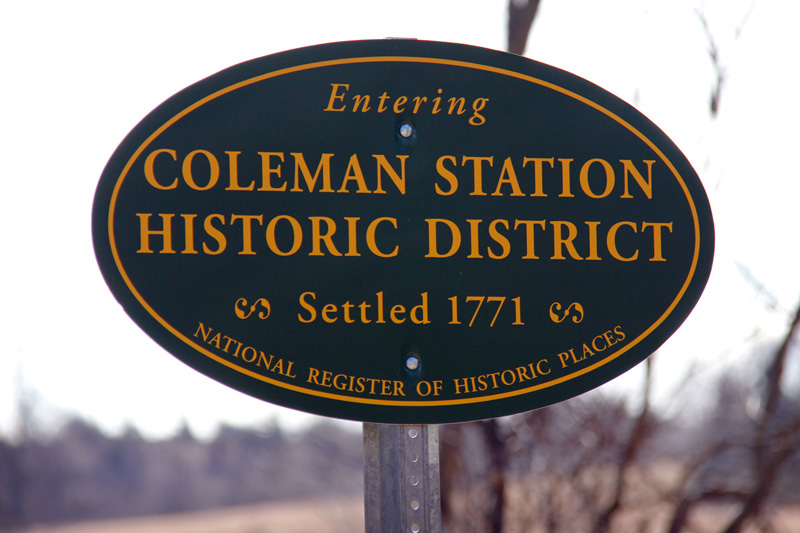 I appreciate the efforts of the railroad, of the communities, and of the state to preserve our history. 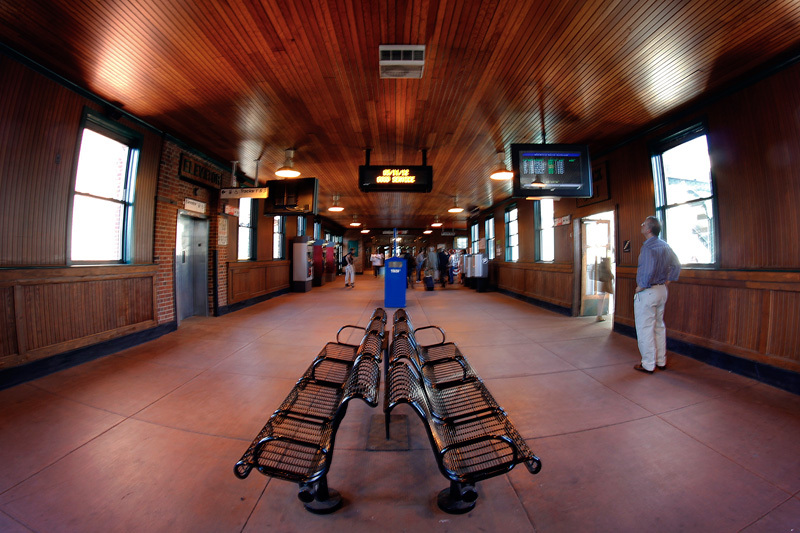 Metro-North has also opened several stations over the years, on all three lines. 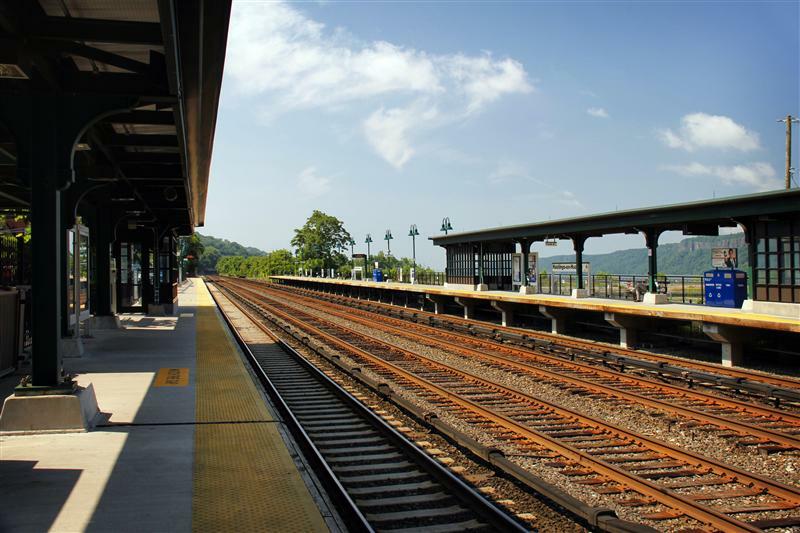 The Harlem Line was lengthened to Wassaic, the Yankees E 153rd Street stop makes it easier for people to get to the baseball game, and two different Veterans Hospitals are accessible from Cortlandt and West Haven stations. 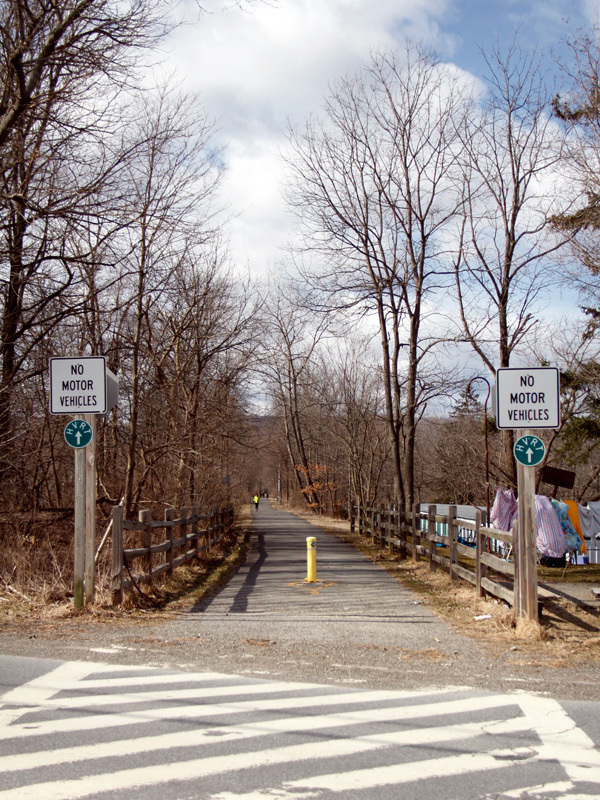 Even the famed Appalachian Trail now has a train station along the Harlem Line. 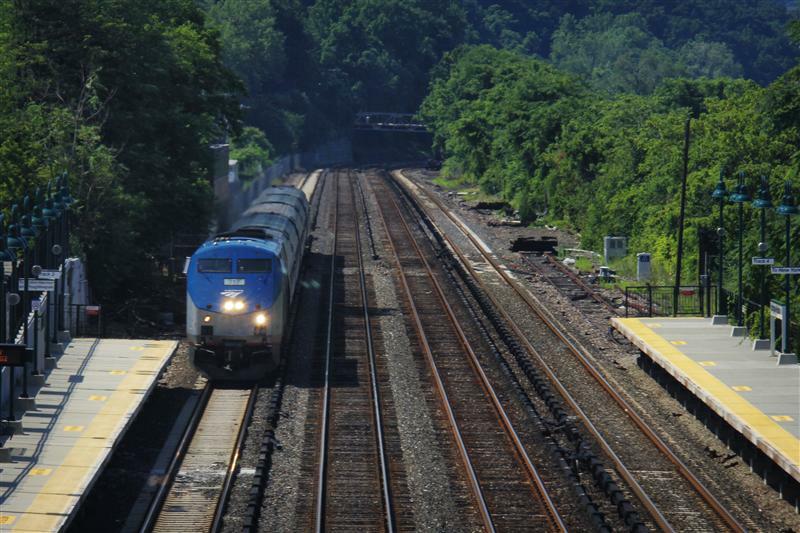 No railroad wants to have late trains, but unfortunately it has become a fact of life for Metro-North. 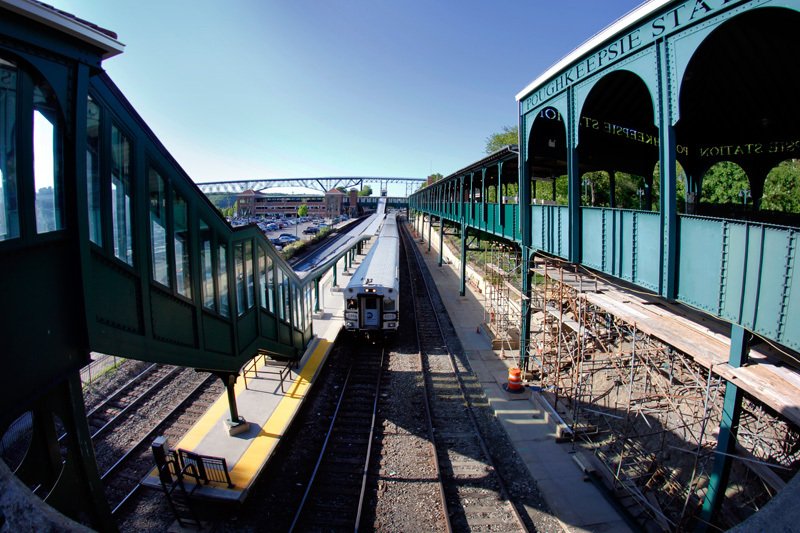 After the derailment at Spuyten Duyvil speed restrictions can be found on all Metro-North lines (especially the New Haven Line). 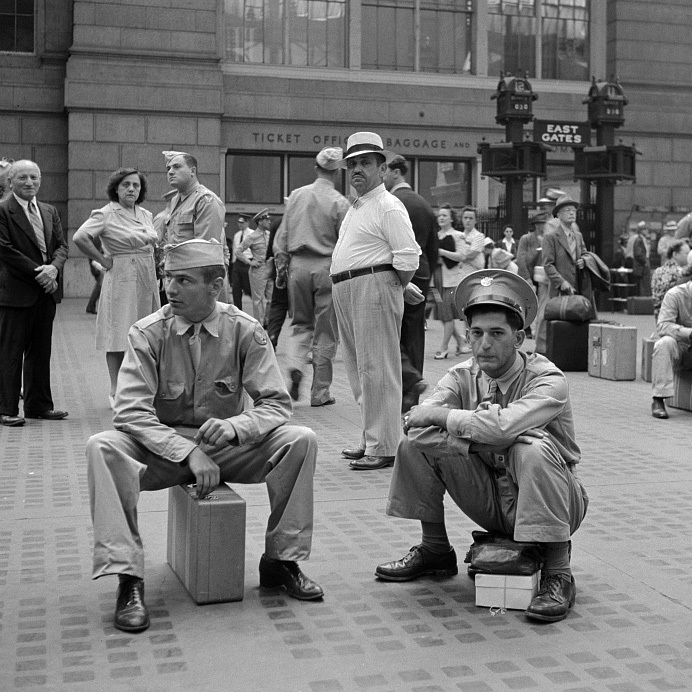 Perhaps in the past there were safe spots that engineers could “make up time,” but they are no more. 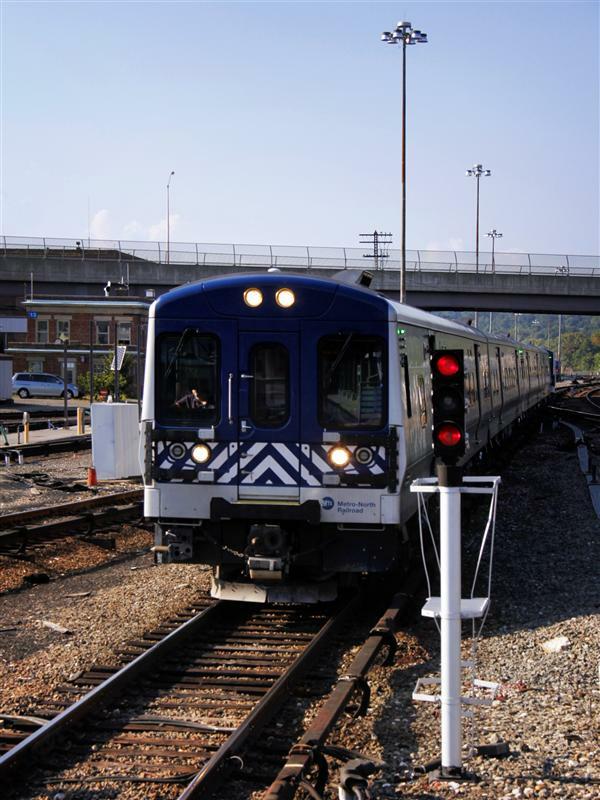 However, it is incredibly irresponsible to pretend that all methods of transit are at a hundred percent, all the time. 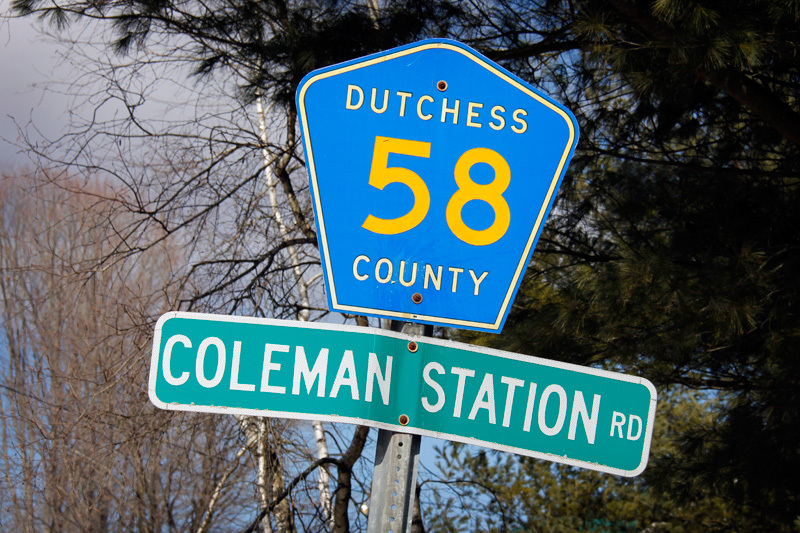 Everyone always has the option to drive, and maybe you’ll even get there on time – provided that I-95 isn’t shut down because of an overturned truck, that the Saw Mill isn’t closed because of flooding every time we get a good rainstorm, or the Taconic is closed for construction. 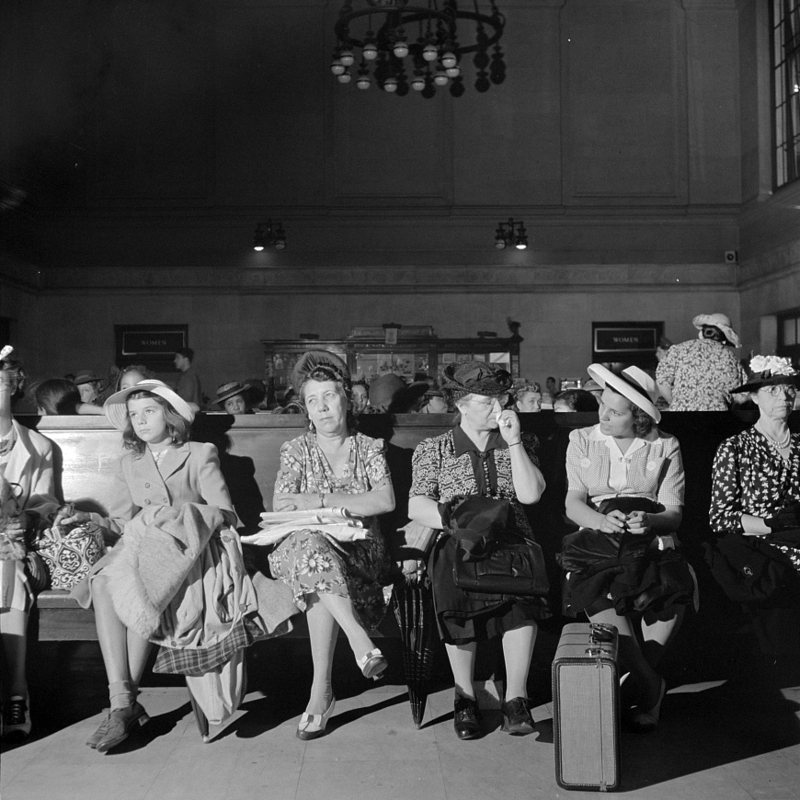 Plus we all know that nobody ever sleeps in airports because flights are delayed for days, and that multi-car pileups are pure fiction. 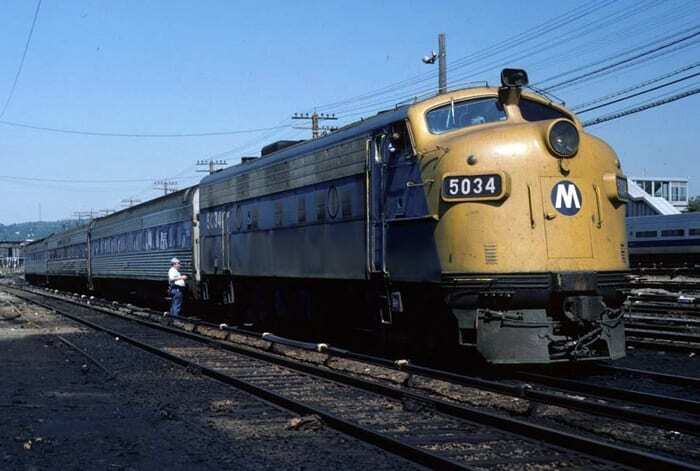 In 1964, I started riding the New York Central train from Bronxville to Fordham University in the Bronx every day. 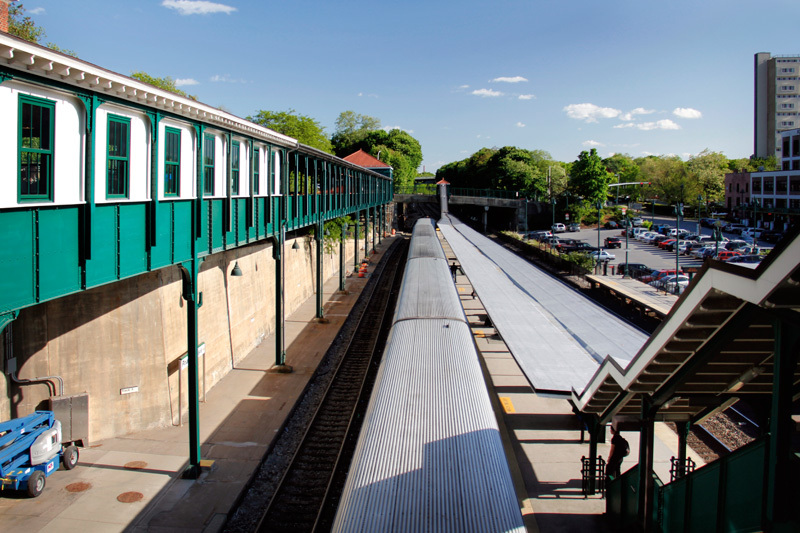 I have enjoyed commuting via the Harlem Line most years ever since. 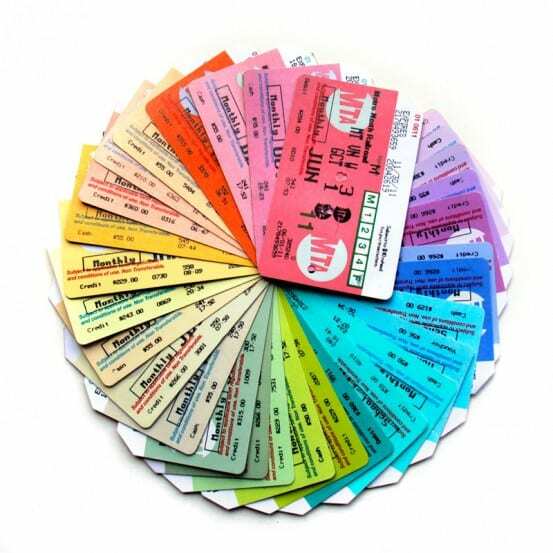 Perhaps the best part has been and continues to be the friends I have made on the train over the years with conductors and fellow passengers. 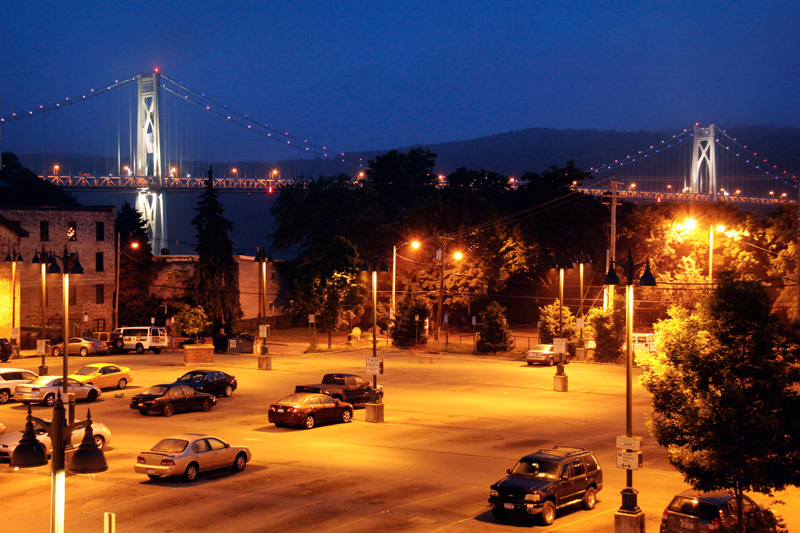 I’ve been fortunate enough to meet some fascinating people who have enriched my life. My goal is to continue commuting and making friends until 2026. 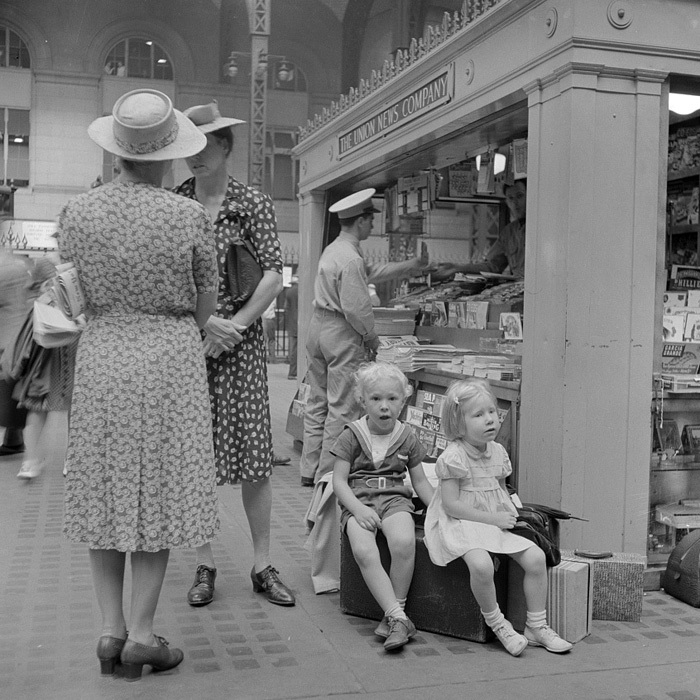 Fifty years ago, commuting was an opportunity to relax, play cards and chat with friends you saw everyday. 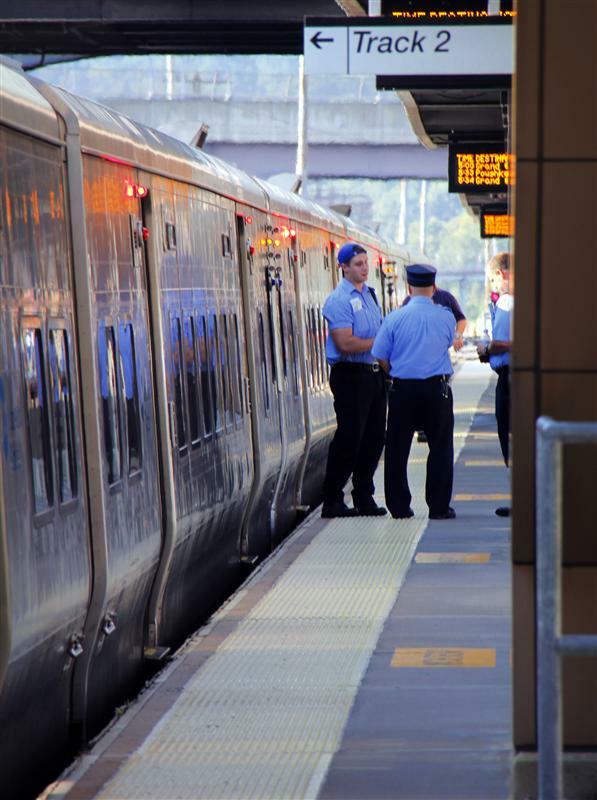 When we all get bored with our laptops and cell phones, I hope that the opportunity to engage in good conversation with conductors and fellow commuters is still there. In closing, Metro-North has much potential for greatness, and we wholeheartedly welcome the very well respected railroader Mr. Joseph Giulietti in his position as president of this railroad (effective February 10th). 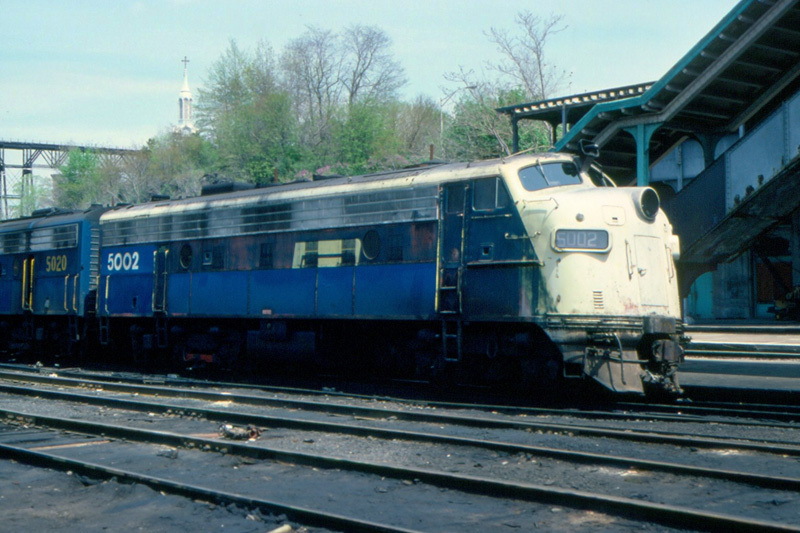 Similar to Mr. Permut, Mr. Giulietti was around for the fledgling Metro-North Commuter Railroad’s earliest days. 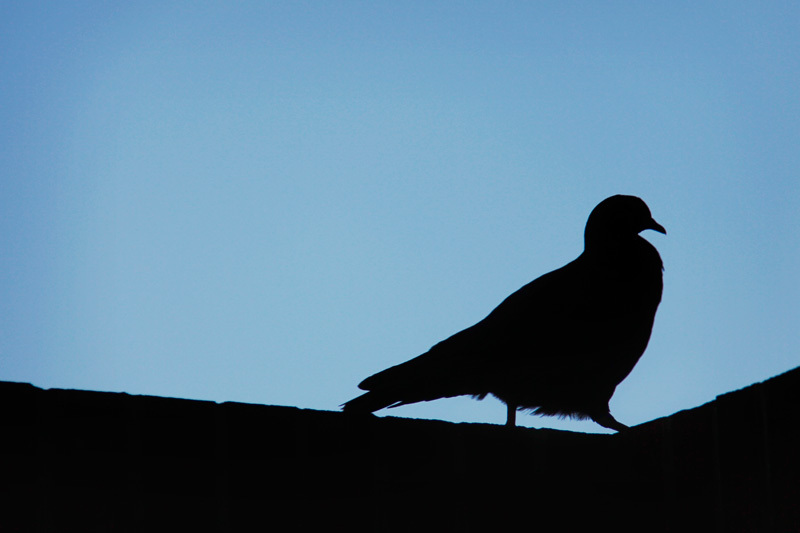 He understands the past, and undoubtedly has aspirations for a bright future. 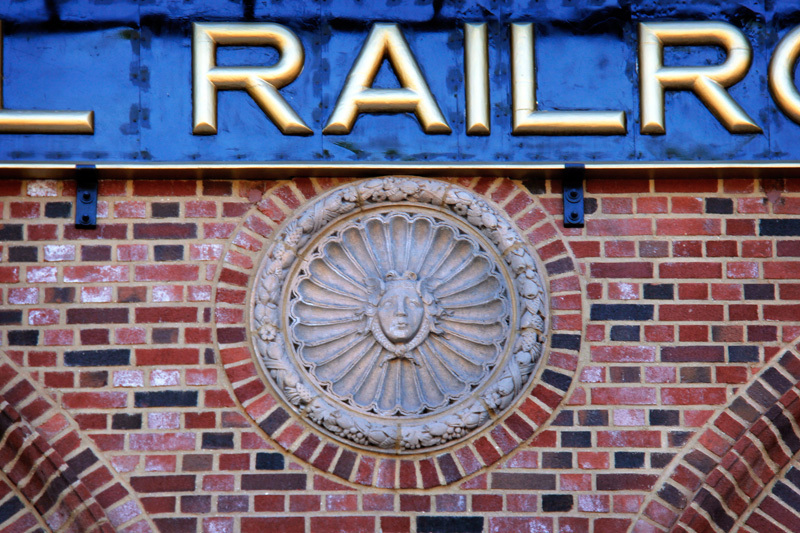 I will be happy to see this railroad further evolve, and hey, Mr. G? 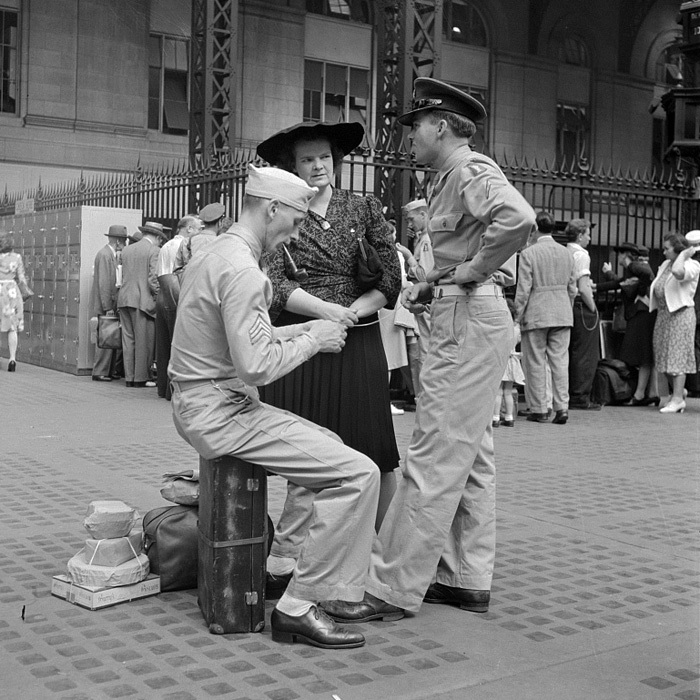 Want to do an interview? 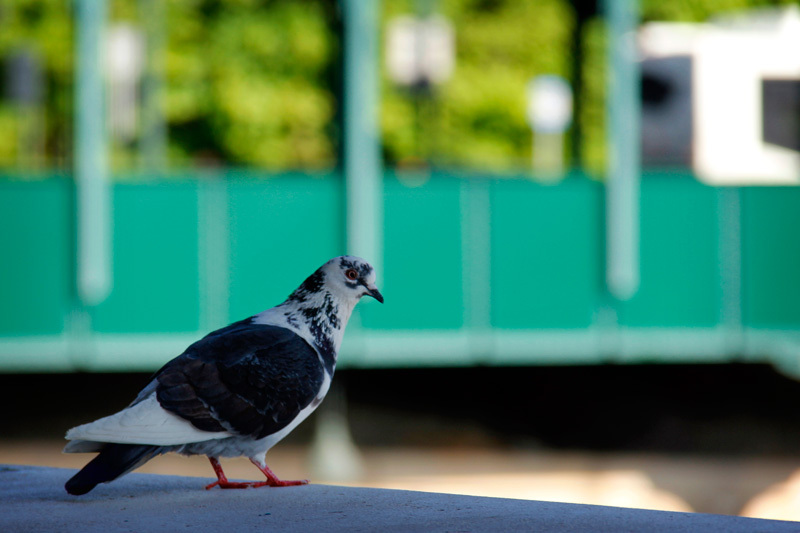 Come talk to me! 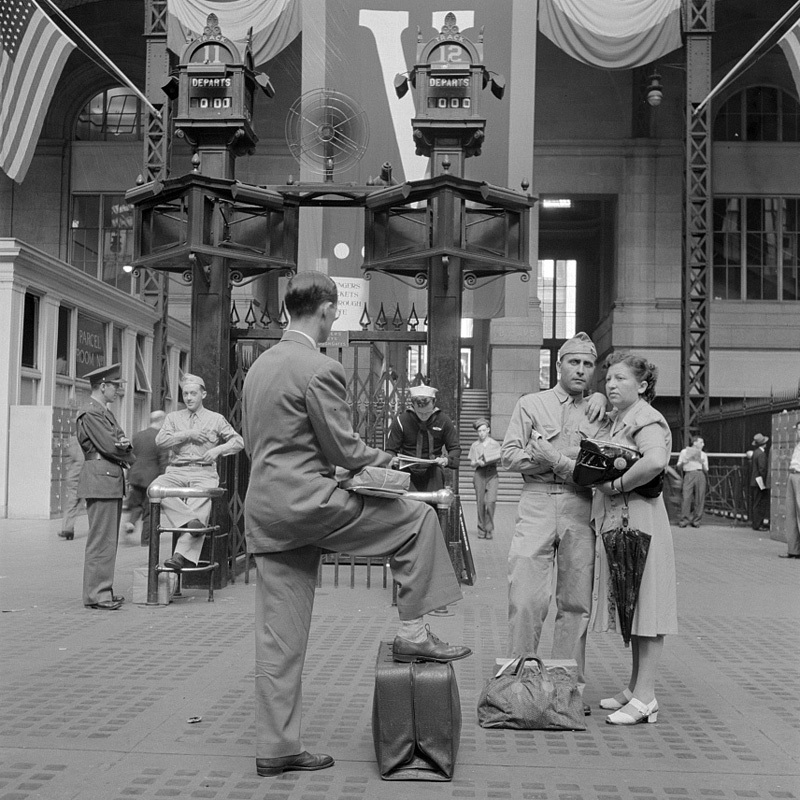 If you enjoyed our previous set of Farm Security Administration photos, no doubt you will enjoy the ones today, possibly even more so. 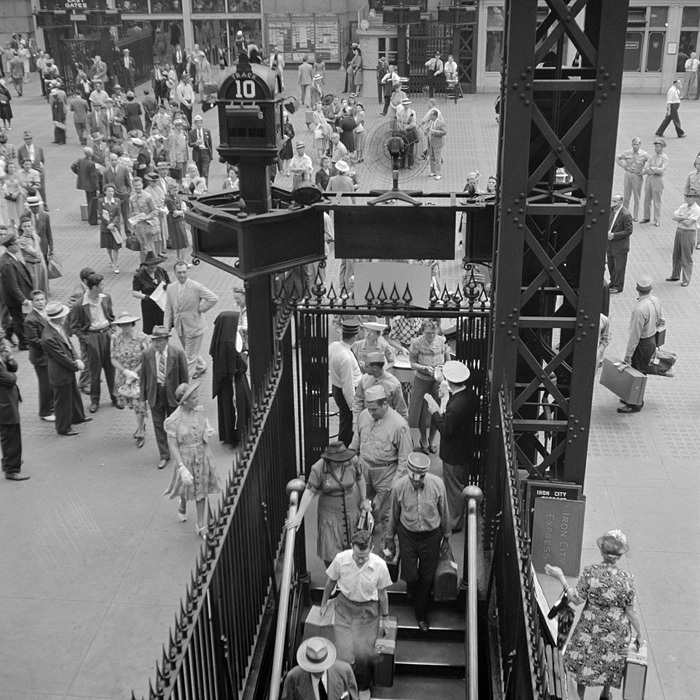 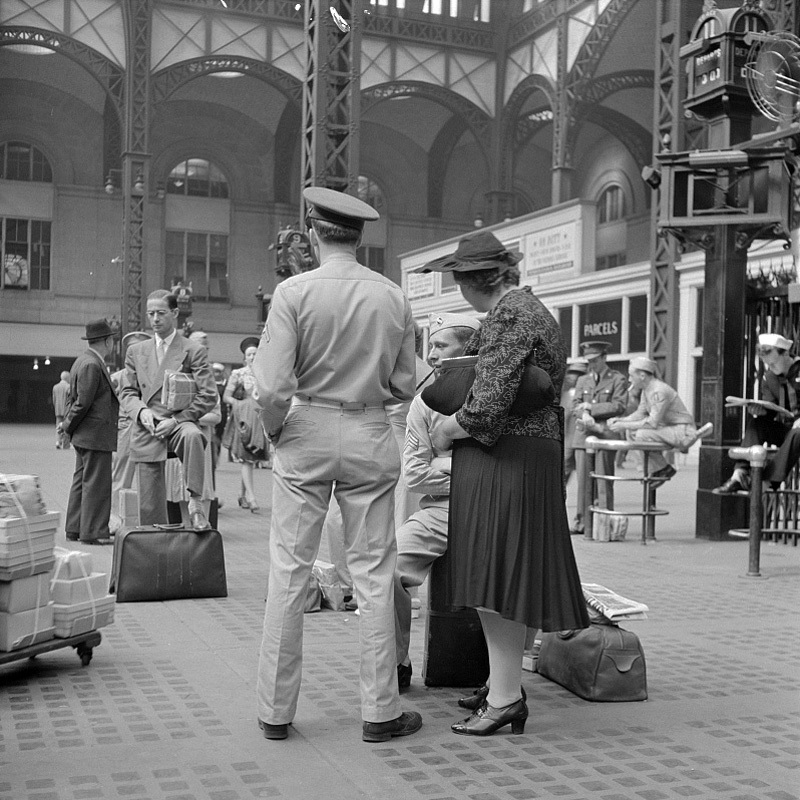 Captured by Marjorie Collins, another one of the lesser-known FSA photographers, today’s set of photos features New York’s Pennsylvania Station. 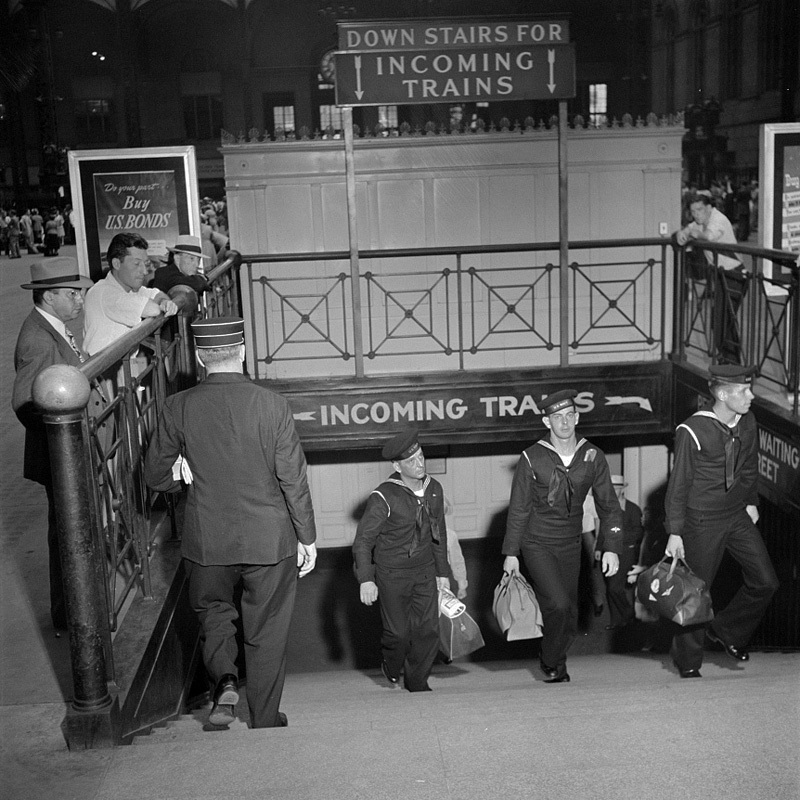 Taken about a year after the photos we saw last week (these date to August 1942), the war is in full swing, and the station is filled with soldiers. 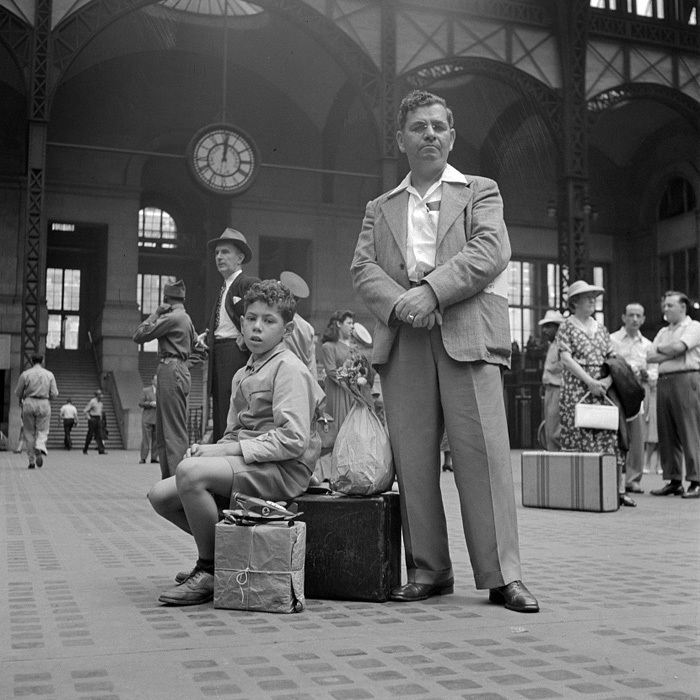 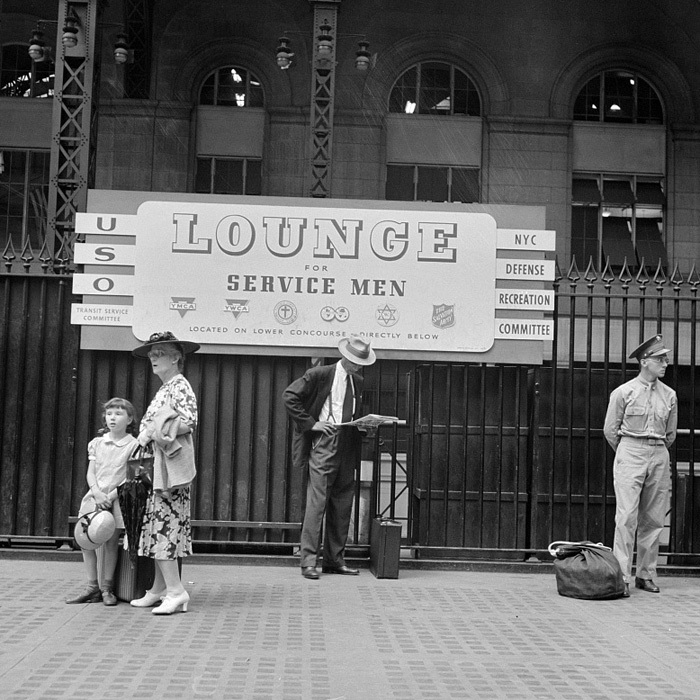 As was the FSA’s goal, these images artfully capture what life was like in the 1940’s. 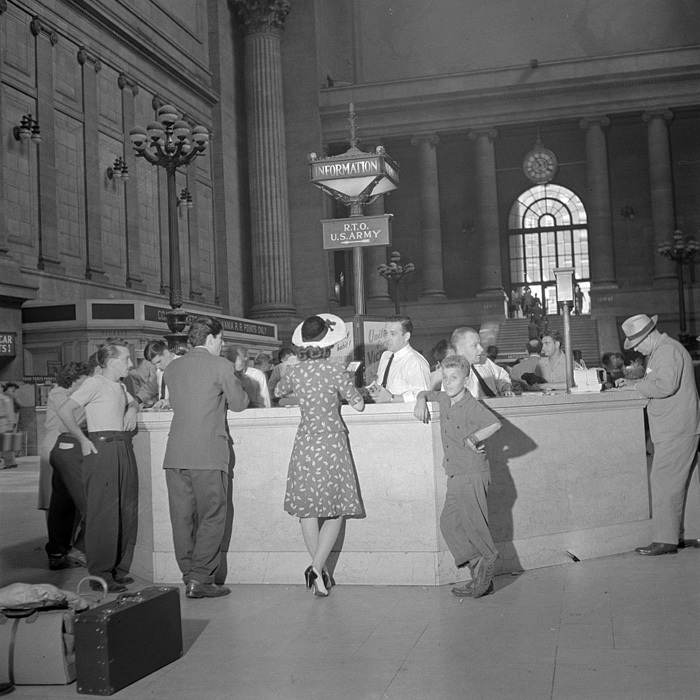 Now I’m not the biggest fan of the Pennsy, and I don’t frequently post things about Penn Station, but I think this set of photos was too amazing to pass up. 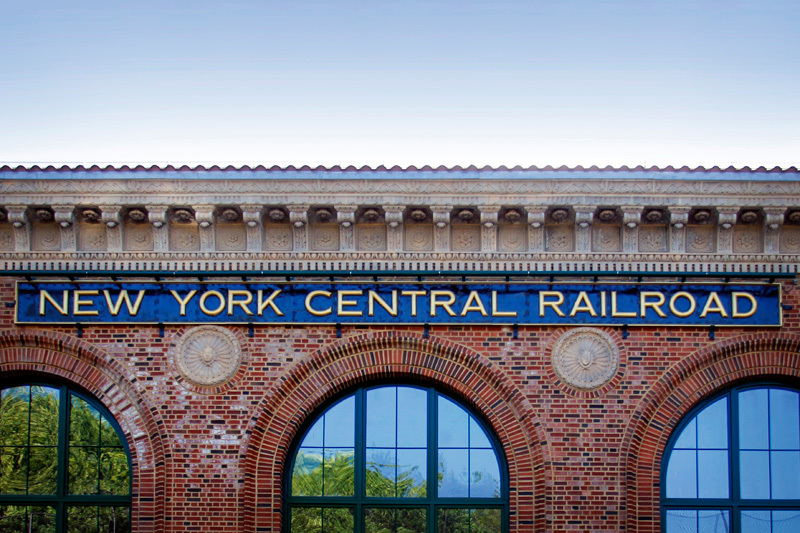 We may be celebrating the centennial of Grand Central Terminal, but I think it is also a perfect time to reflect about New York’s other great “temple of transportation,” and its greater significance in terms of historical preservation. New York’s Pennsylvania Station, built 1910, demolished 1963. 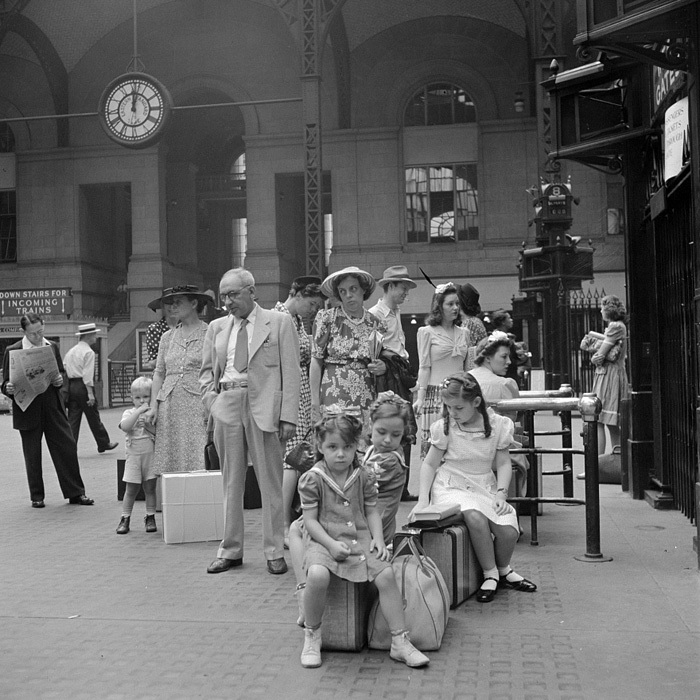 Grand Central Terminal was still in construction when the Pennsylvania Railroad opened their great station in 1910. 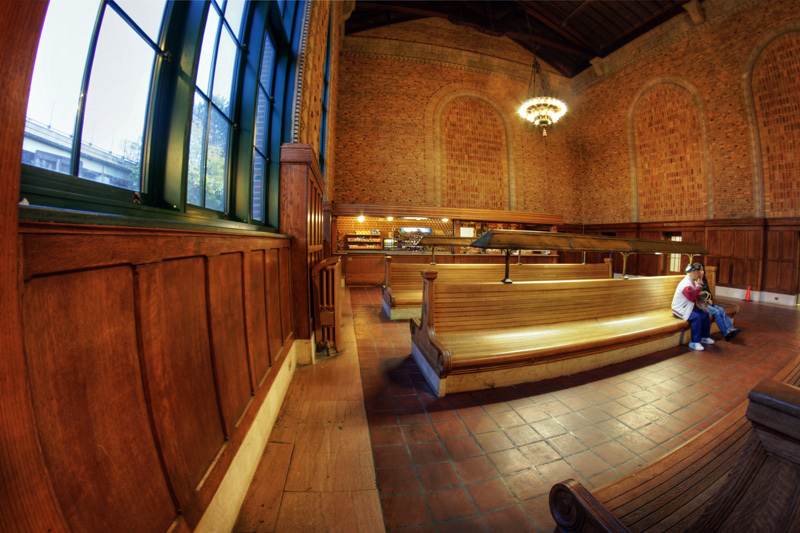 Designed by the famous McKim, Mead, and White, the two stations shared a Beaux Arts aesthetic. 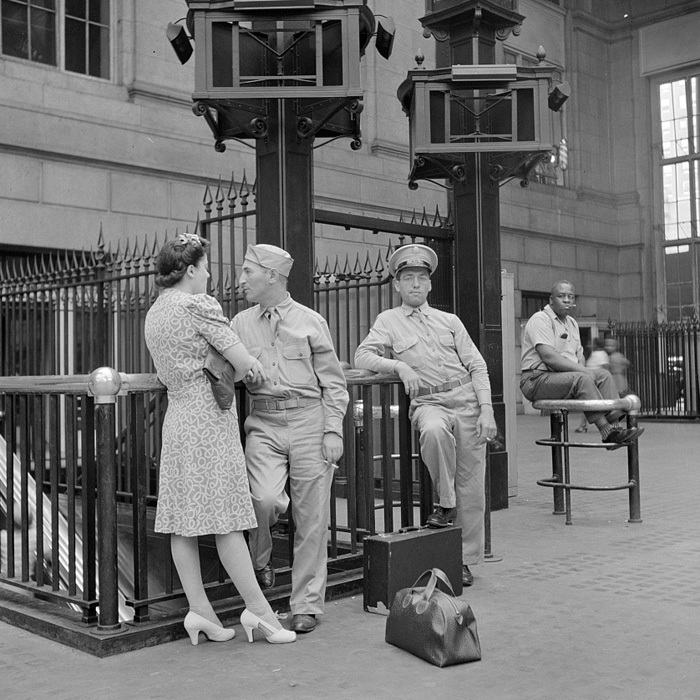 Both were exquisite New York monuments, and they almost shared the same fate – the wrecking ball. 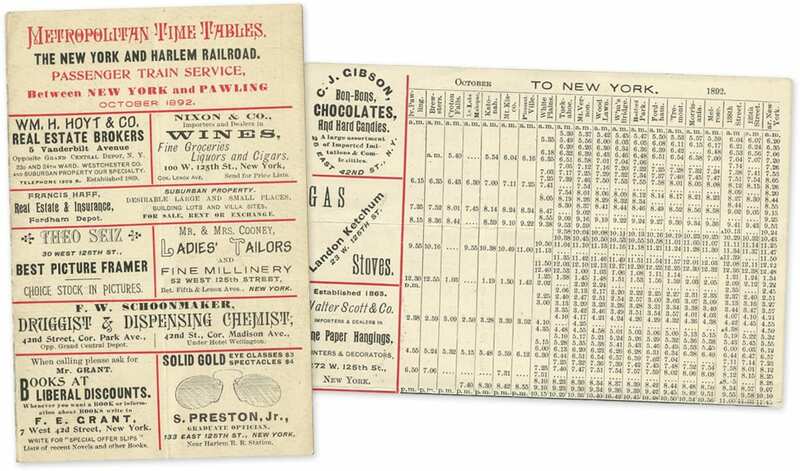 With the decline in rail travel both the New York Central and the Pennsylvania Railroads were strapped for cash and looking to make a buck anywhere they could. 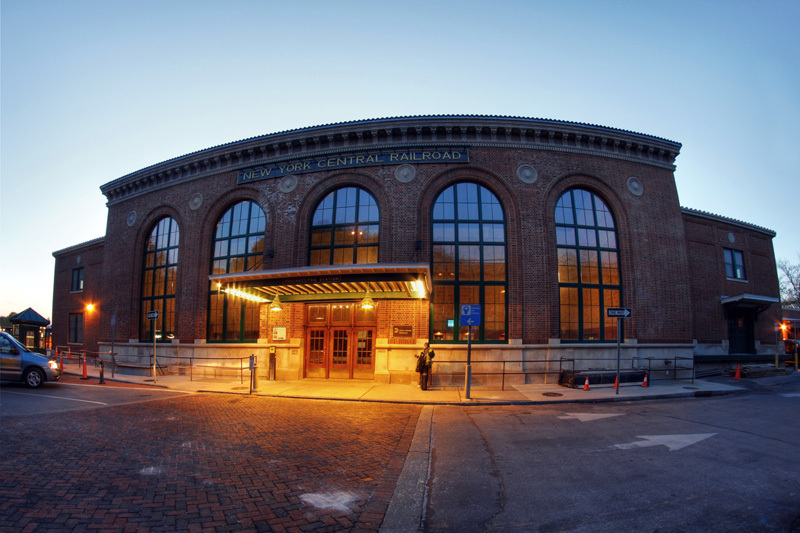 With the significant costs to maintain such large stations, the buildings were worth more to them as real estate. 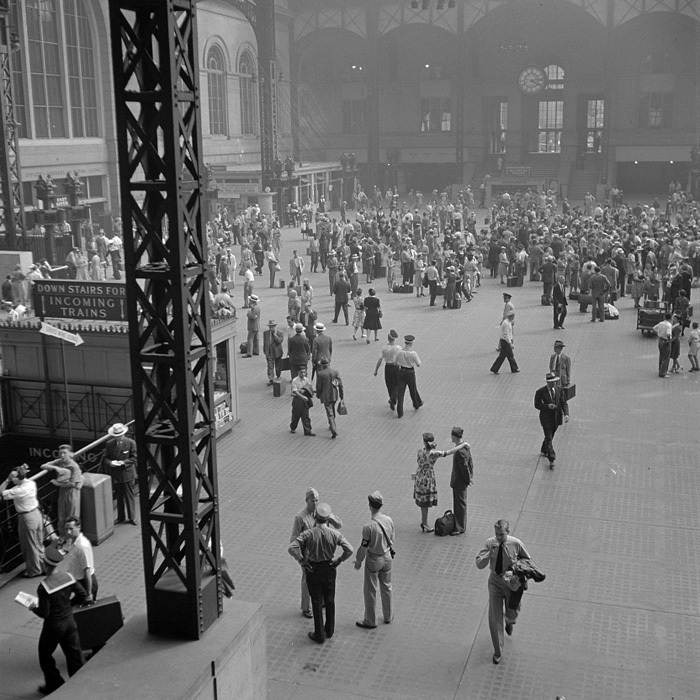 In 1963 the gorgeous Penn Station was demolished in order to build Madison Square Garden above. 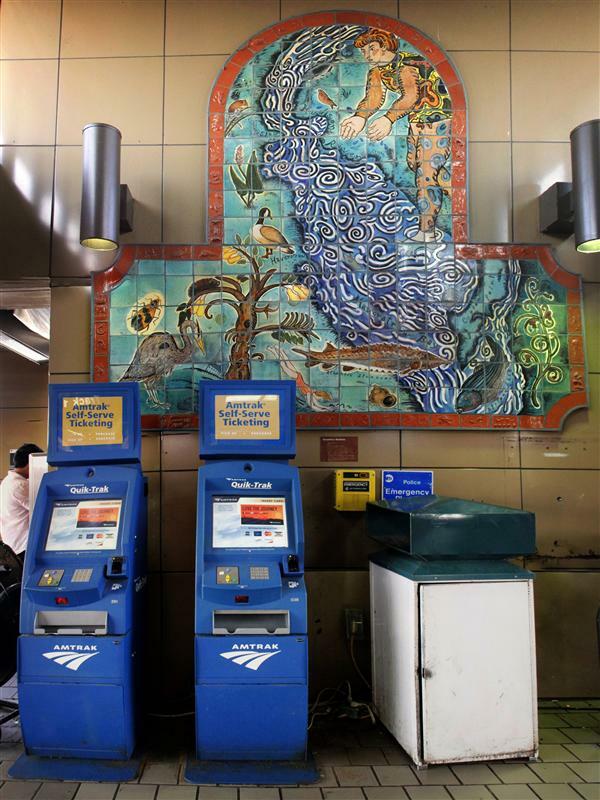 Is it not cruel to let our city die by degrees, stripped of all her proud monuments, until there will be nothing left of all her history and beauty to inspire our children? 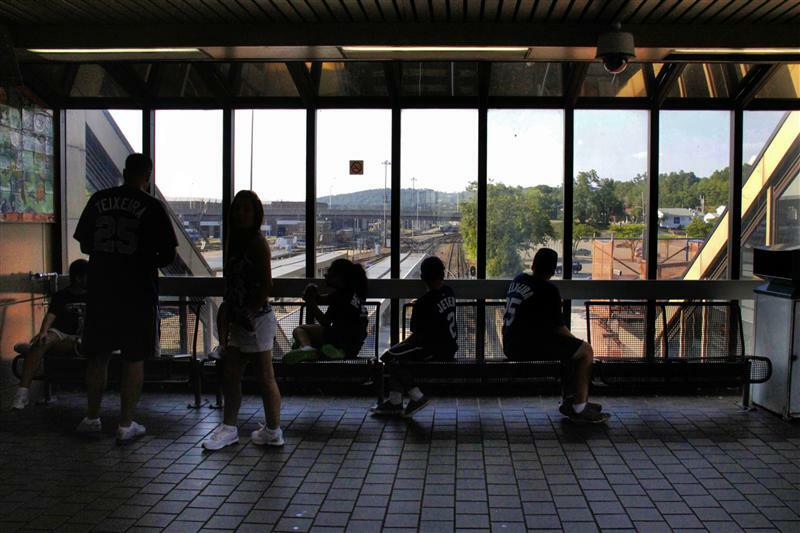 If they are not inspired by the past of our city, where will they find the strength to fight for her future? 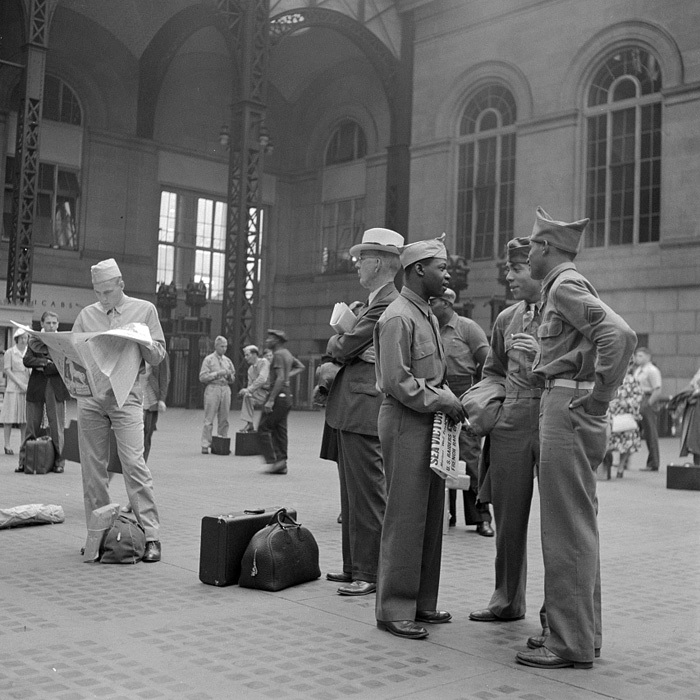 Americans care about their past, but for short term gain they ignore it and tear down everything that matters. 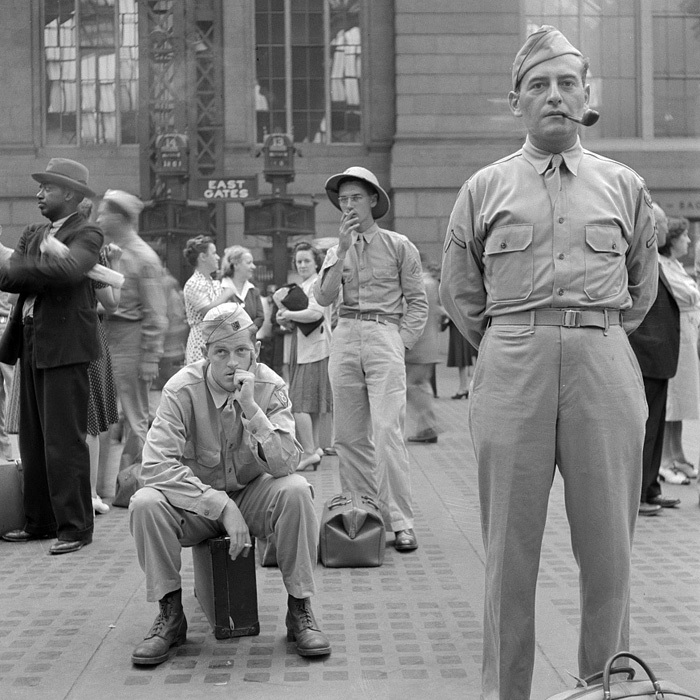 Maybe this is the time to take a stand, to reverse the tide, so that we won’t all end up in a uniform world of steel and glass boxes. 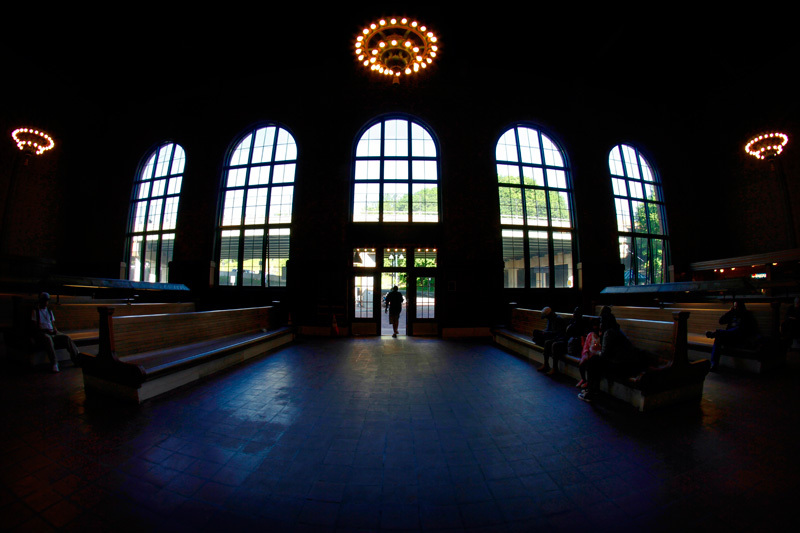 –Jacqueline Kennedy Onassis, the high-profile face of historic preservation in New York City. 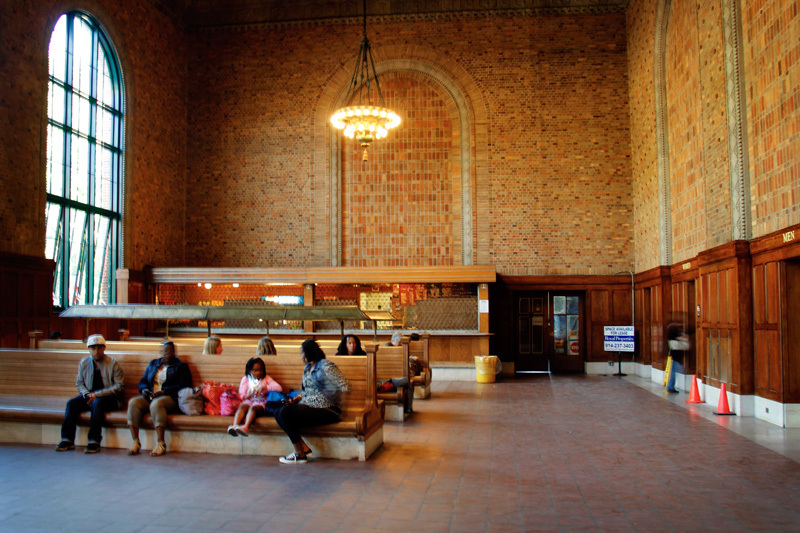 I am firmly of the belief that New York could not have two great railroad stations – for it was the destruction of Pennsylvania Station that motivated people to protect the city’s historical landmarks. 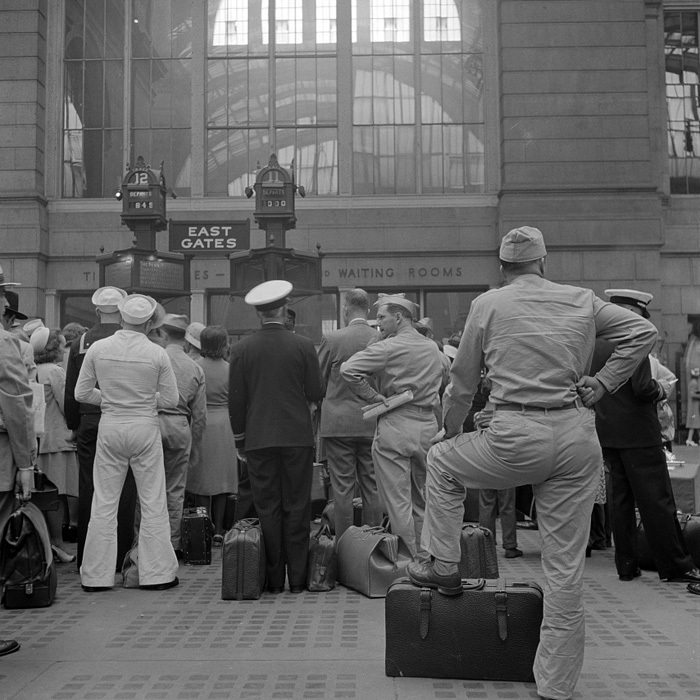 In 1965, two years after Penn Station’s destruction, New York’s Landmark Preservation Commission was established. 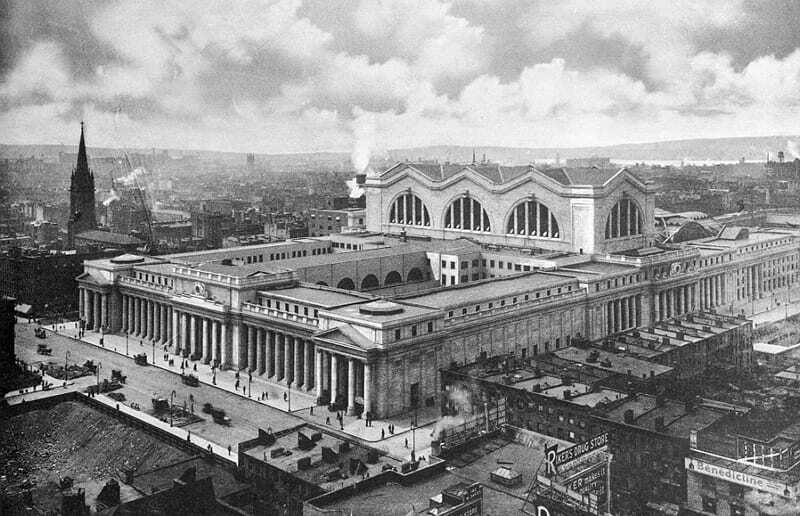 Grand Central was declared a landmark, and the New York Central, and later the Penn Central, were not permitted to destroy it – a fight the railroad took all the way up to the Supreme Court. 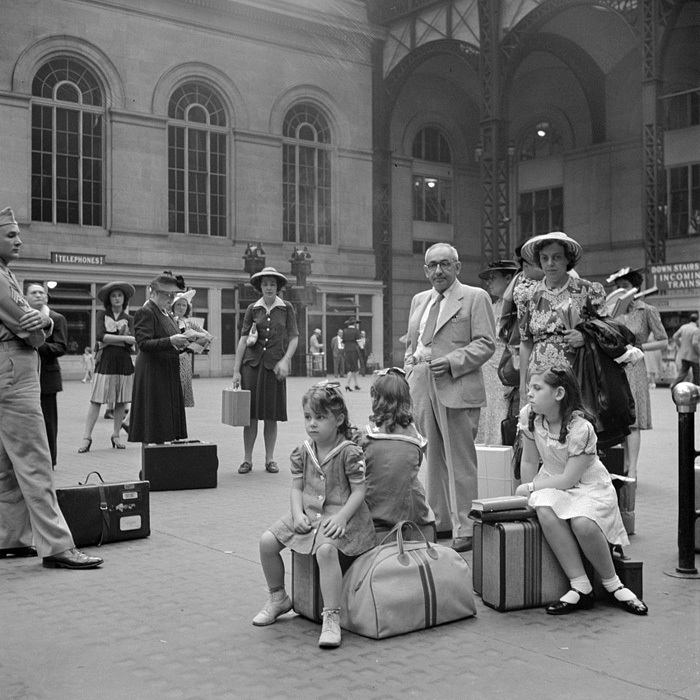 If not for the destruction of Penn Station, it is very possible that we would not be celebrating the centennial of Grand Central right now. 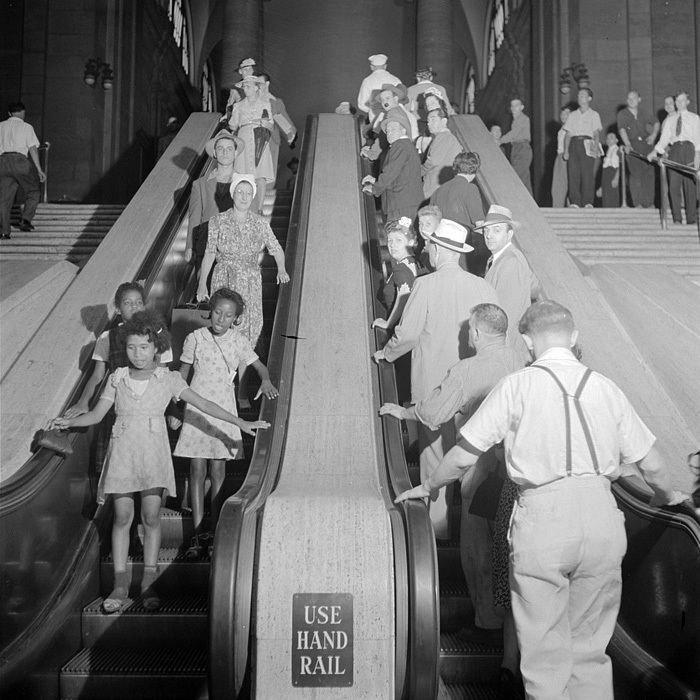 So thanks, Penn Station, we shall not forget you. 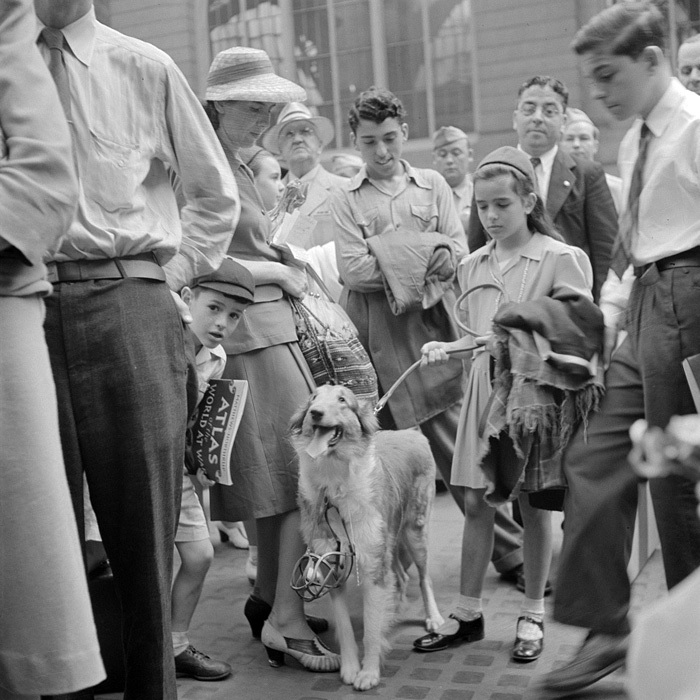 Happy holidays to all our readers, and a very Merry Christmas for those who celebrate it! For those that are into history, be sure to check out this post of holiday Harlem Line timetables, and this groovy Penn Central holiday suburban schedule. 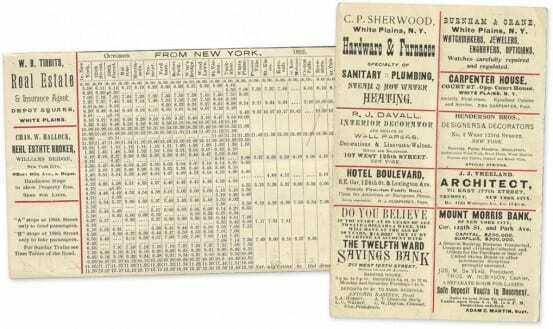 Penn Central may be despised by many, but they certainly put out some interesting timetables. 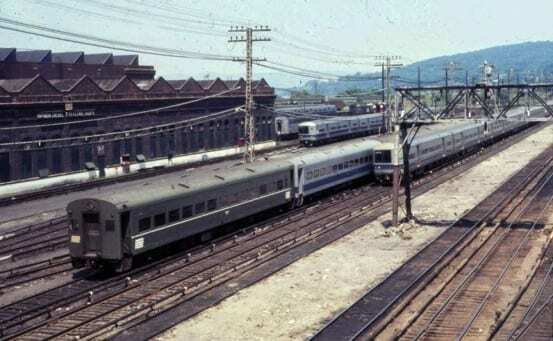 Despite the holiday, today is of course Tuesday, and our final Hudson Line Tuesday tour will be posted, though likely later on this afternoon. 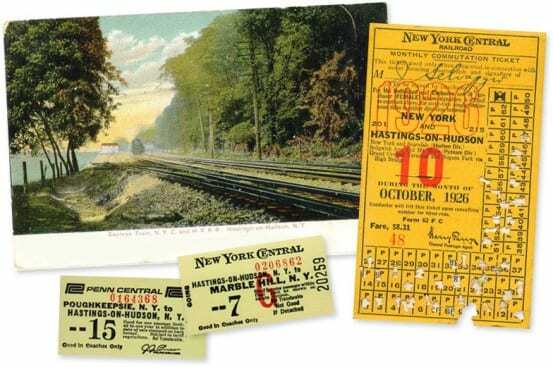 Various artifacts from Hastings-on-Hudson station, including New York Central and Penn Central tickets. 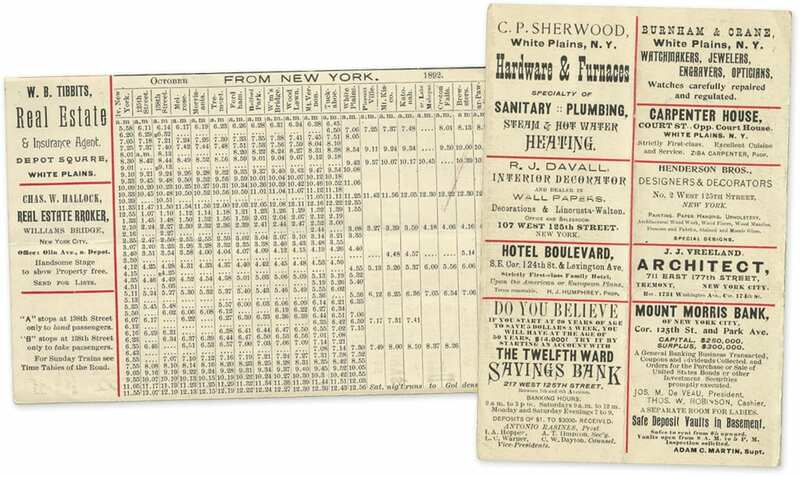 The Monthly Commutation ticket is from the collection of the Hastings Historical Society, and belonged to a young woman named Josephine Selvaggio. 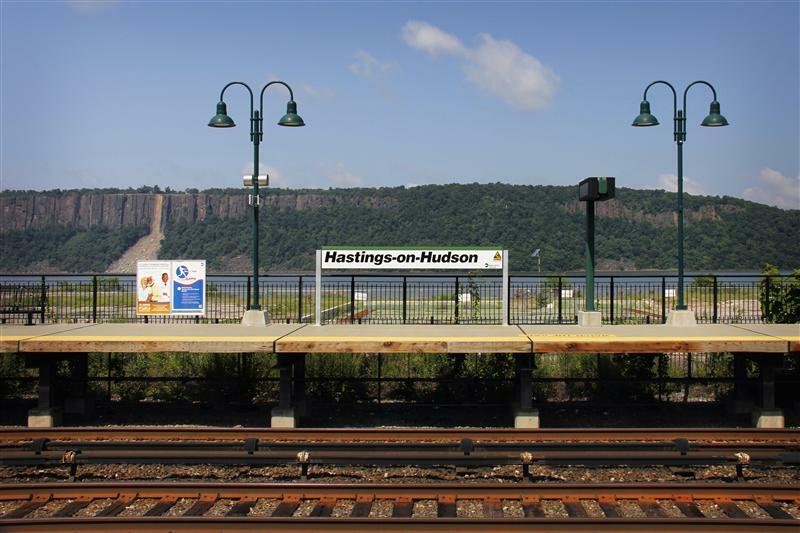 Nestled in between the stations of Greystone and Dobbs Ferry, and just over 19 miles from Grand Central, lies the station of Hastings-on-Hudson. 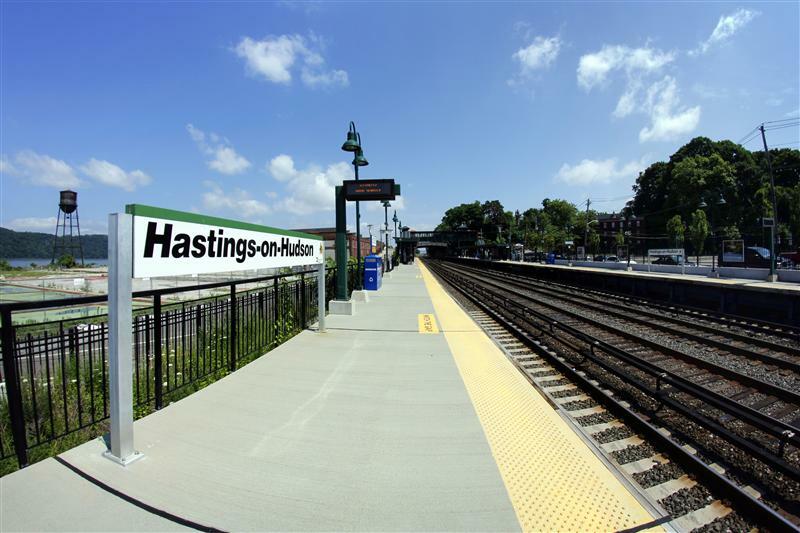 The railroad has been a main feature of Hastings since the 1840’s, and along with it came various factories and industry. 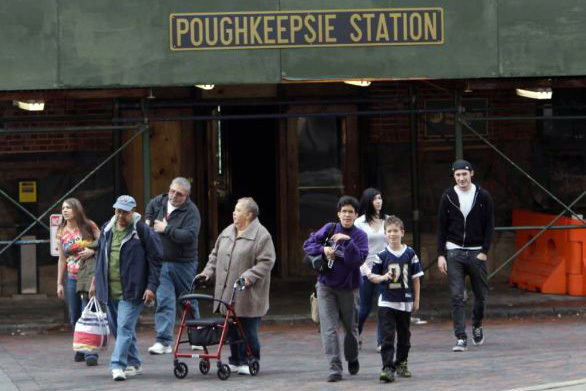 In 1840 a sugar refinery was established just south of where the train station is. 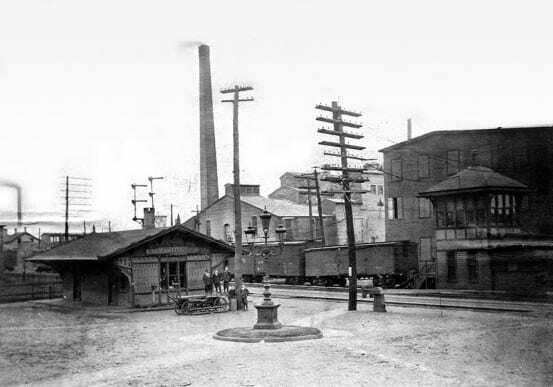 A fire destroyed the building in 1875, and many of the other riverfront factories also burned. While the refinery was not rebuilt, other factories moved in to occupy the desirable space, adjacent to both the railroad and the riverfront. 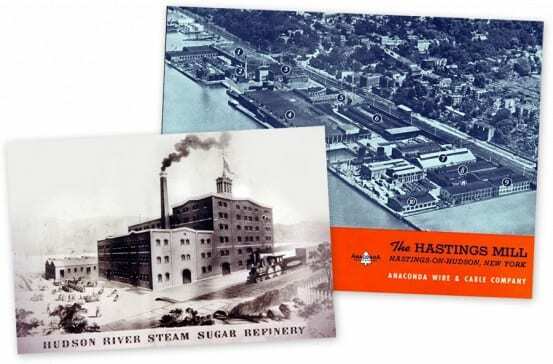 Over the years a chemical company, a cable and wire company, a pavement company, and even a brass manufacturer have all called Hastings home. 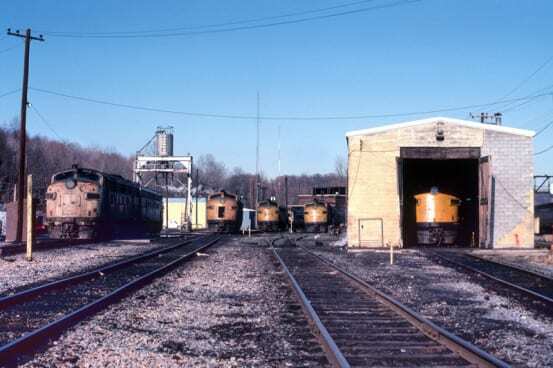 Unfortunately some of this industry has left parts of the area contaminated. 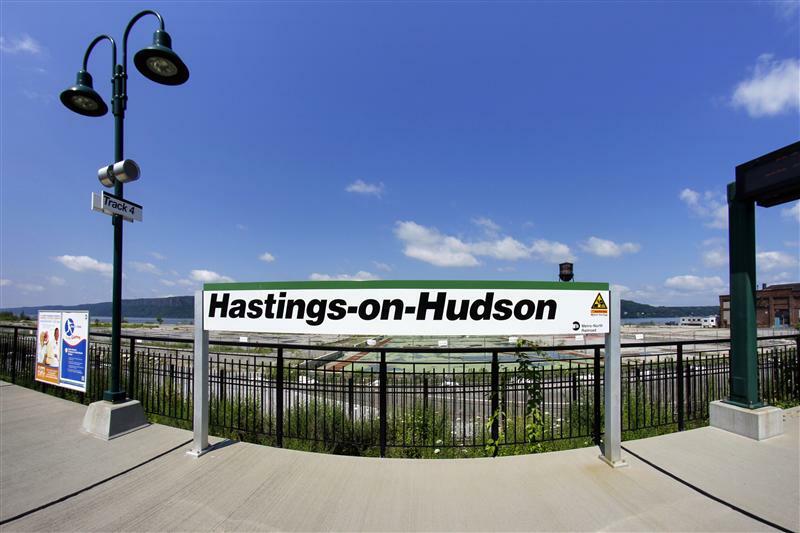 Though there are certainly spots close to the train station where one can admire the view of the Hudson River and the Palisades, it is impossible to not notice the marks of Hastings’ industrial history. Industry in Hastings – A postcard from the Hudson River Steam Sugar Refinery, and a brochure from the Anaconda Wire and Cable Company. 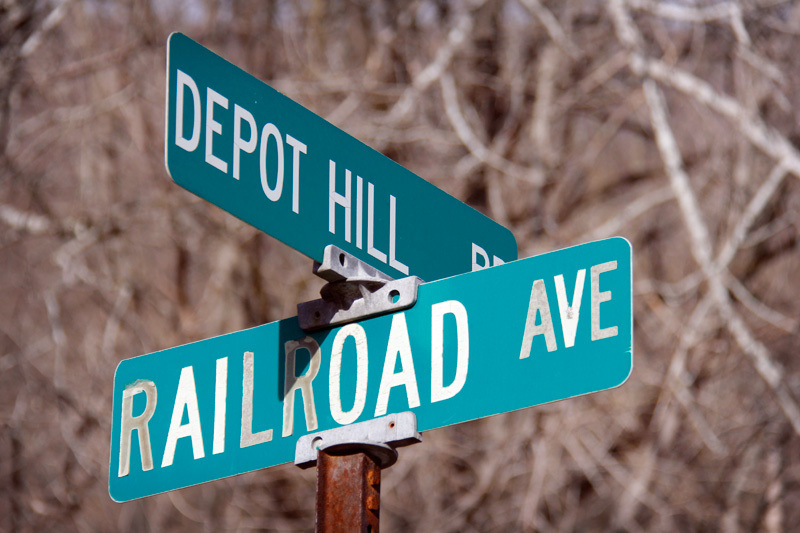 The railroad, which ran right alongside these factories, is visible in both. These two artifacts come from the Historical Treasures of Westchester County website. 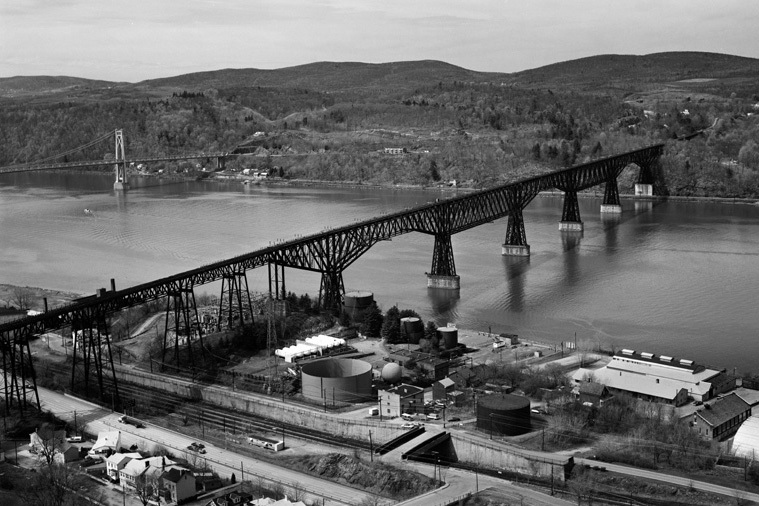 A 1926 photo of the riverfront area in Hastings-on-Hudson. 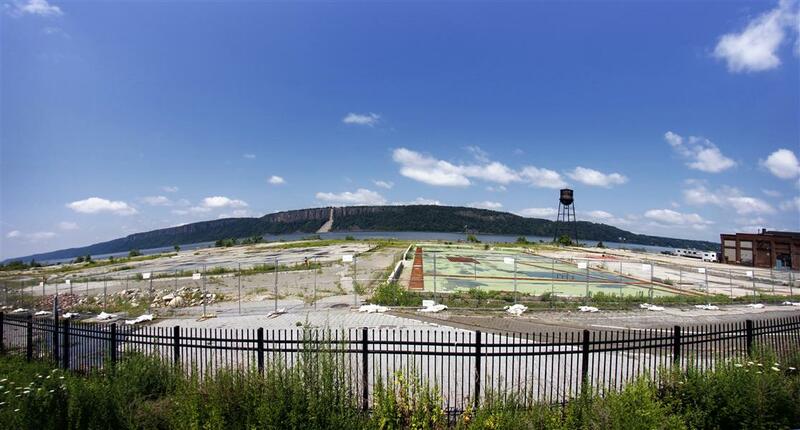 Located beside the railroad tracks and the Hudson River, the area was quite industrialized. 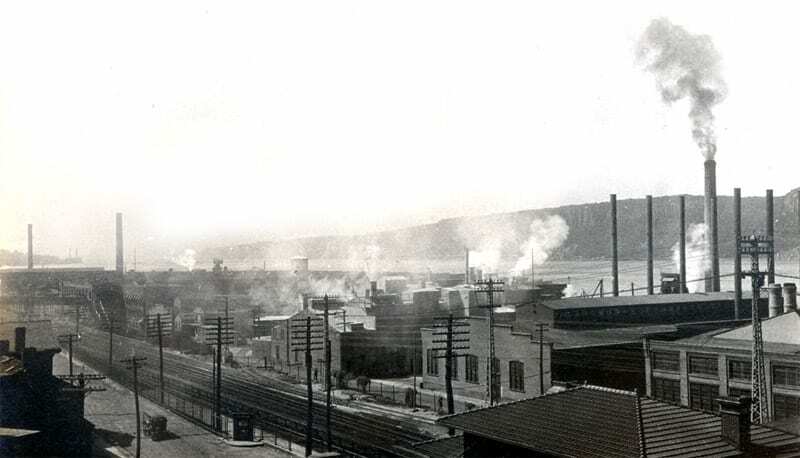 Visible in the photo are the Zinsser Chemical Company (far left), the American Brass Company (far right) and the Hastings Pavement Company (center). 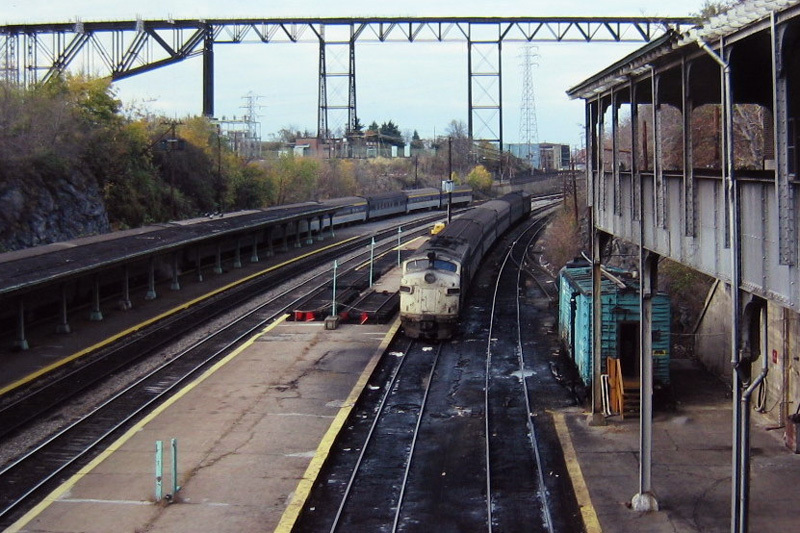 The roof of the train station is visible in the bottom right. 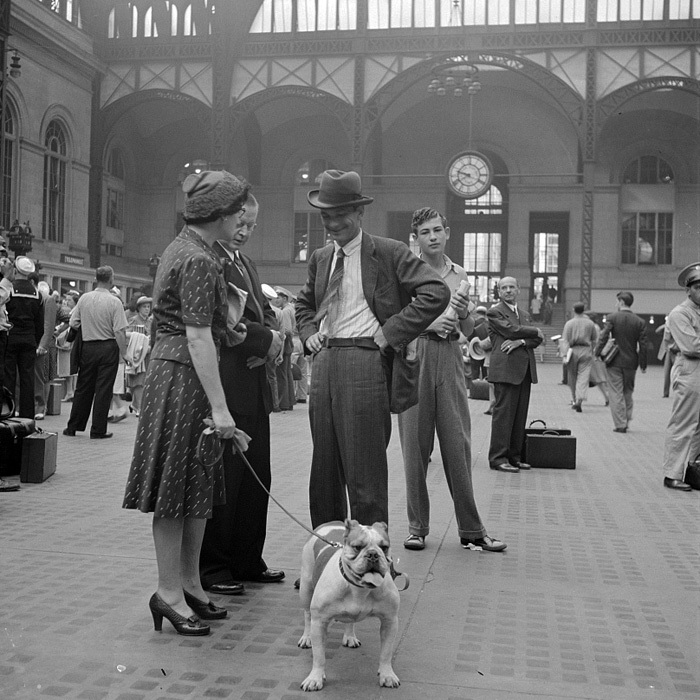 Photograph by Arthur Langmuir, from the collection of the Hastings Historical Society. 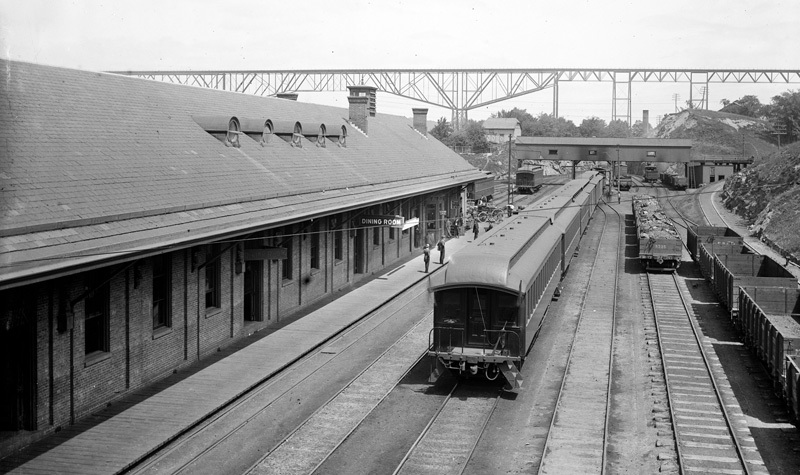 The first train station in Hastings, circa 1900. 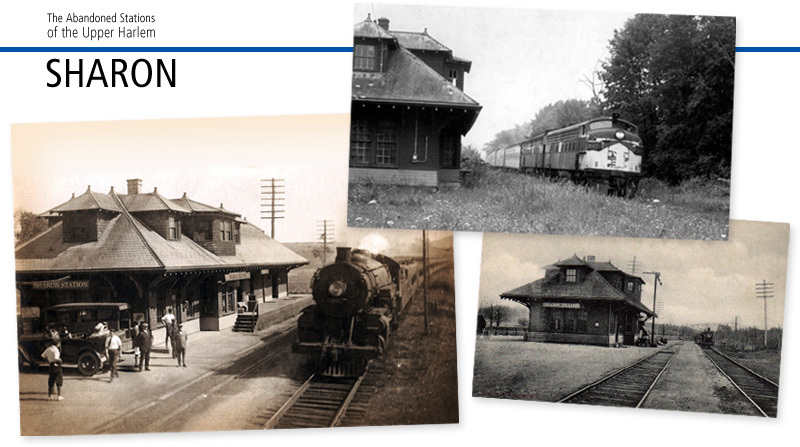 This station was demolished in 1910 to make room for a new station. 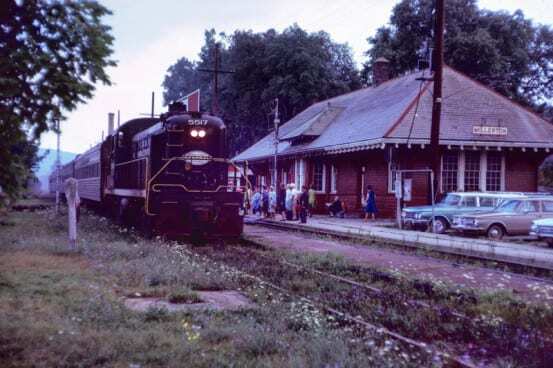 Photo from the collection of the Hastings Historical Society. 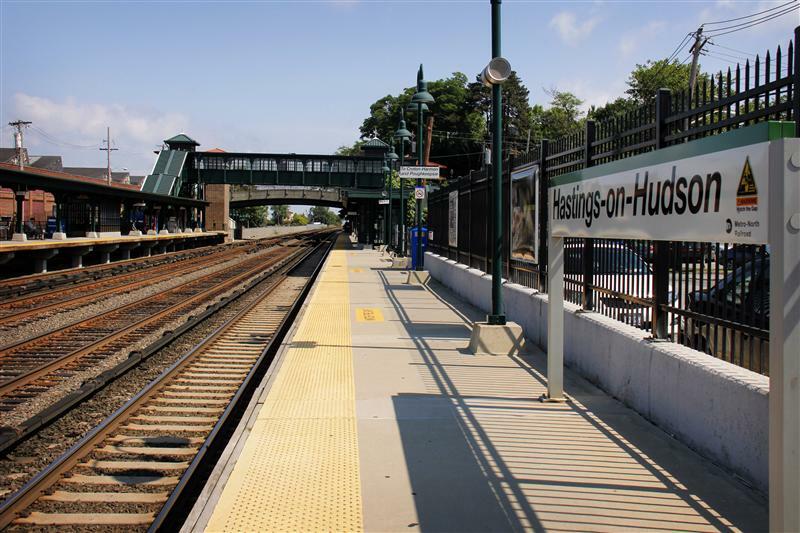 The current Hastings-on-Hudson station, operated by Metro-North, consists of two side platforms straddling four tracks. 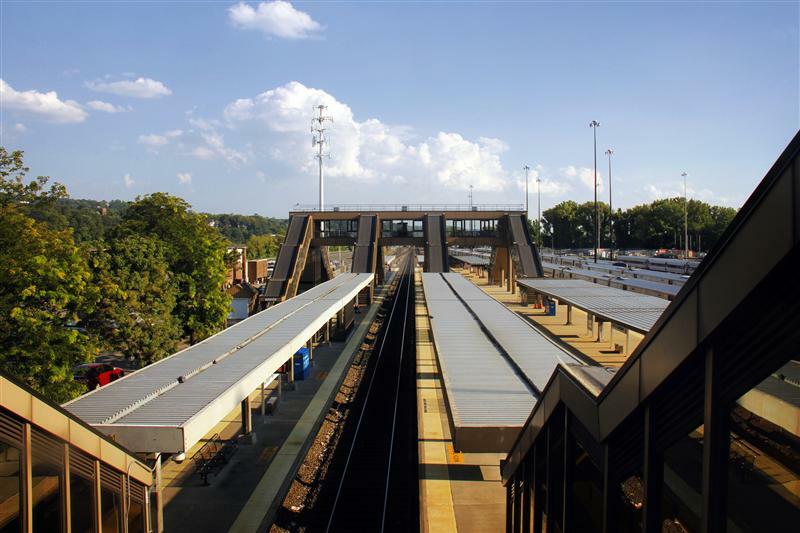 The platforms are connected by an overpass, which includes a few ticket machines inside. 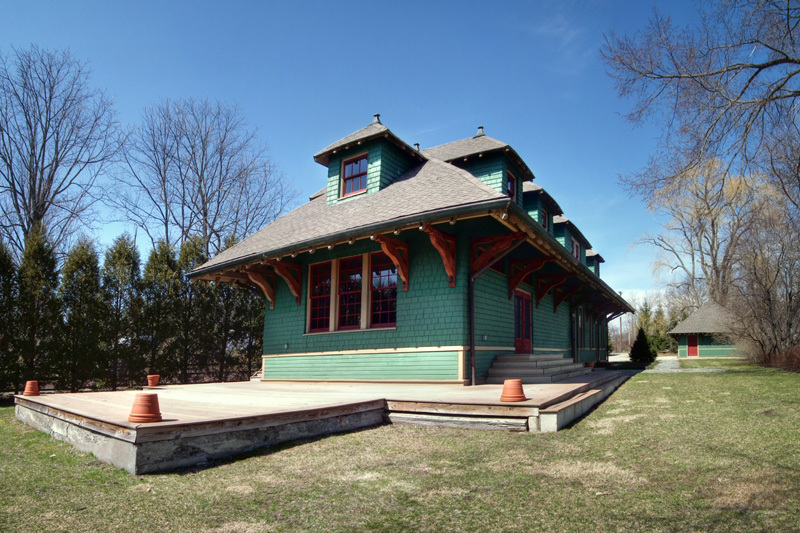 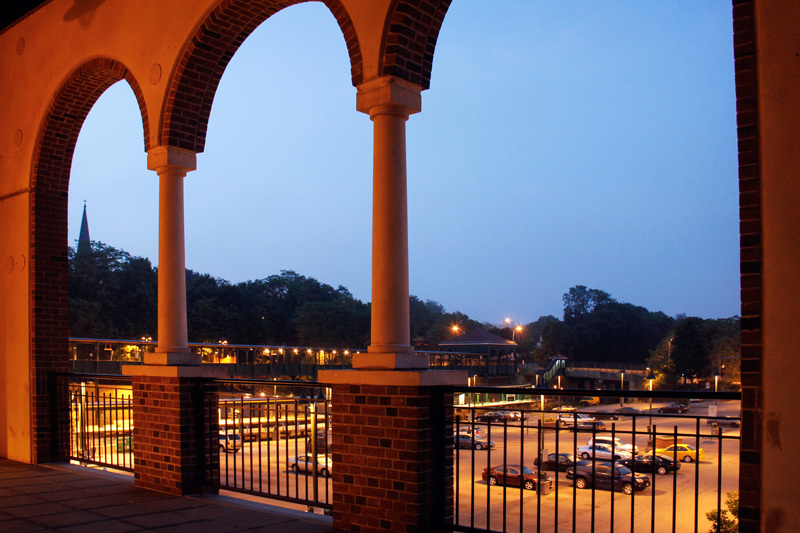 The old railroad depot, constructed circa 1910, still stands and overlooks the platforms. 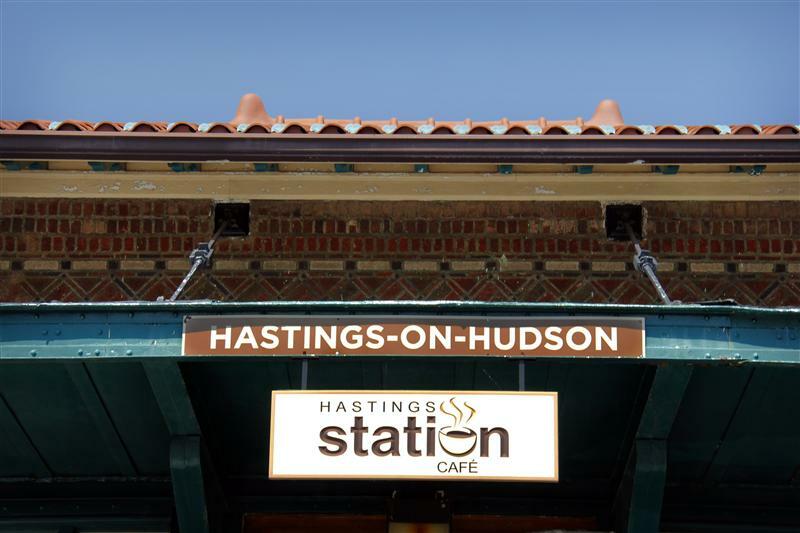 The building’s manned ticket window is long gone, but the space is now occupied by the Hastings Station Cafe. 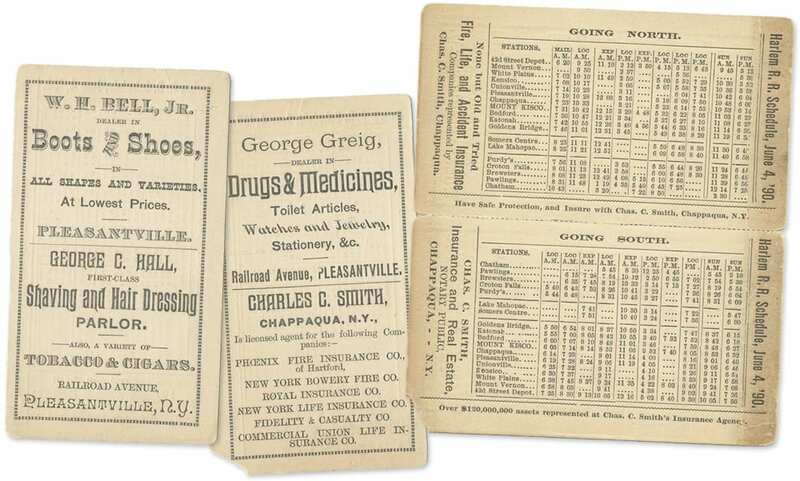 Beyond that, there isn’t much that is particularly noteworthy here. 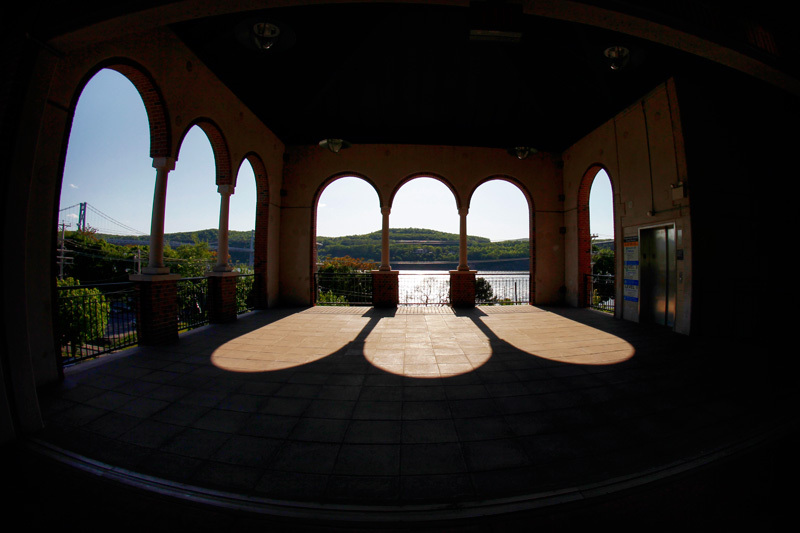 Just another Hudson Line station, complete with a nice view, and a little bit of history. 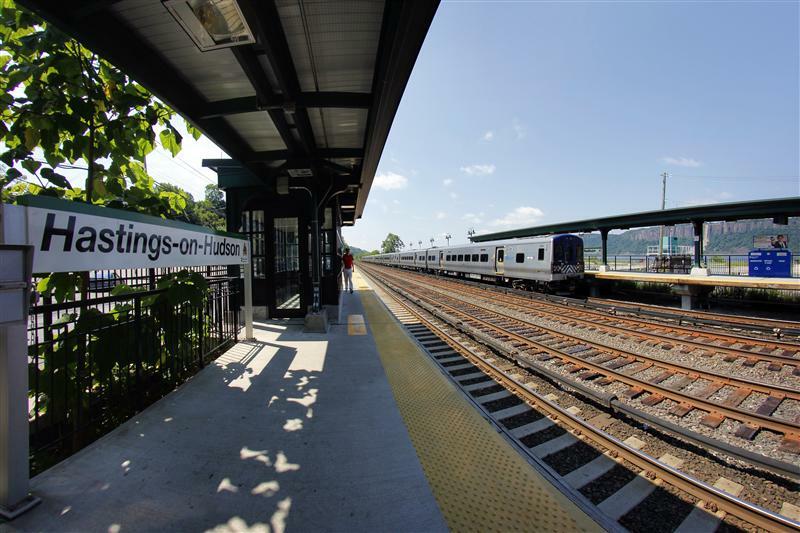 As I mentioned last week, today’s stop on our Tuesday Tour is one of the least attractive stations on the Hudson Line, Croton-Harmon. 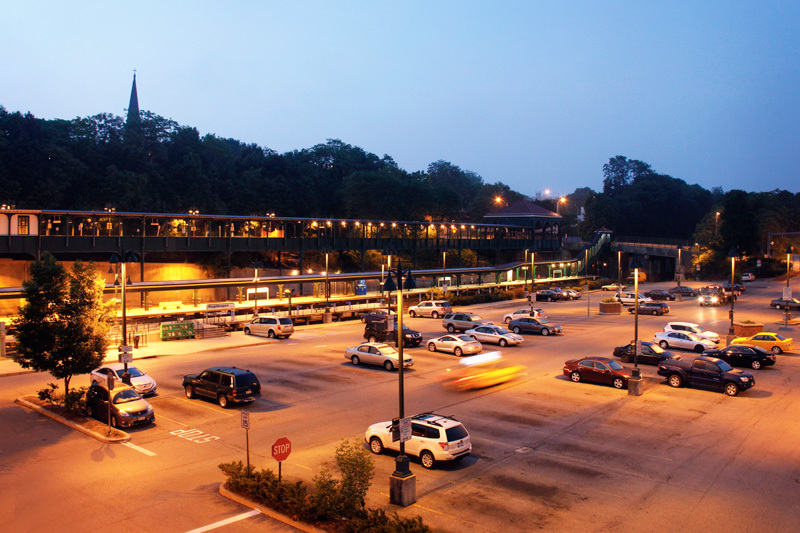 You have to have mixed feelings about this place, because despite not looking all that spectacular, there’s a lot of action going on here. 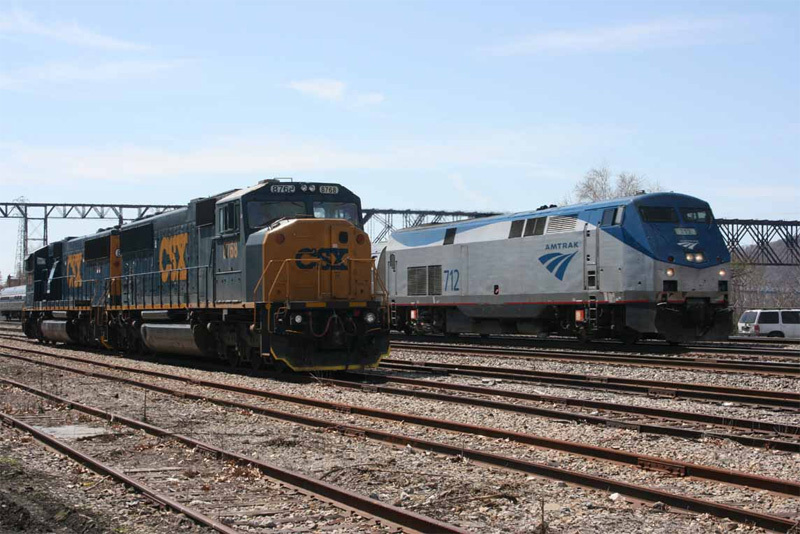 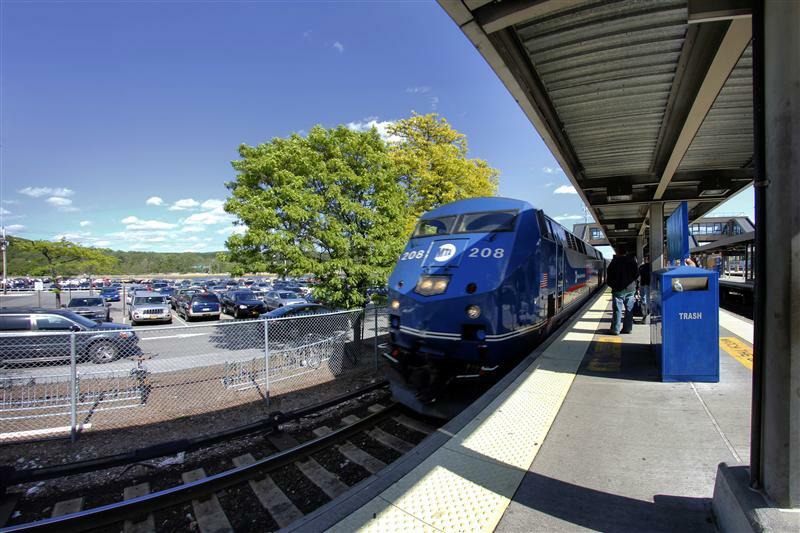 Not only does Croton-Harmon serve Metro-North, Amtrak has several trains which stop here. 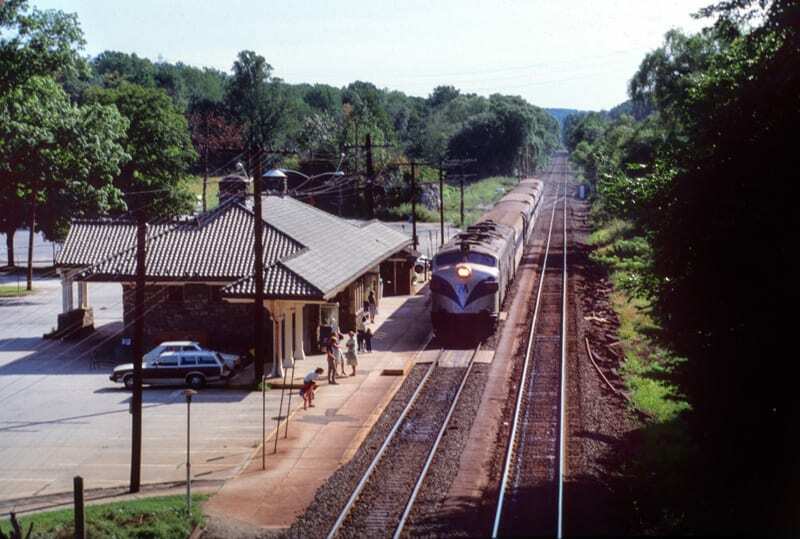 The station is also the northern terminus of electric service on the Hudson Line, and although Metro-North offers many through trains, some passengers still have to transfer here, so it is definitely a busy station (in the past fewer through trains were available, thus transferring here was a must). 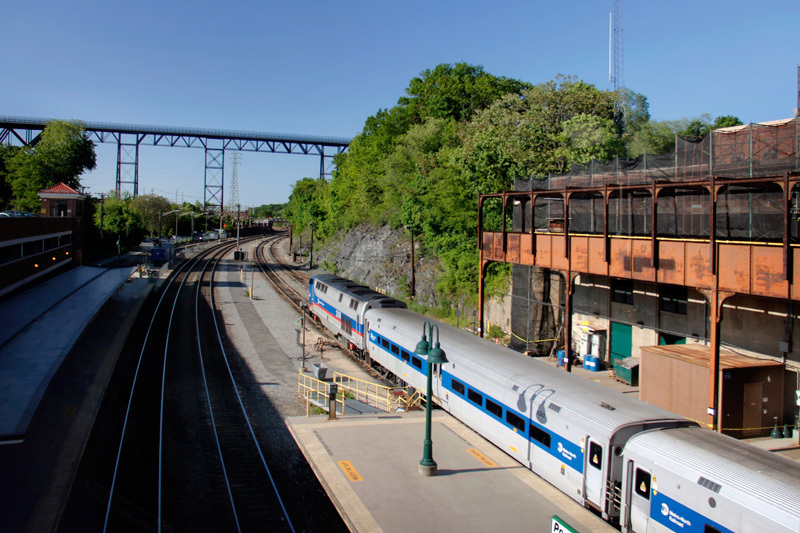 Metro-North’s Croton-Harmon shops, which recently won a Brunel Award, are also here, which certainly adds to the action. 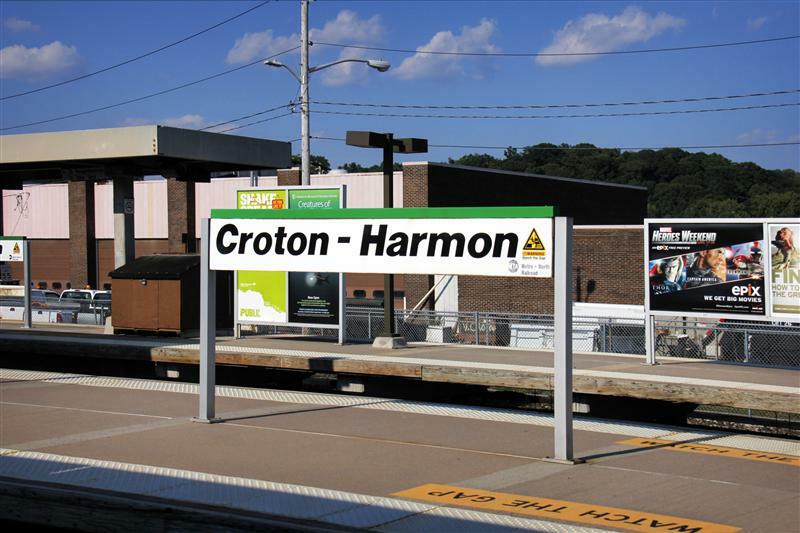 Croton-Harmon station is located about 33 miles from Grand Central, and a ride to the Terminal takes, on average, around an hour. 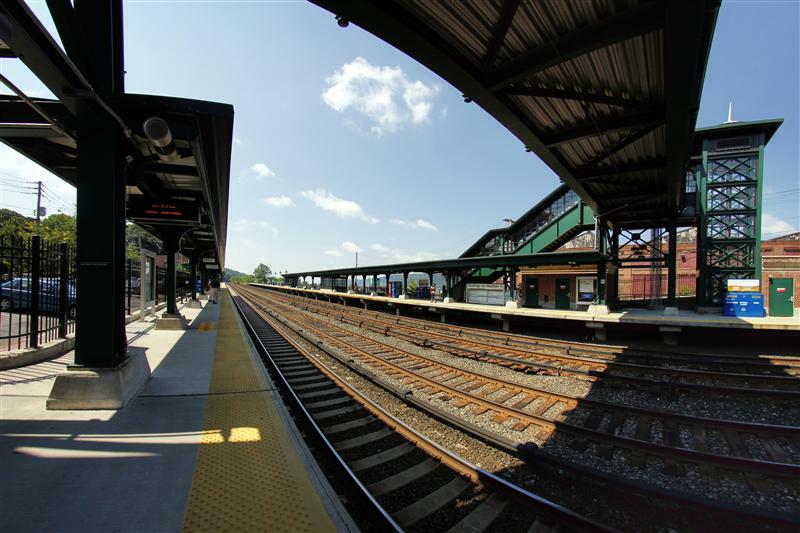 However, there are a few express trains that will get you there in around 42 minutes. 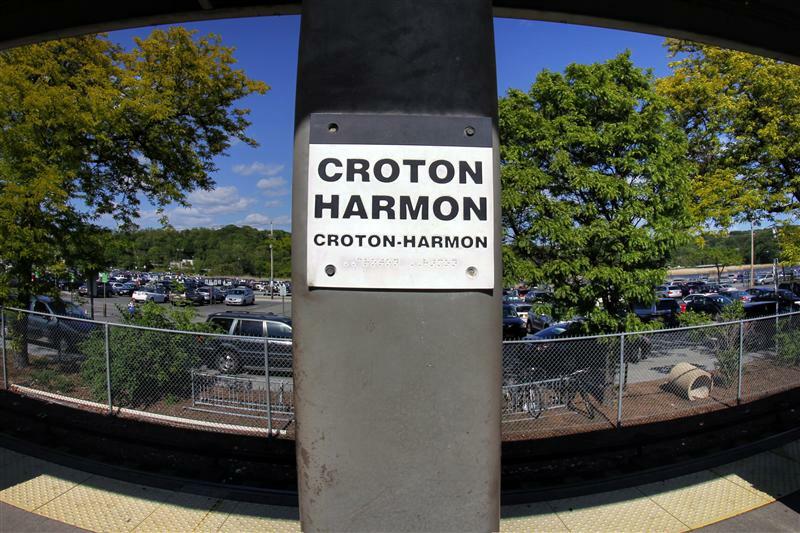 In terms of ridership, Croton-Harmon is the busiest station on the Hudson Line, and the sixth busiest system-wide (strictly Metro-North traffic and not counting GCT. 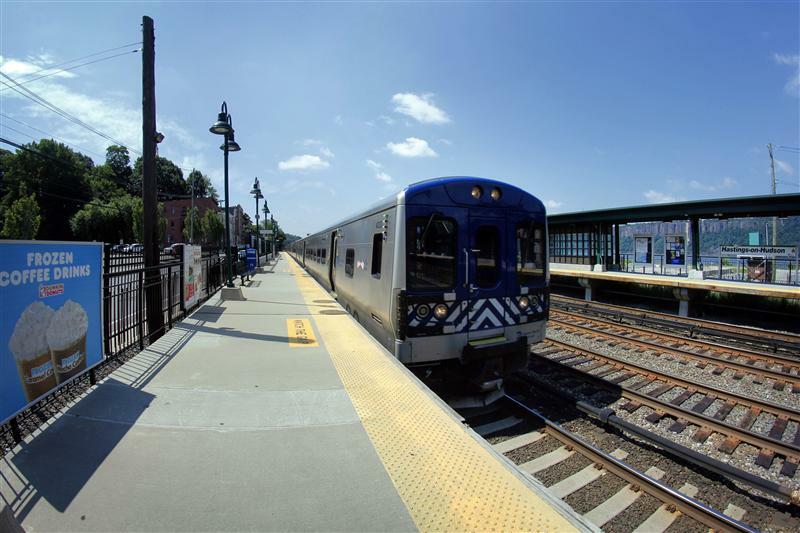 Only White Plains, Stamford, Scarsdale, New Haven, and New Rochelle get more weekday passengers). 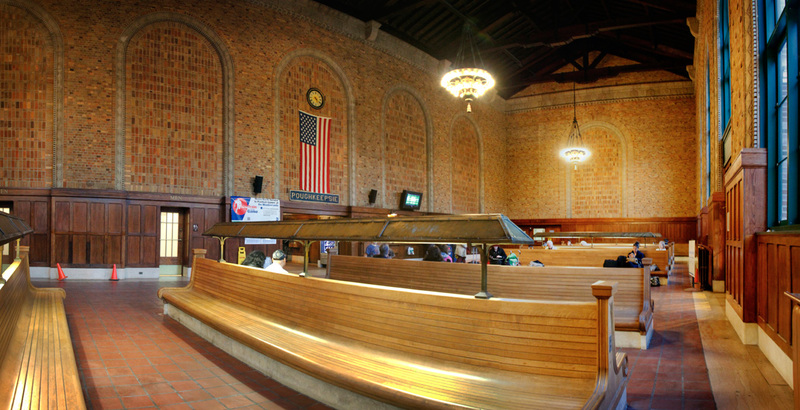 Amtrak service adds another 42,000 passengers a year traveling through the station. Croton-Harmon through the decades: 1963. 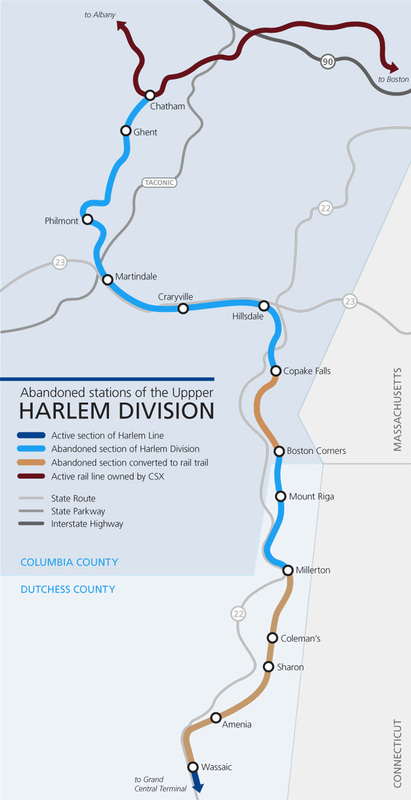 The Hudson Division was part of the New York Central at this time. 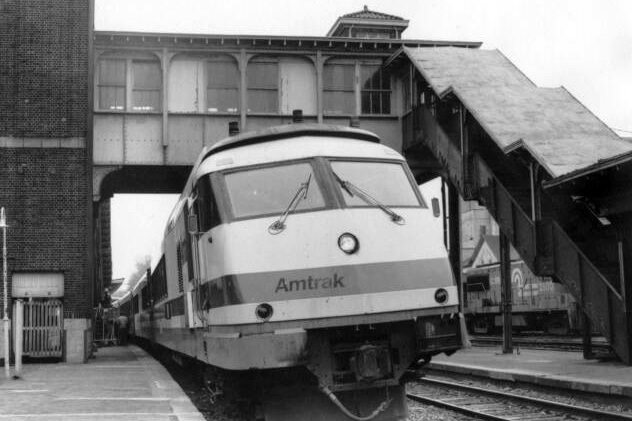 Croton-Harmon through the decades: 1974. 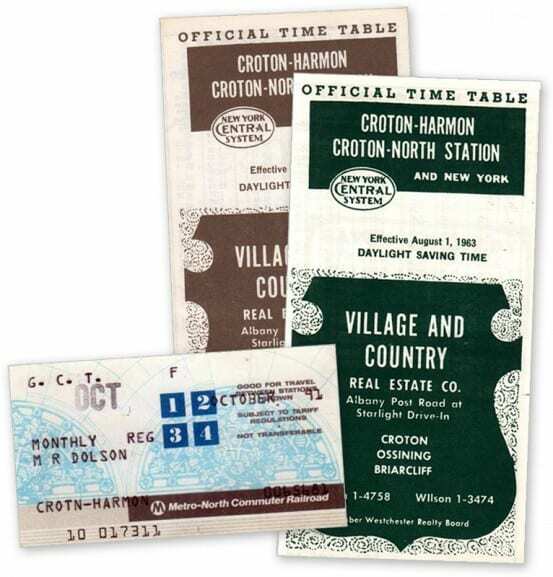 The Croton-Harmon shops in the Penn Central years. 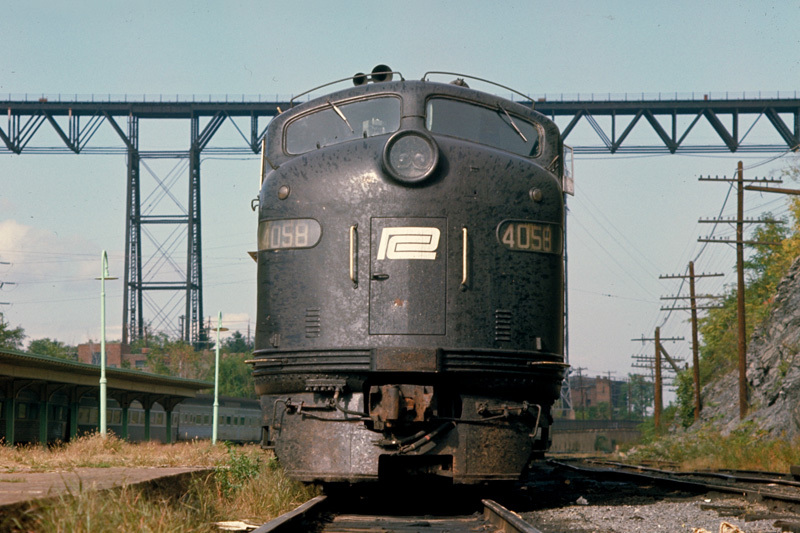 Penn Central Memories on Flickr has a lovely collection of photographs at Croton-Harmon in this era. 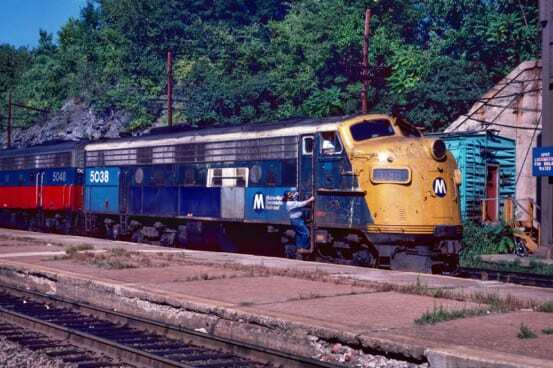 Croton-Harmon through the decades: 1984. Metro-North is still a fledgling railroad, after taking over from Conrail in 1983. 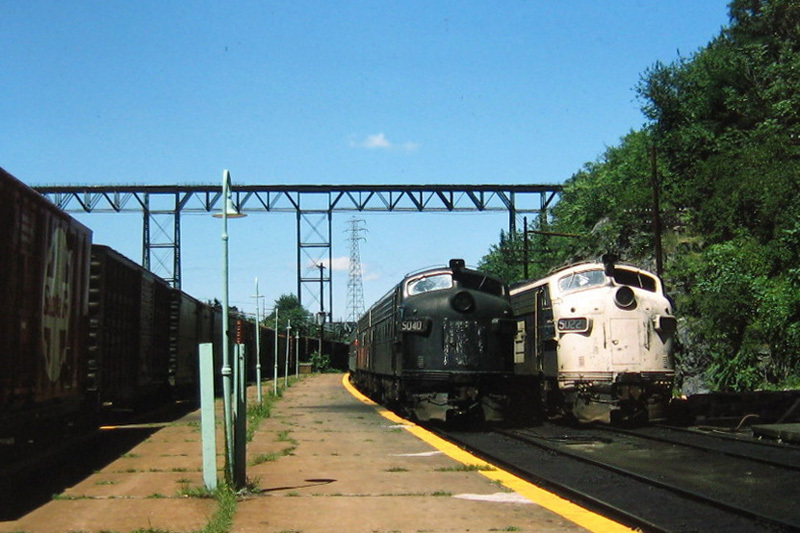 Croton-Harmon through the decades: 1992. 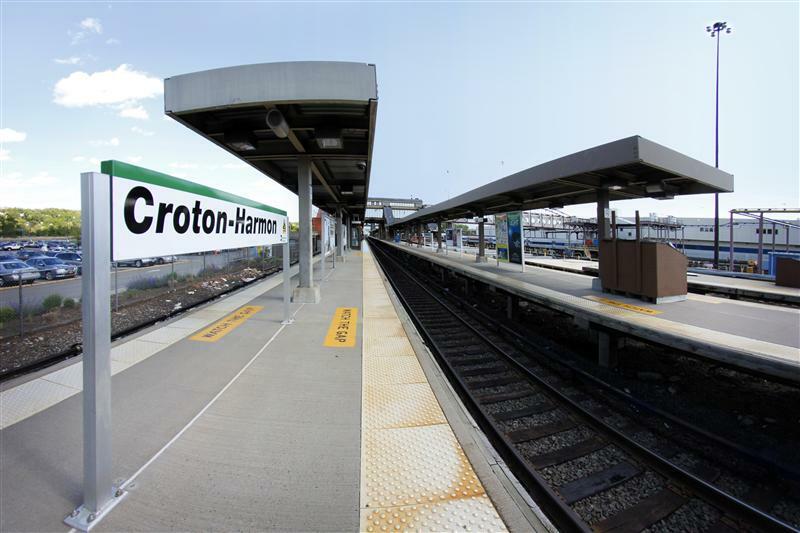 Denoting its busy status, Croton-Harmon has three island platforms, allowing multiple trains to stop at the station simultaneously. 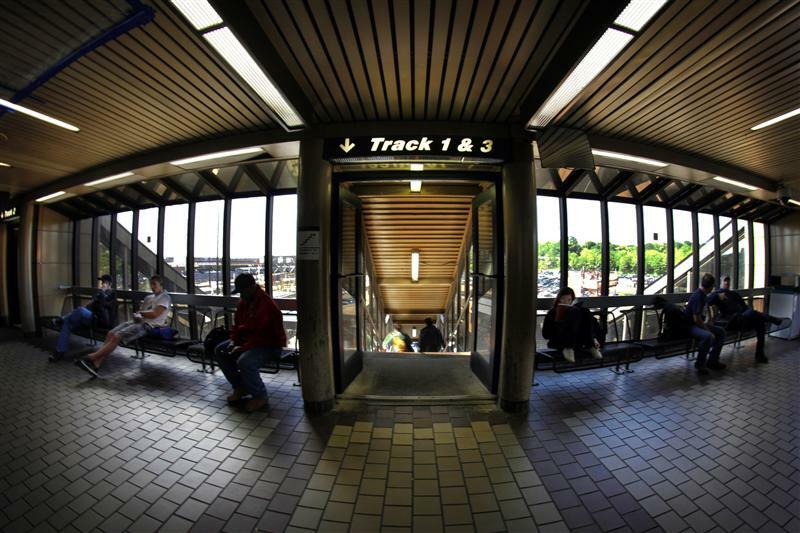 Above the platforms is an enclosed waiting room for passengers. 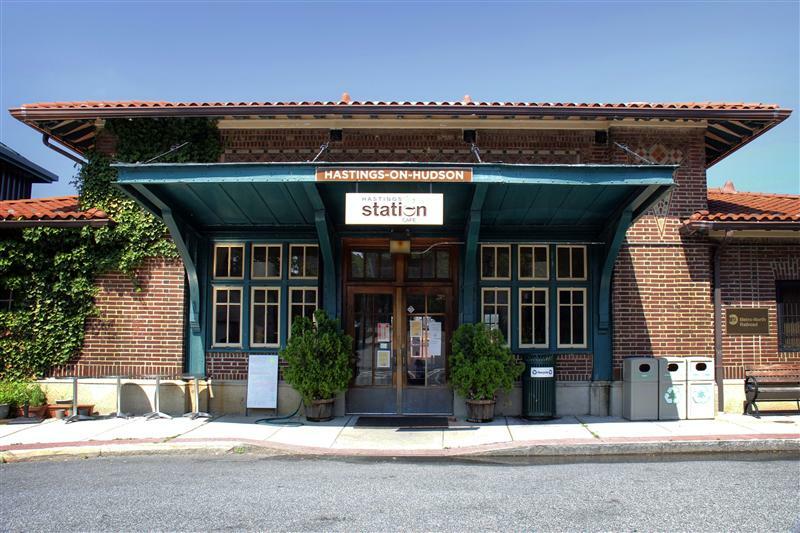 Croton-Harmon is one of the few system stations to still have a manned ticket window, which serves Metro-North customers only. 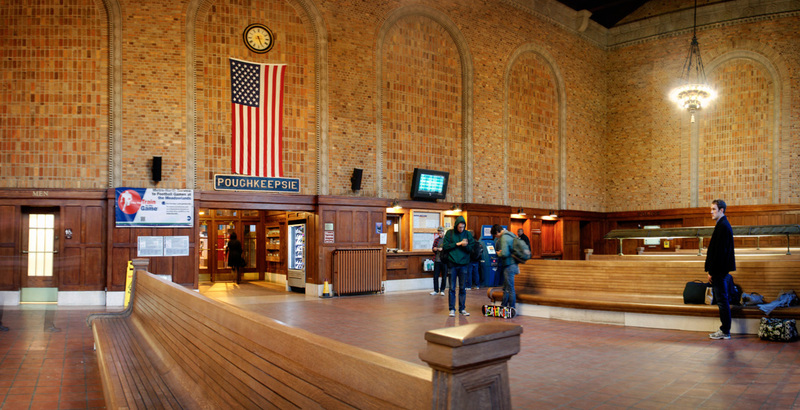 Amtrak does have two ticket machines not far from the ticket window. 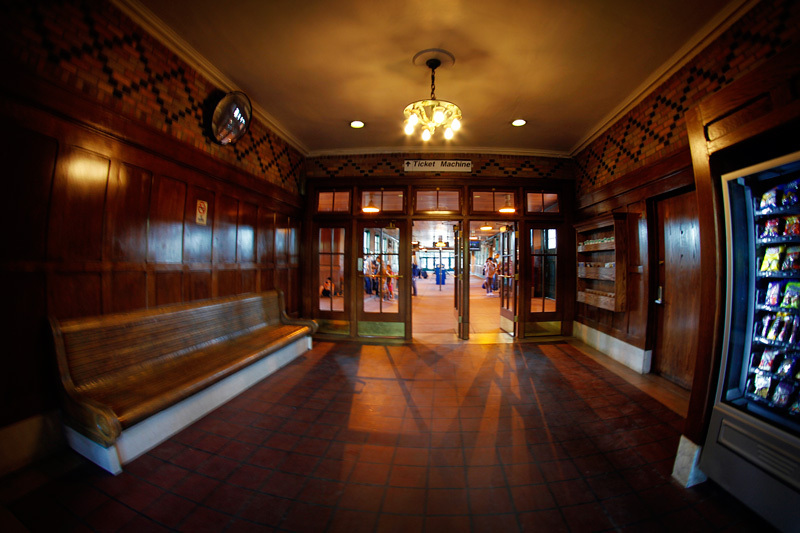 The waiting area also has a few vending machines, and restrooms available. Closer to the parking lot, the station also has a cleaners – this building was the temporary station in 1988 as the current station was under construction. 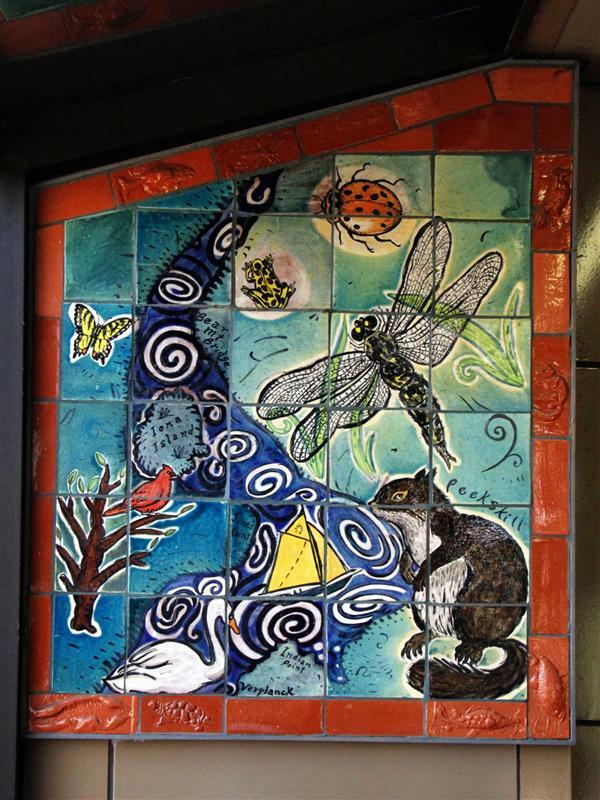 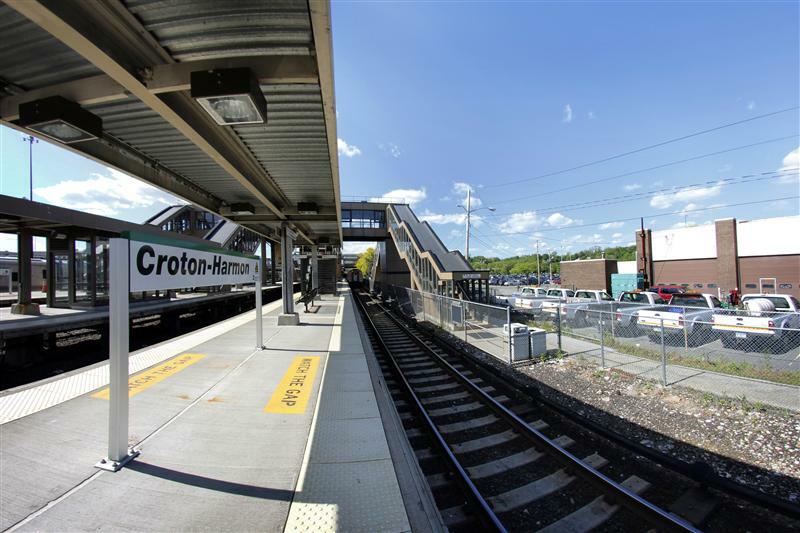 There isn’t much else noteworthy to mention of today’s Croton-Harmon – it is a busy, functional Metro-North station, that when compared with other Hudson Line stations like Poughkeepsie and Yonkers, is hardly attractive. 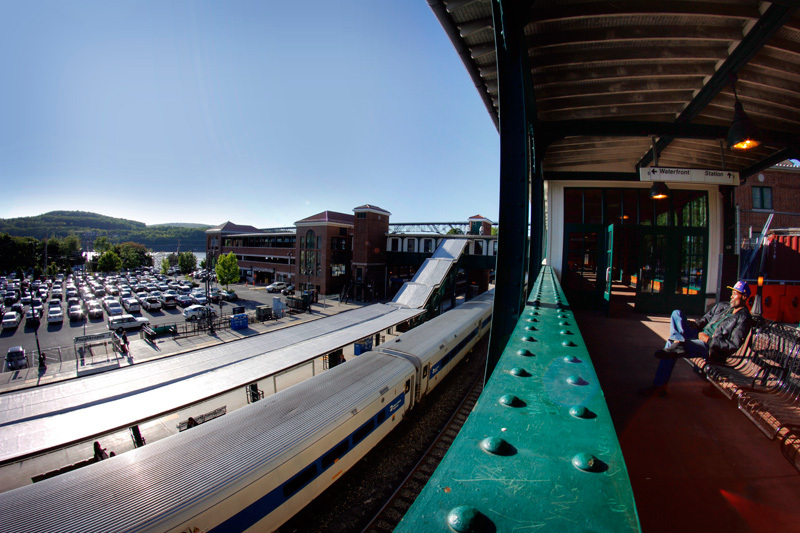 With the traffic moving in and out, the station is at least nice place to watch trains… thus I’ll let the photos below speak for themselves! I’m not exactly sure who the Penn Central had do their design work back in the late 60’s, but whoever it was, they were probably pretty free-spirited. 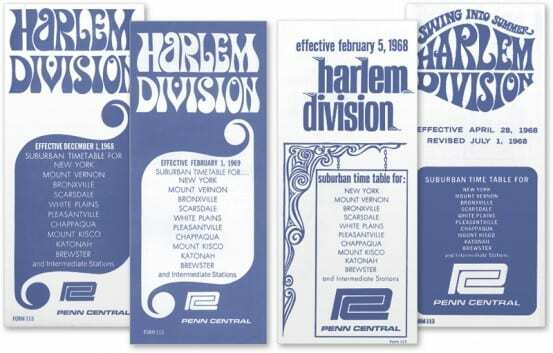 None of the New York Central’s Harlem Division timetables were really out of the ordinary… but after the merger with the Pennsylvania Railroad to form the Penn Central, things took an interesting turn. 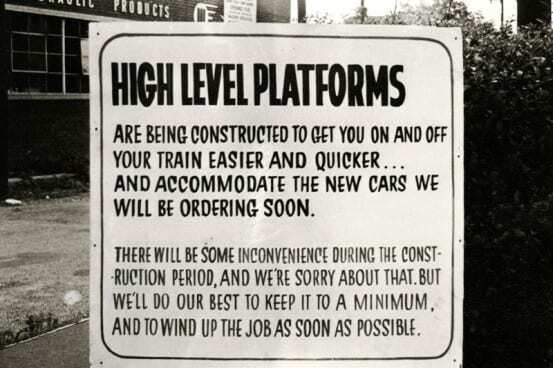 In the first year of the merger – 1968 – several funky timetables were churned out… but by the new year, they were pretty much forgotten. 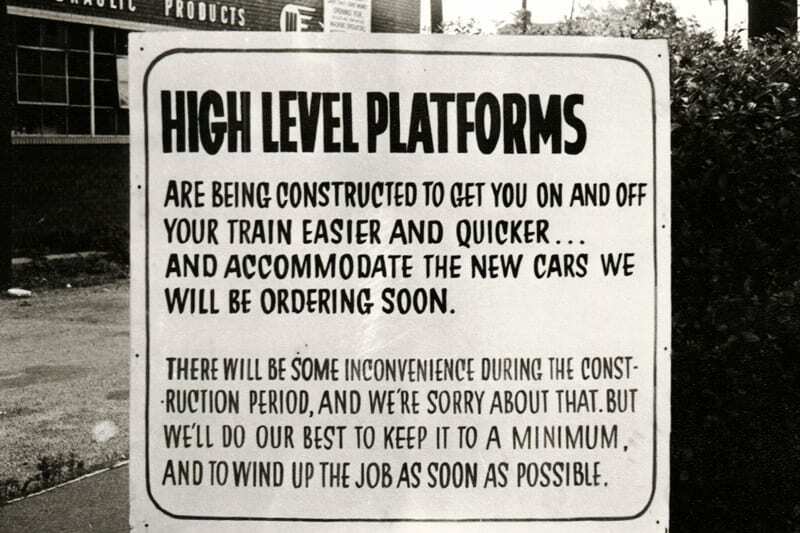 Just a small blip in railroad history. 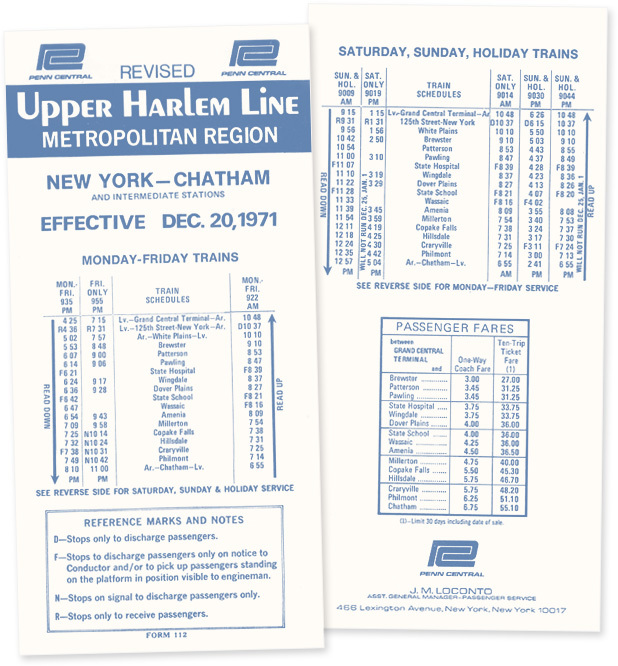 1968 was apparently a very good year… You can, of course, see more old Harlem timetables in SmartCat. While the really old 1800’s timetables, complete with gorgeous etchings, will always be my favorite, these 1968 Penn Central timetables are my favorite from the modern-day. Thanks to eBay, I did discover that this funky art was not reserved solely for timetables. 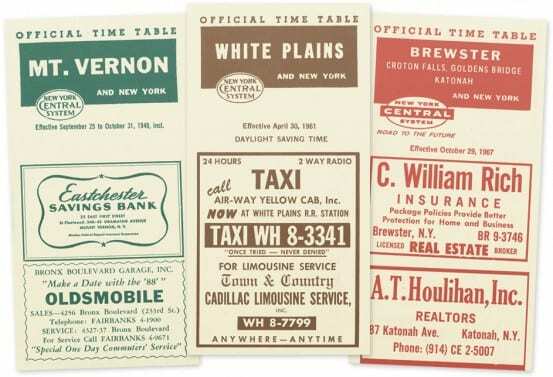 The Penn Central released a few postcards advertising the Metroliner, which I can only say are in a similar style. 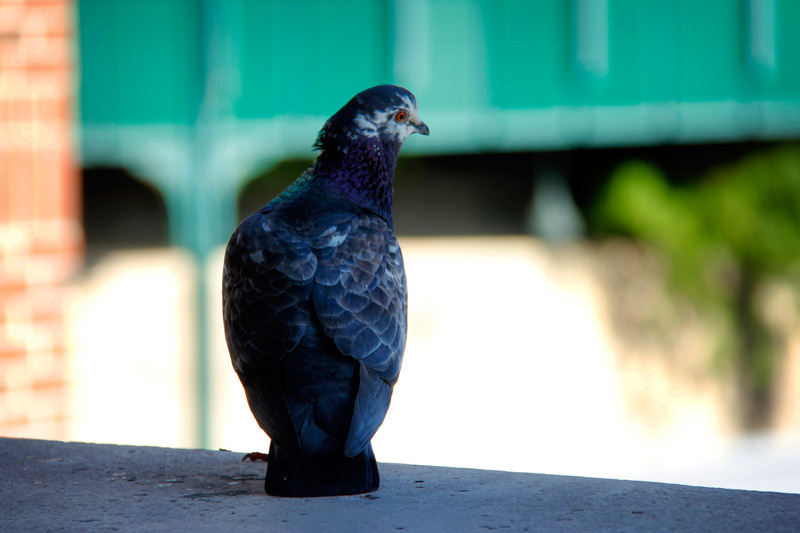 Who thought that purple tint would be a good idea? 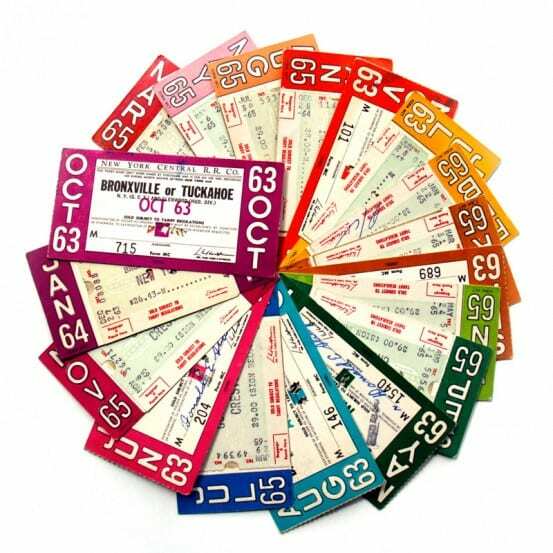 Is this what people did before Instagram? 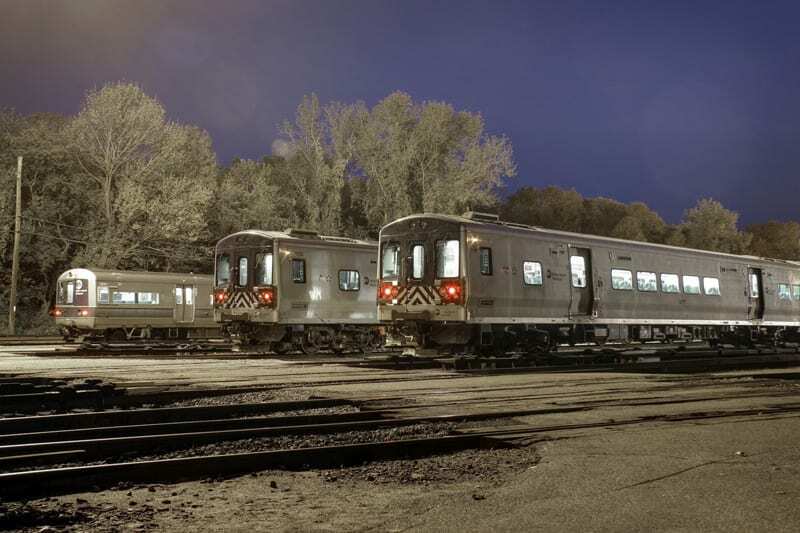 The Metroliners speed you midtown New York to midtown Washington in less than 3 hours. 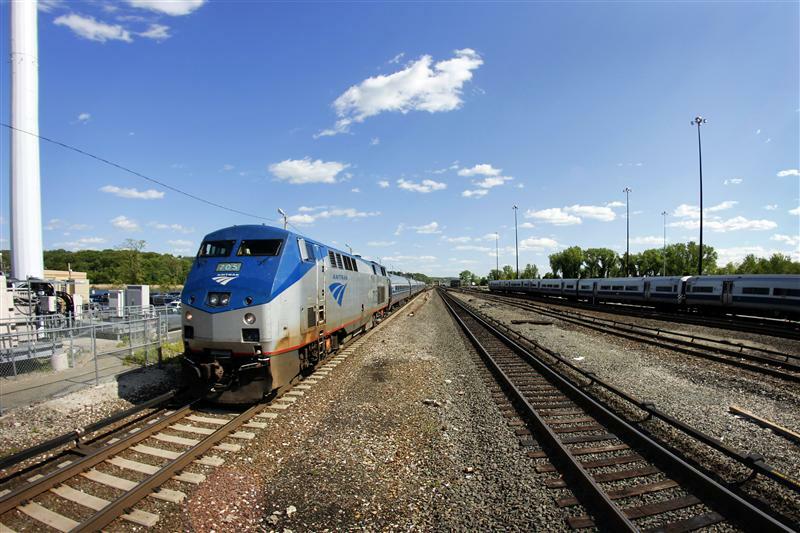 The Express gets you there even faster. 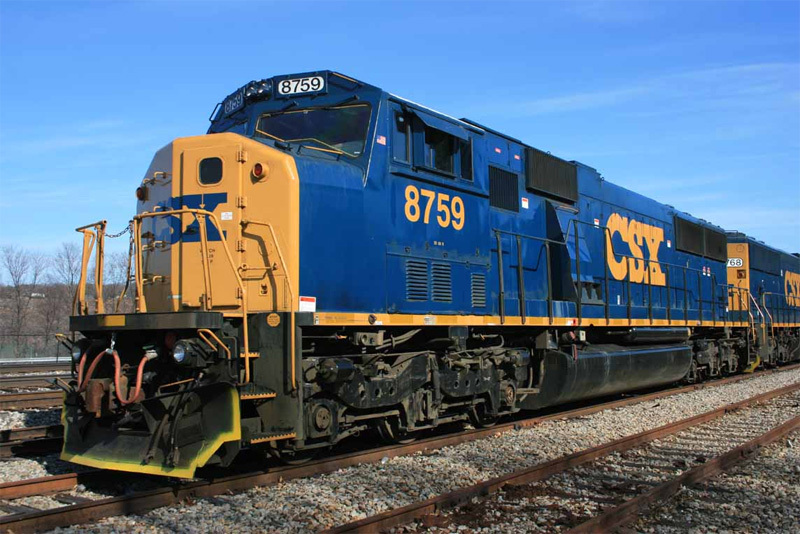 And all the speed, comfort and luxury are yours in any kind of weather. 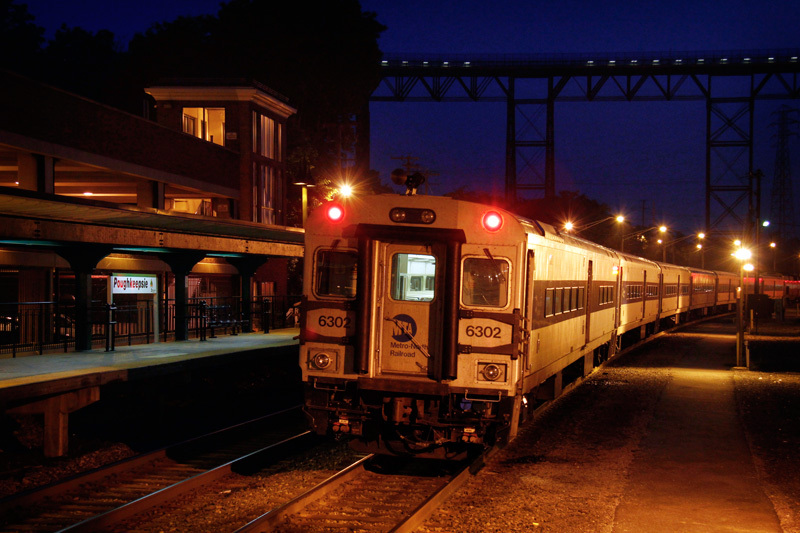 You enjoy a swift trip – in comfort and luxury. 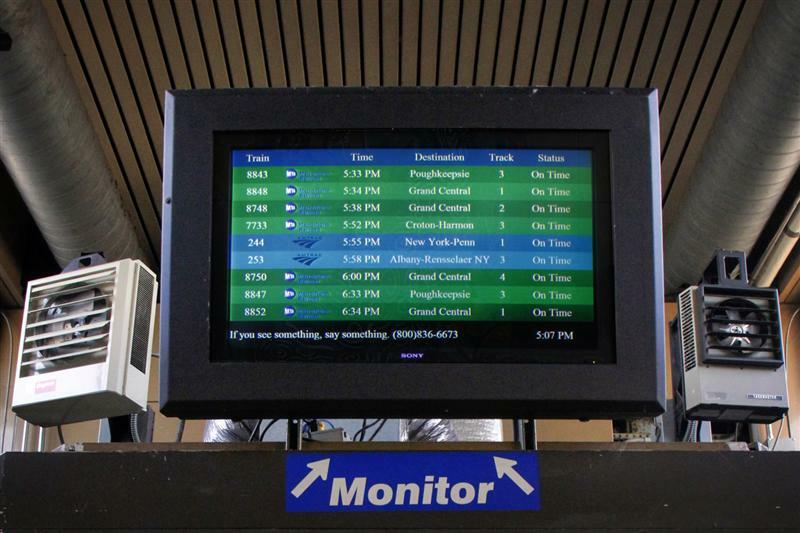 You leave and arrive midtown; even more time saved. 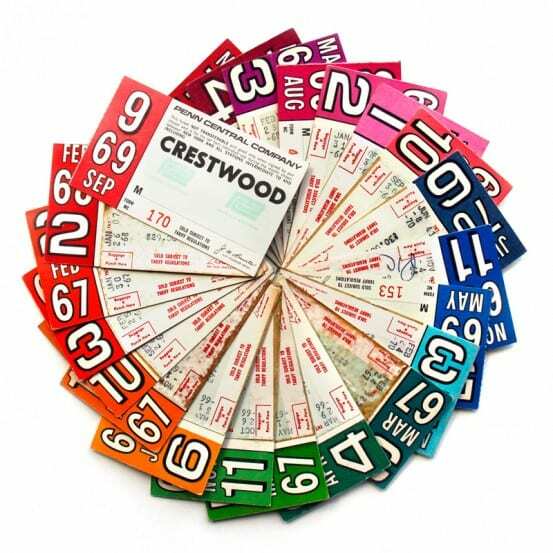 Use the direct-dial telephones aboard to keep in touch with your home or office. 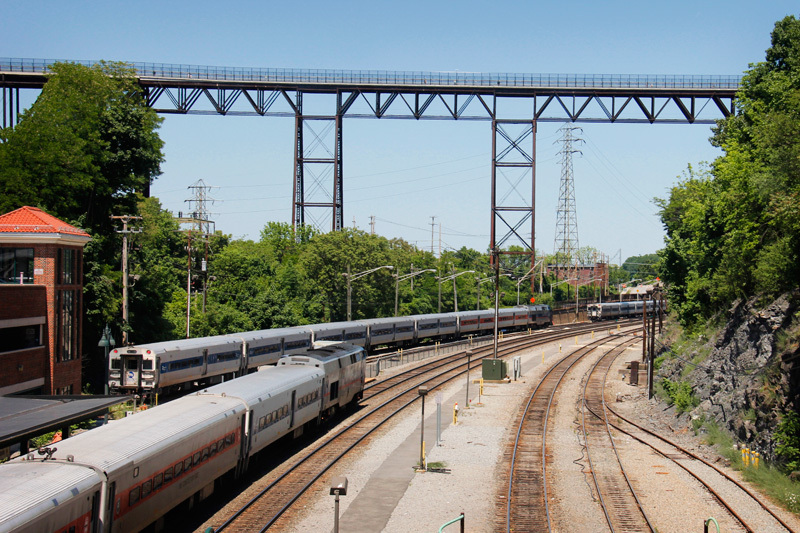 Delicious food and drinks are yours to enjoy on the Metroliners. 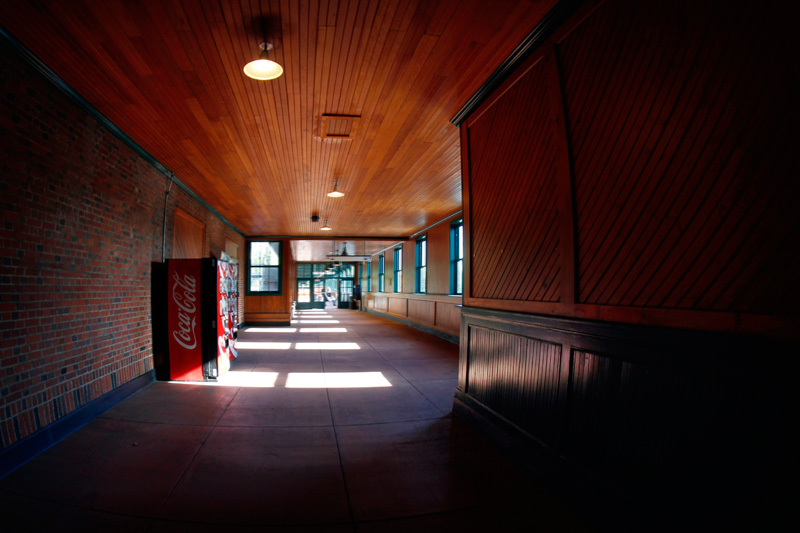 In the coaches eat at the Snack Bar or take your selection to your seat. 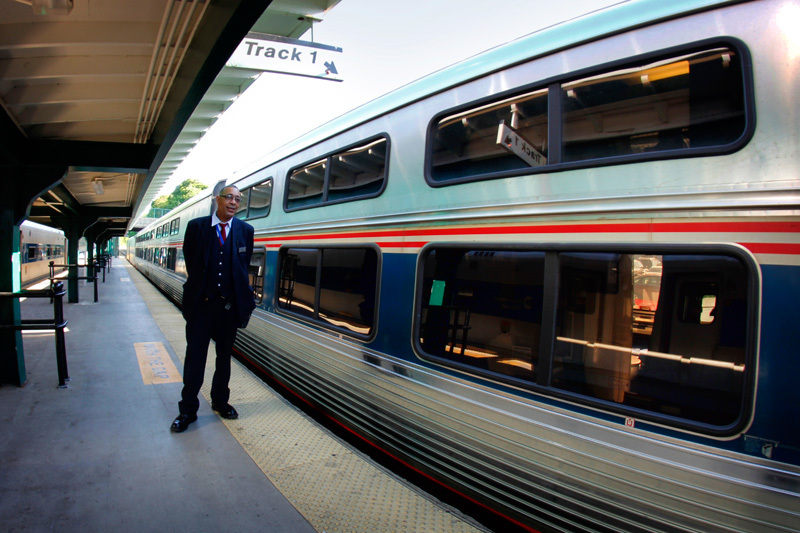 In the Metroclub Cars, an attendant unobtrusively serves you at your seat. 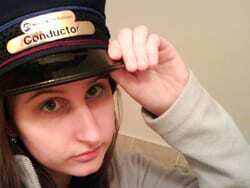 Okay, okay, I give in. 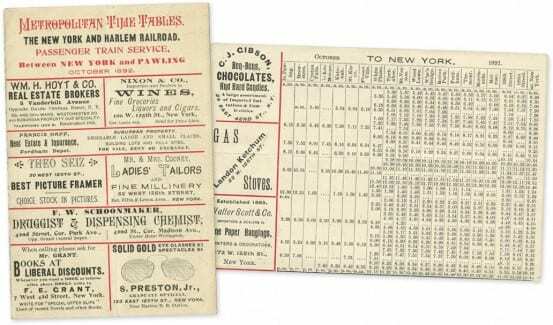 The last postcard is pretty awesome. 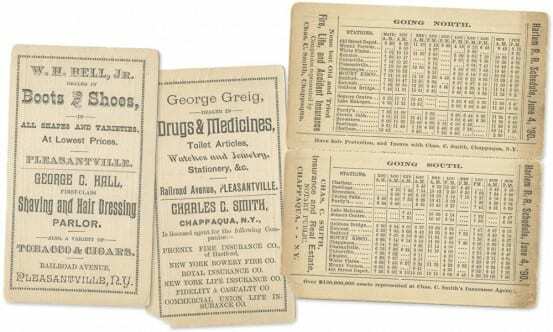 Despite the top two being pretty horrible, I figured the set was certainly share-worthy!